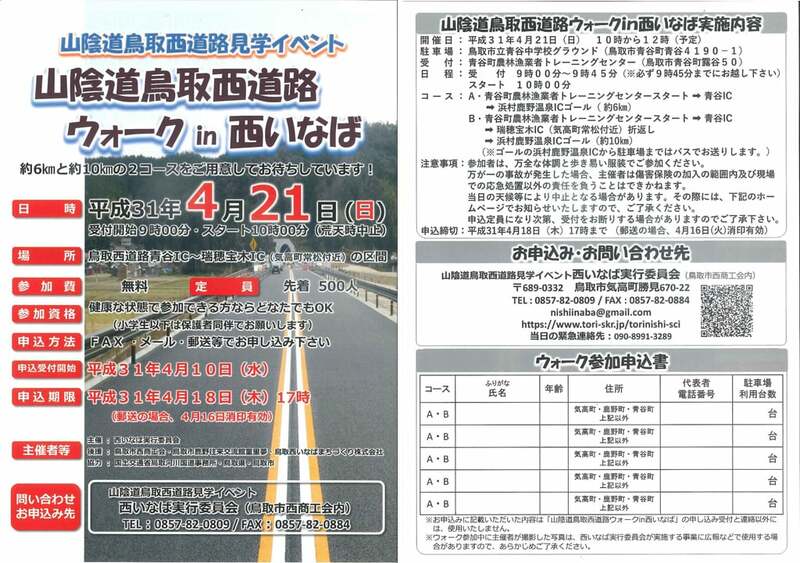 It was held Sanin Expressway Tottori west road walk in west inabaga on Sunday, April 21, 2019. 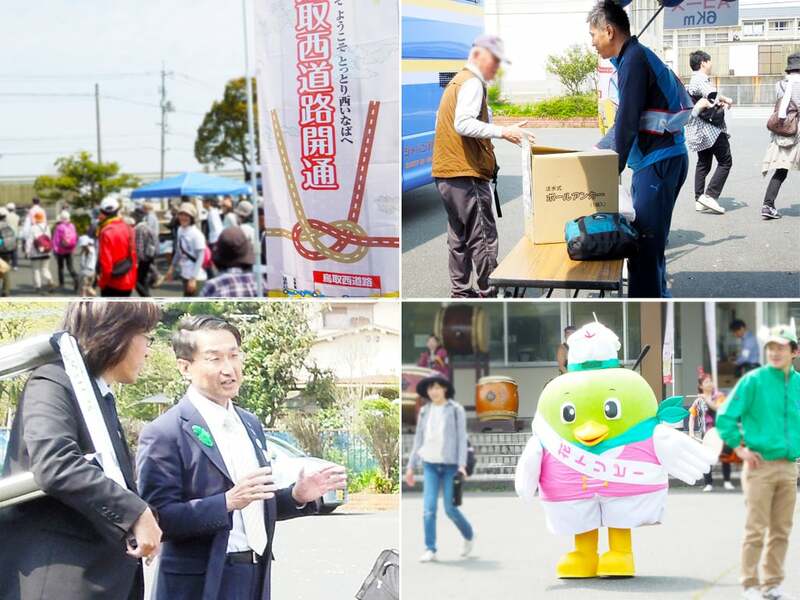 It was attended at the Governor of Hirai Tottori as a guest in an opening, and approximately 500 participants on the day were performed grandly. The walking parted from 6km in 2 courses of 10km, and all of you who participated enjoyed Sanin Expressway which they were able to modernize. An impaired person and a few person make a play together and stage it out of the prefecture. 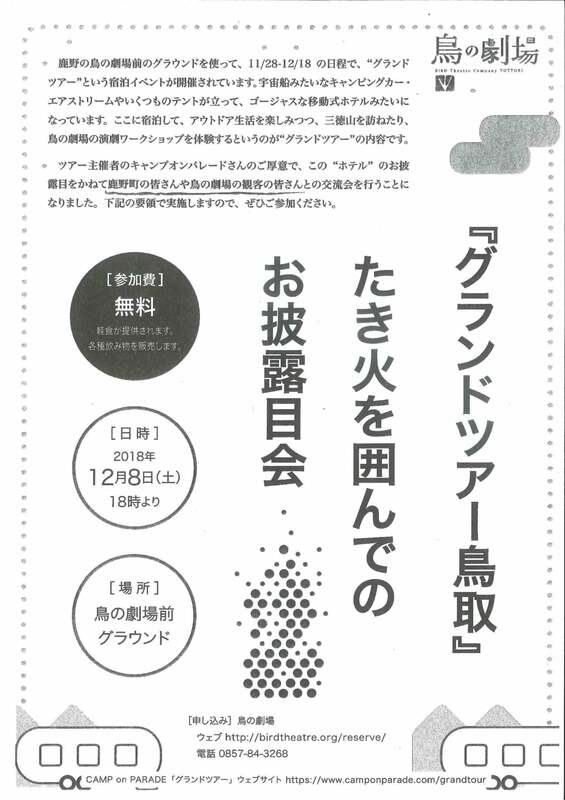 For an activity of 2019, it recruits a performer and supporters. In addition, I ask for the support to an activity. I introduce by the now and the bygone days and charm with a photograph or a history document in commemoration of San-in Coast Geopark having been authorized again in the UNESCO world Geopark in this February in a geo-site in Tottori around the Tottori-shi Ketaka, Kano, Aoya area of the San-in Coast Geopark. Because the student of the sixth grader of the Kano school has everybody know the good place of Kano, stamp rally is held. ・Please circulate through five of 16 . ・There is all 16 places quiz. Please answer five quizzes. ※There is the present in the green hair salon. Please visit the green hair salon if you finish collecting stamps. 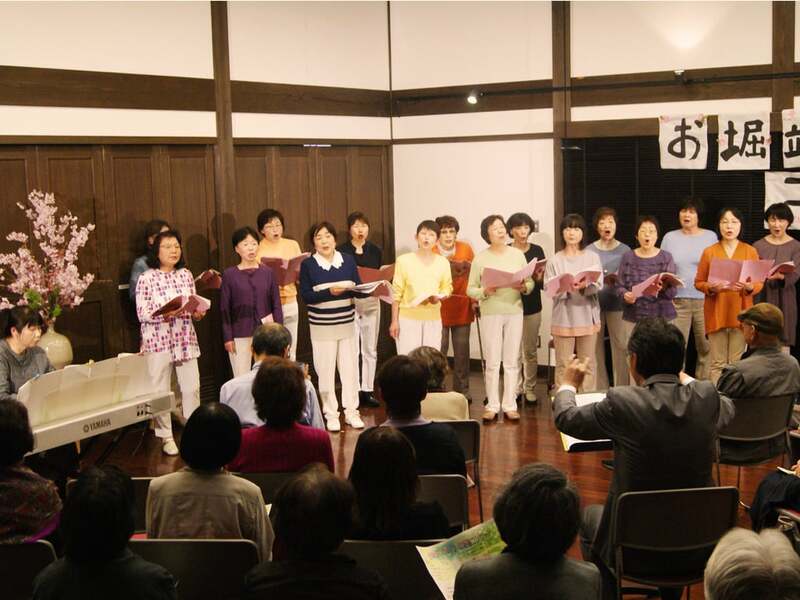 In Sunday, April 7 this hotel "do a chorus; that", no "bank of a moat concert" was held, and it was it since the last prosperity as a customer of the standing to watch appeared. 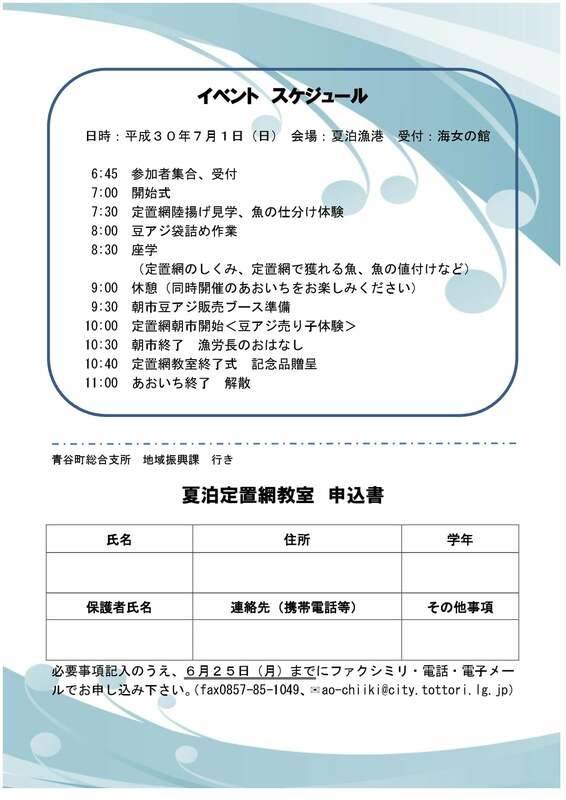 The performance program pleased the person who listened with the various genres including "a red dragonfly" in "Lorelei" "Green Green Grass of Home" "boyhood". Please enjoy it by the painting which you drew on history monogatarinoohanashio, the Inaba Japanese paper. 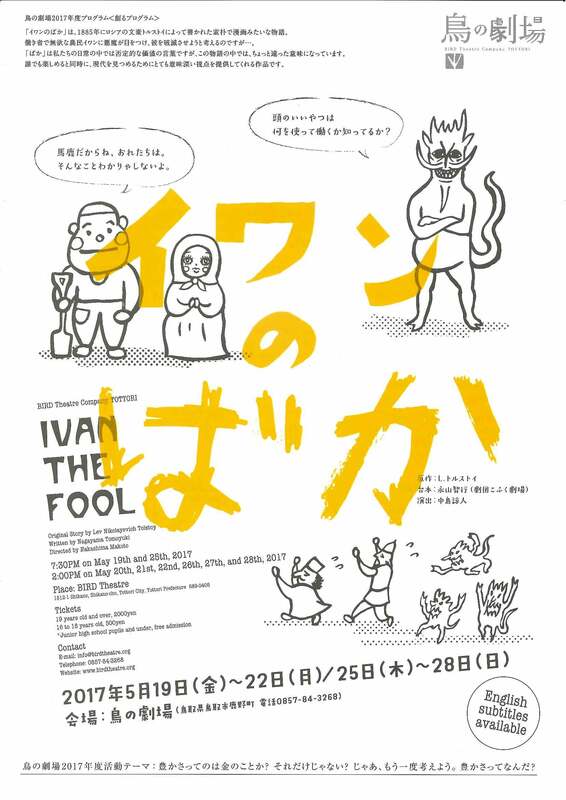 It is a picture-story show to be able to enjoy from child to an adult. From Saturday, March 23 2:00 p.m. 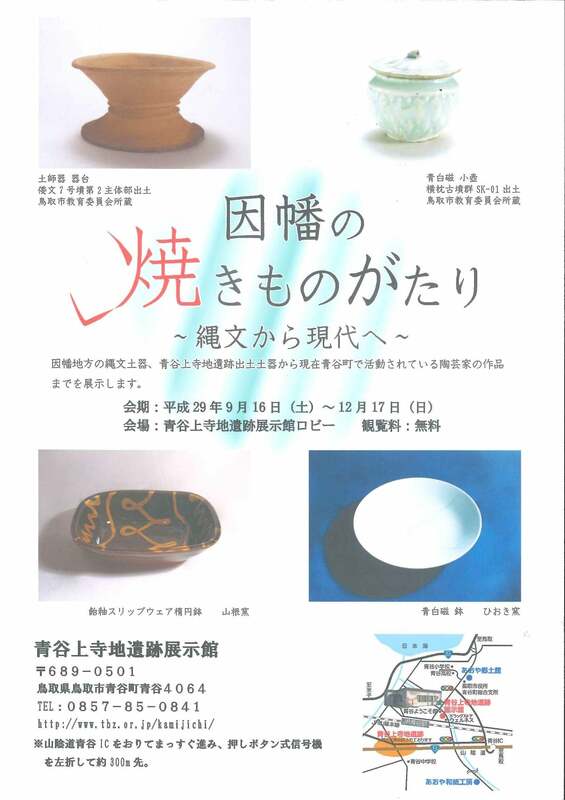 I display it mainly on the perfect gem which is not usually opened to the public with an art document and the history document which Ichikano-cho, Tottori synthesis branch and Tottori City Kano school possesses. 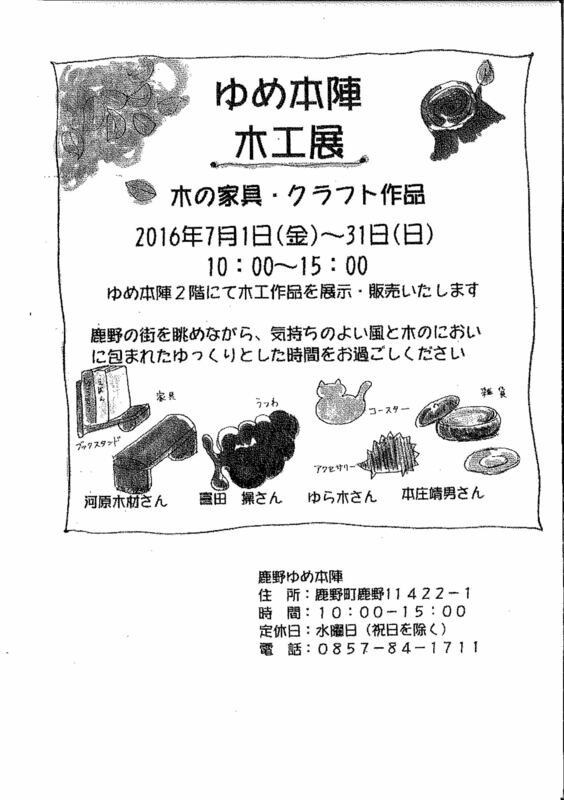 ■ Opening time from 9:00 a.m. to 5:00 p.m.
≪An animal will make a cute animal using >> woolen yarn made plonk! Or please apply on the telephone. Do you not look in the world of the dance that a heart comes in contact with a body? 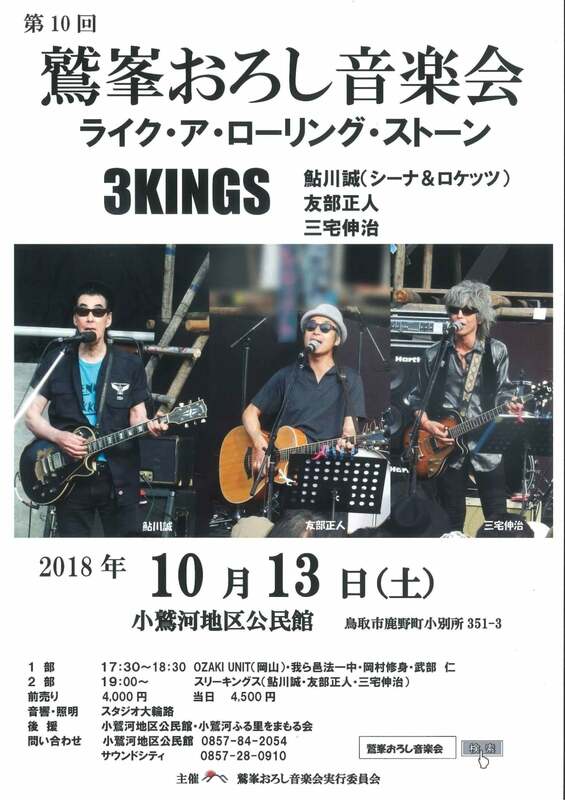 ※As for the details, please see a flyer. I do it and move to that heart, and a product will eat Ehomaki! After the return, I inherit the Inoue photo studio fourth generation. I hold the exchange meeting that served as the announcement of the mobile hotel by the kindness of the sponsor camping birds on parade of the staying event "land tour" held using the ground in front of the theater. Working, a photograph lover loving the area again resident in the Ketaka, Kano, Aoya area of the Tottori-shi displays the photograph works such as scenery or the person whom shooting produced under the theme of "a memory". The from 3:00 p.m. to 6:00 p.m. opening: 2:30 p.m. 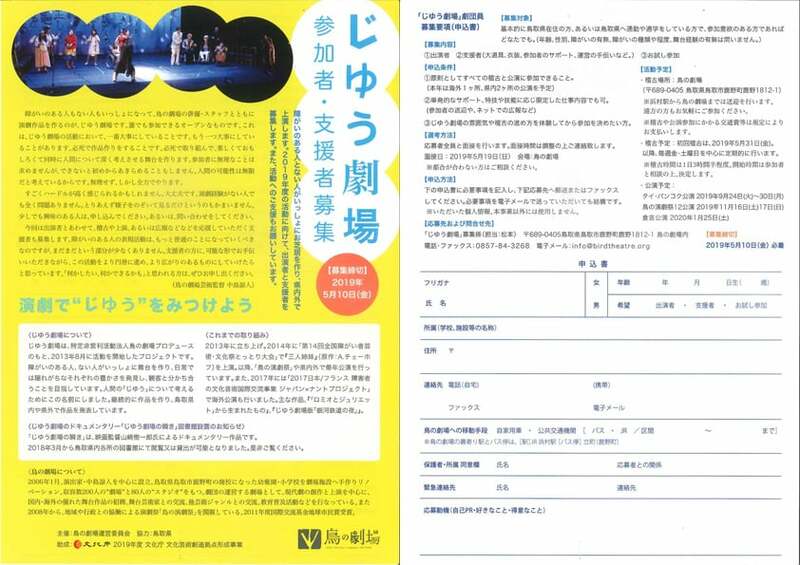 The presentation of the theater "toenail of General Kure" of the bird and "the training announcement by the young actor"
"A toenail of General Kure"
"The training announcement by the young actor"
■"Ketaka" "Aoya" "Kano" west inaba rediscovery! It is sure to get instagenic? 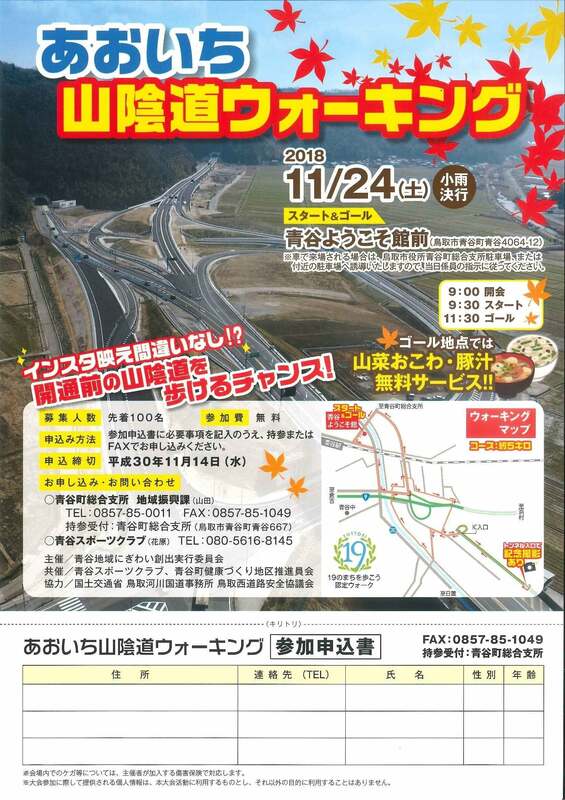 A chance to be able to walk Sanin Expressway before the opening! I released a garden this year. It is three days from November 16 to 18th. Please enjoy beautiful autumn colors. Public time from 10:00 a.m. to 4:00 p.m.
Kano art festival 02 is held titled "trip ... making ... unknown scenery" until Monday (holiday) for from Friday, October 5 to 8th. 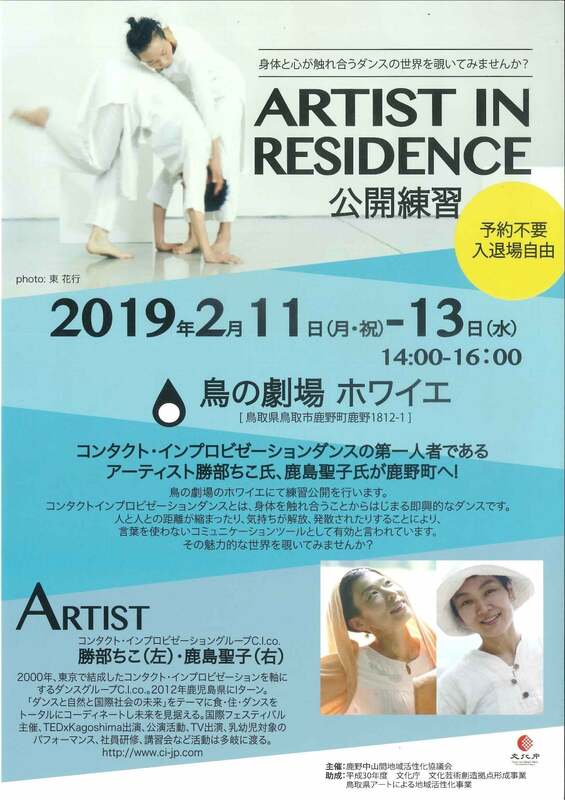 The artists who participated walked Kano and met scenery of Kano while talking about atmosphere with a feeling, people and made a work based on the inspiration that I got in that. With this interchange building, the pretty work of the Kano school third grader is displayed with a work of "Nishio Tomiji" him. Besides, please see it as a work is displayed at plural points while taking a walk through a town of Kano. ●I keep upper Terachi by pastel art! Of "the art-like thing" which you know more to the other side. Or I accept it in the art festival executive committee which is in a messenger and the neighborhood of the FB "Kano art festival" page. It circulates through a pair of stone guardian dogs of the production. 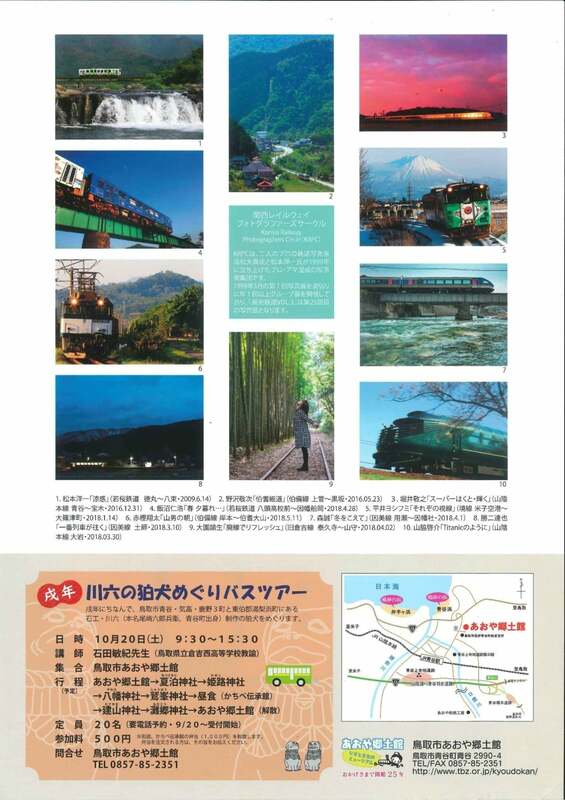 I display the railroad photograph of each place. An opening time: From 9:00 a.m. to 5:00 p.m. I do it. A Japanese paper molding writer resident in Chiba. [the date] From Sunday, September 23, 2018 7:00 p.m. 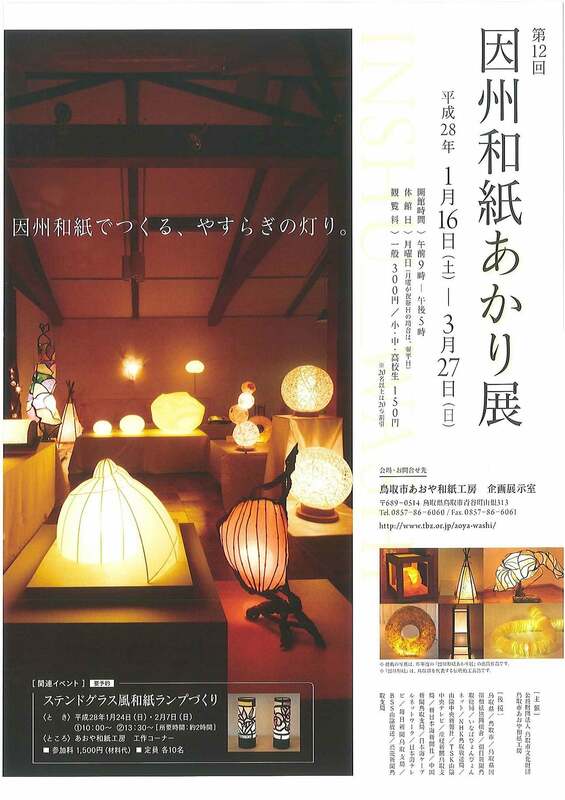 I raise the works of the 15th Inaba Japanese paper light exhibition. 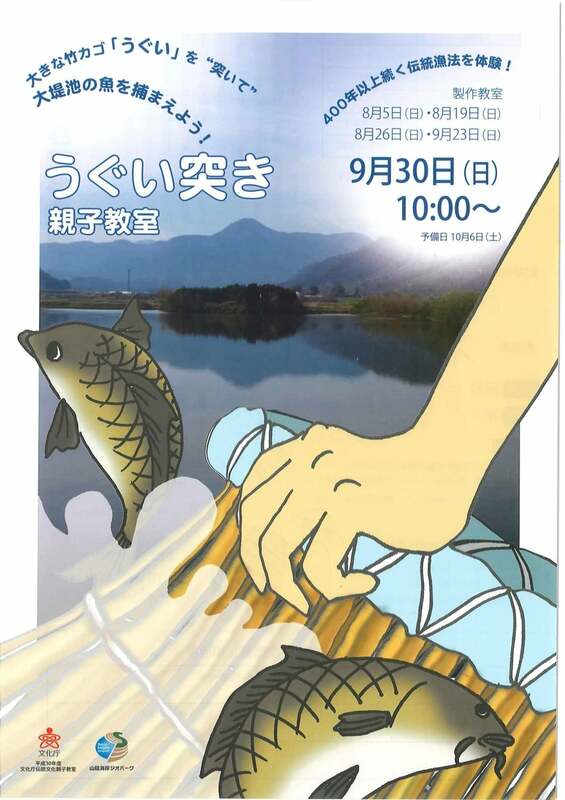 "We thrust" big bamboo basket "ugui", and let's catch the fish of the vast bank pond! 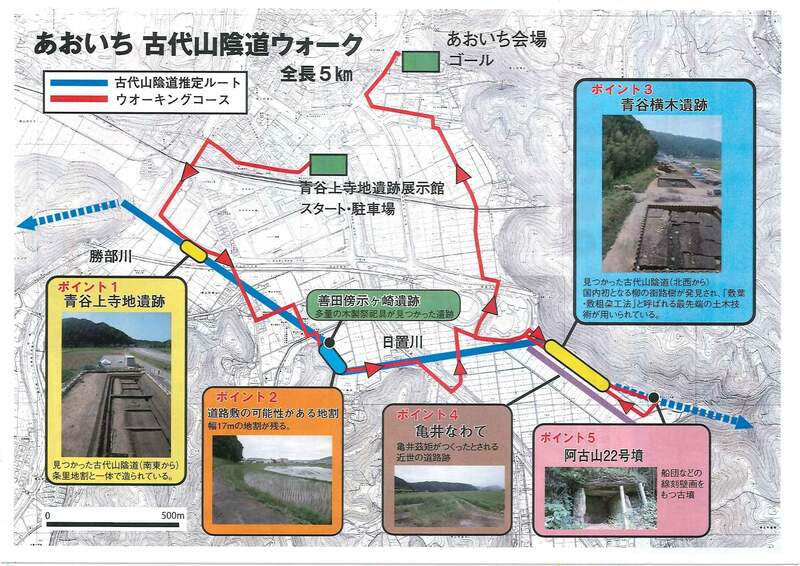 In late years ancient Sanin Expressway which was found in succession. 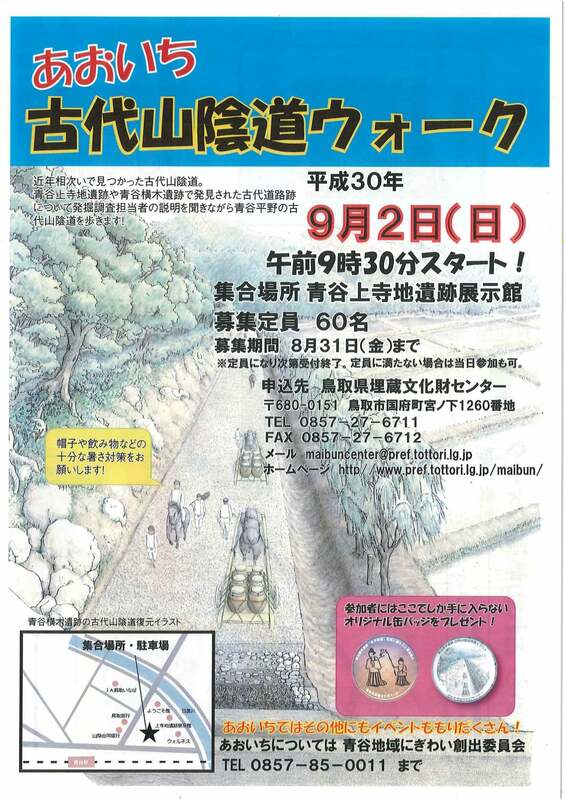 I walk Sanin Expressway in the ancient times of Aoya plains while hearing the explanation of the excavation person in charge about an ancient road trace discovered in Terachi remains and the remains of Aoya bar in Aoya! ※I accept it as soon as it becomes the capacity and am finished. When it does not reach capacity, on the day the participation is possible, too. 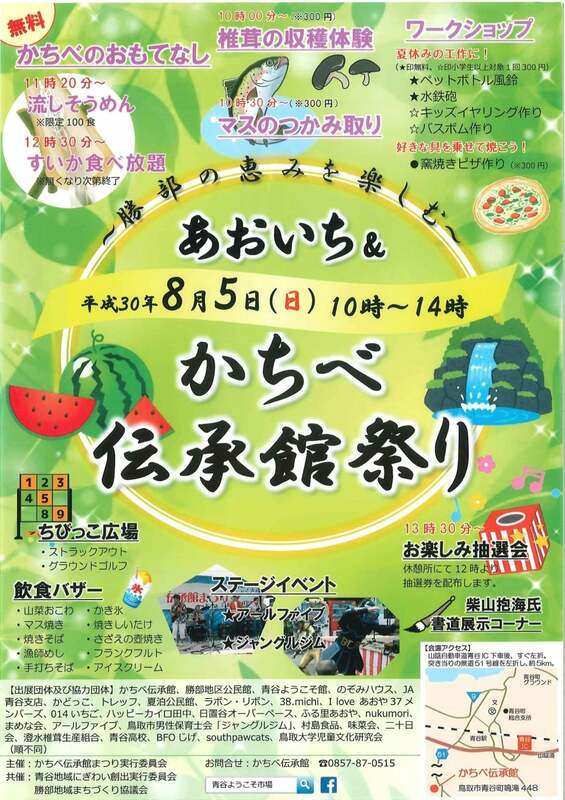 Road station "clear stream teahouse kawahara"
I hold kachibe Denshokan Museum Festival! Ahead of the Kano art festival of from 5 to 8 on October, a workshop that I throw it in toward the artist is held. 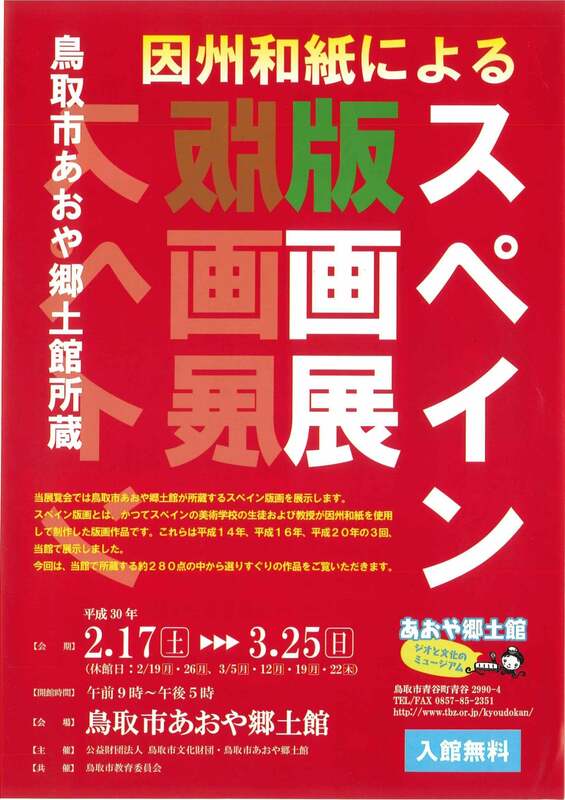 I hold a lecture to learn guidance of the expression from writer Akihiro Yamamoto who is active as a professional. It will be not only the object in front but also yourself that "I explain it + + + to display it to express it to find + new viewpoint to walk the town", and appear by the procedure. To a person engaged in an expression activity and a person wanting to know own inside, it should become one means. Both an adult and a child are welcome. The thing which I produced displays it during Kano art festival and returns it after an art festival at hand. 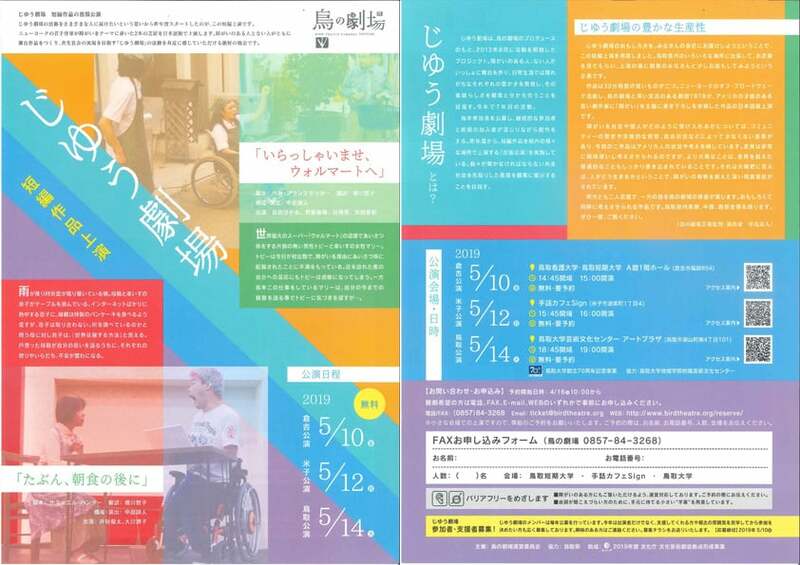 I perform a walkabout, outdoor sketch party in painter Mikiko Fujita and Kano resident in Kano. 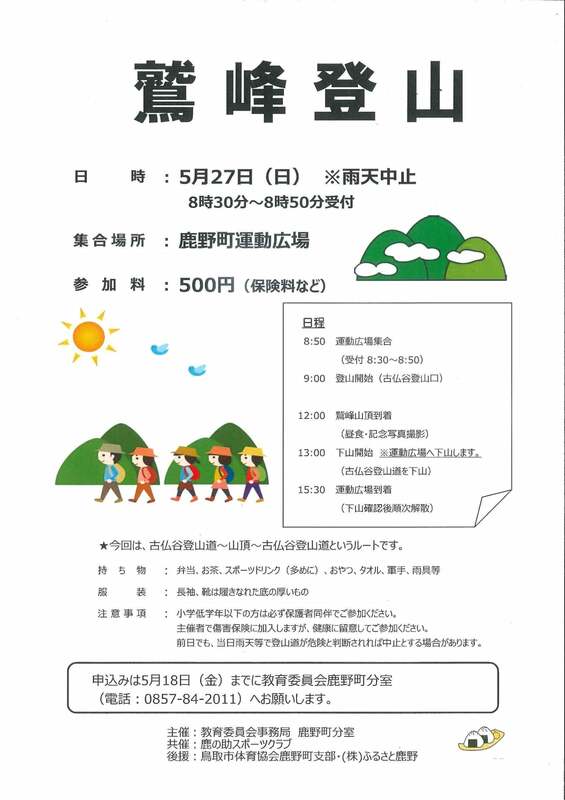 The participation in parent and child is welcome, too. The beginner, please participate casually, too. Coffee storekeeper wakruca coffee of the Kano residence opens a store, too. The one-hour taking a lunch break rest will have it together in the top with each person, old Tanaka's house. When you are not prepared, tell me at the time of an application. ●Drawing paper, an easel, drawing board distribution. I rent the sedge hat of the awning to a necessary person. 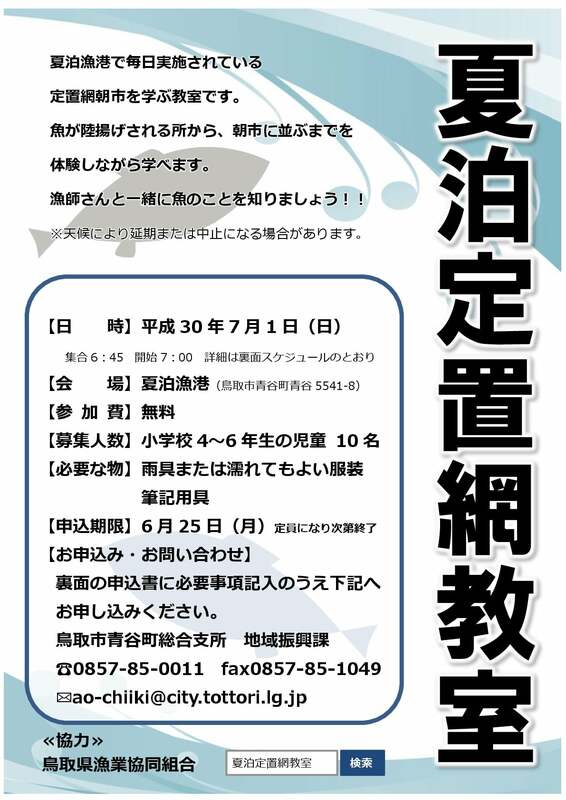 Tell me whether you participate in the name, the number of people, contact information, which workshop. 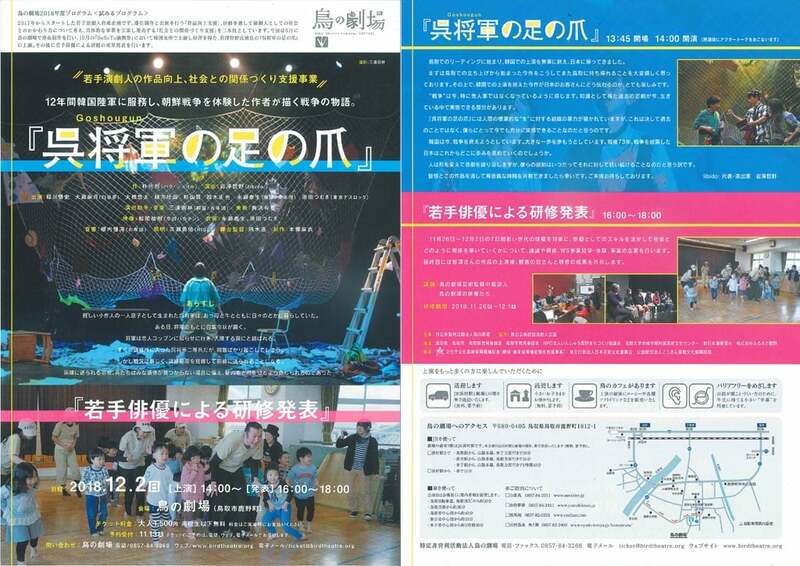 It is an experience-based event in summer vacation to be performed in Terachi remains pavilion lobby in Aoya. I go around Terachi remains pavilion, the aoya Japanese paper studio in aoya kyodokan, Aoya and get a stamp when I challenge a quiz and answer it correctly. A lottery closes only in the first 200 people in each facility when I collect the stamps of all the 3 building (there is no blank). Let's get a premium visiting Aoya! "Show it of waiting only on the weekend" is an empty house and a space store of castle town Kano; even as for whom is the event that can open a store in a shop for a limited time. 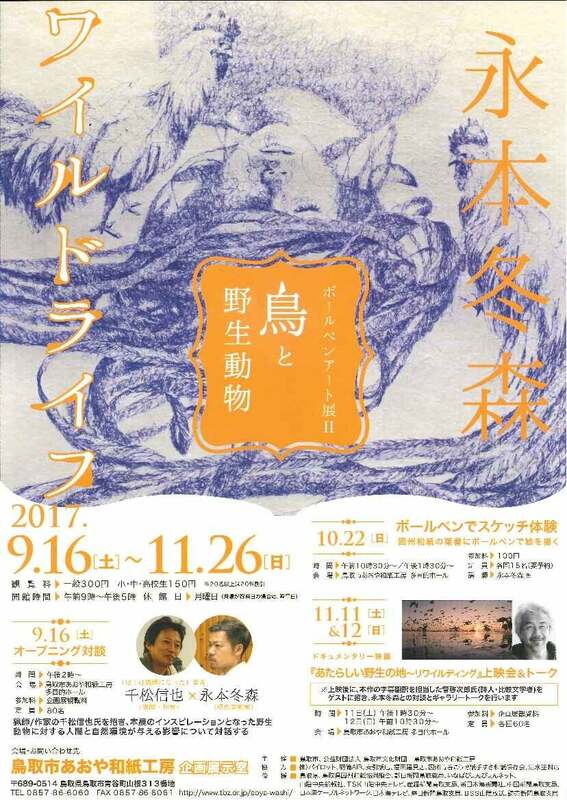 The display of the culture work inside and outside the shop and the town which imaged the program of "the theater of the bird" in the castle town area comes up this year. 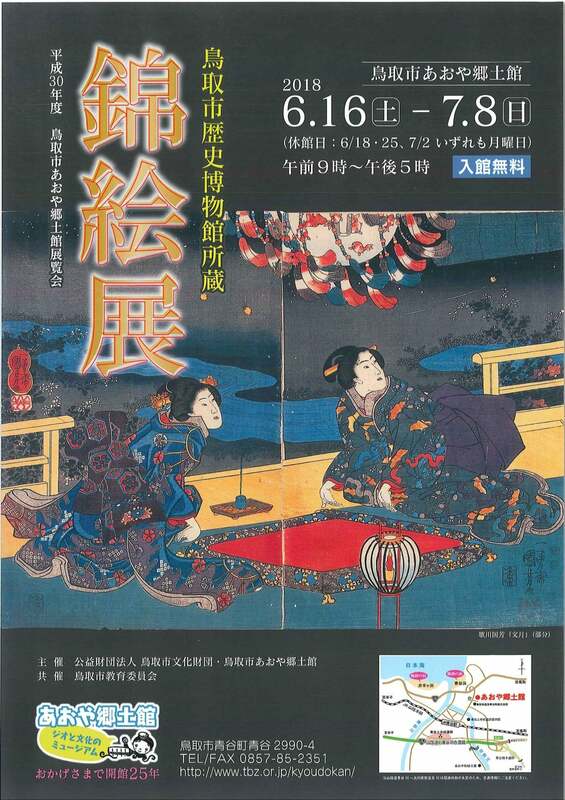 "Drama festival 11 of the bird" that gathered domestic and foreign drama works with the theater of the bird as a main venue during a period for the last time in a week in the riverbed, "yes, thing City," as for "the culture work display using the Kano district public hall," various events are held. In the scenery that is non-daily life slightly of you try it, and do not do a sea bream in a form? I aim at your interchange with the inhabitants of the lord of ground, Ketakacho of the Princess 100 selections of famous clear water of the Heisei, Sakura birth. Please come by all means! I boil the completed soba immediately and have with Zaru soba! Other inquiries to 090-5377-0477 (Hosoya)! 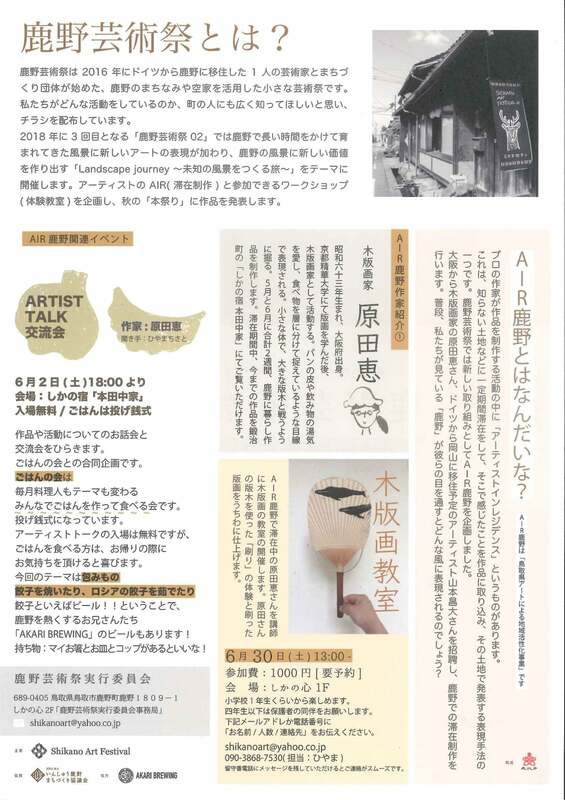 It is home town of wife, Masako who continued supporting illustrator Akira Mori of the Tottori-shi native place throughout the life and displays it mainly on the work which I described it in being conscious of a hometown and a family for him in memorable Aotanicho. 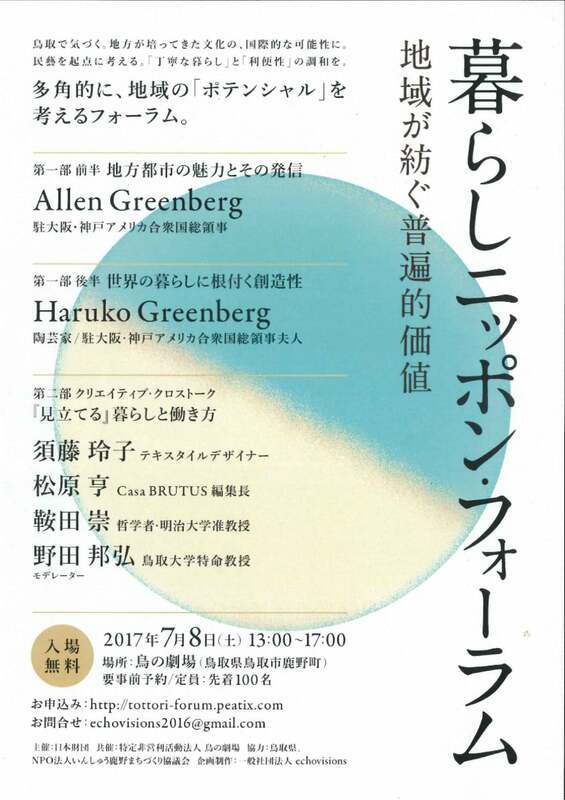 Lecture ① talk "work of illustration and Akira Mori"
Lecture ② panel discussion "regional activation by the illustration"
[opening time] From 9:00 a.m. to 5:00 p.m.
Lotuses of the world meet you. There are 2 courses of "the free course" to wait, and to take a walk through for "a guide course" and the start freedom around the course by the guidance of the ordinary guide. After making a goal to an applicant, there is the discerning lunch (750 yen requires reservation) using local ingredients. Mt. eagle peak trail run is held secondary to last year. It is a classroom learning a fixed shore net morning market carried out every day in a fishing port in a night in the summer. I can learn from a morning market from the place where fish are landed while trying regular bumadeo body. Let's know the fish with Ryoshi! In the Tottori-shi aoya native district hall, a Tottori-shi culture foundation displays a color woodblock print of the management Tottori-shi history Museum possession to run as well as this museum. The color woodblock print is a multicolored printing woodcut produced flourishingly from the Edo era through the Meiji era. It is the valuable history document which can know the culture, situation at the time as well as artistic value visually. Because ochitani which was the location was the famous spot of firefly, in the Tottori-shi history Museum, I collected the color woodblock prints which assumed a firefly a subject since the opening. 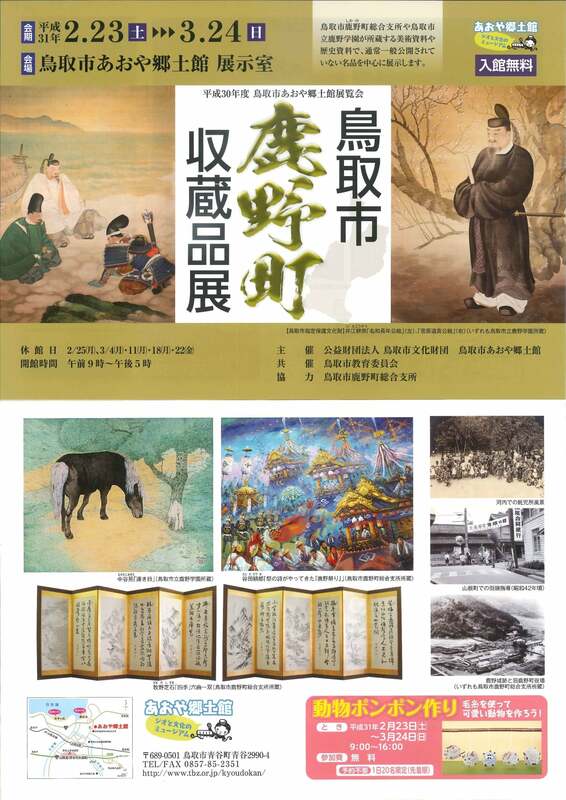 In addition, I collect a lot a person concerned with the local history and culture and the color woodblock prints which scenery was described in because it is history Museum. 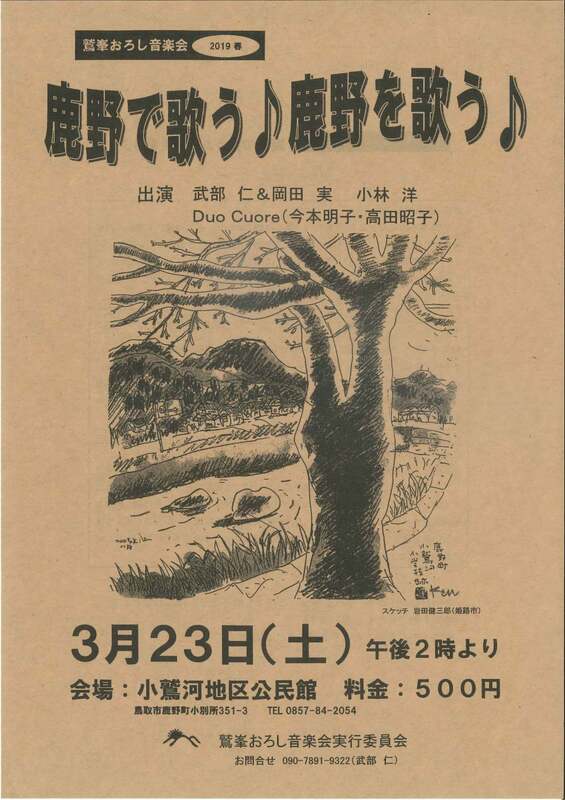 I gather in a hall and, in this museum, display a color woodblock print only after reaching a turning point called the opening 25th anniversary this year. 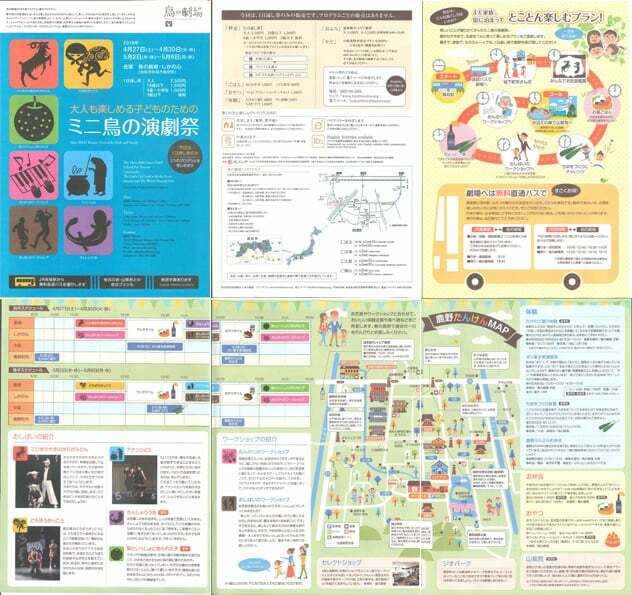 It is a short session, but please enjoy collection full of the variety of Tottori-shi history Museum at this opportunity. A group, an individual of the meeting position announces the result of the everyday approach! I hold it on a theme. I hold spring eagle peak mountain climbing. It is the route called the Old Hotokedani mountain trail - mountaintop - Buddha appeared once in this world Valley mountain trail this time. 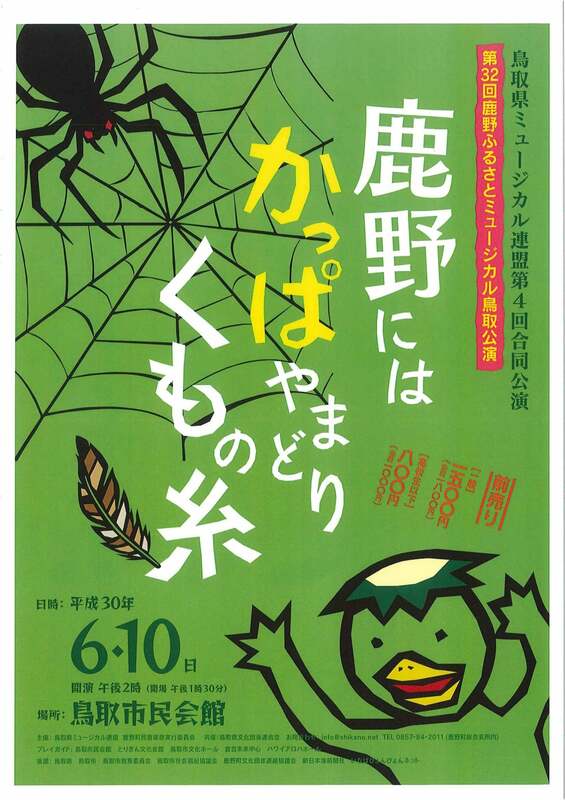 The 32nd Kano oldness and musical "raincoat and I have trouble thread of the spider to Kano"
"It takes me time to do with Kano a raincoat, and the thread of the spider" is held the 32nd Kano oldness and musical Tottori performance. For more details, please see the following homepage. I meet you, and Ariyama junjisano is annual eagle peak lowering music festival every year. Photographer, Damon bay a photographer from Tottori from Shunya Mizumoto and New Zealand charmed naturally of Tottori. The view of the world that two people felt is the working of the grandeur and people of nature. New photograph expression and the miraculous collaboration that were colored by Inaba Japanese paper. 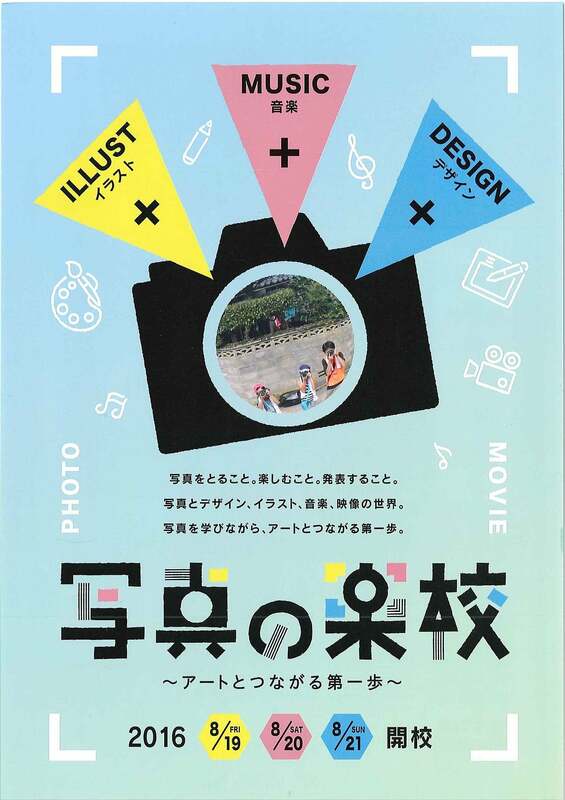 (Aoya) recruitment of photo exhibition 2018 photograph exhibitor University by the photographer of the native district! 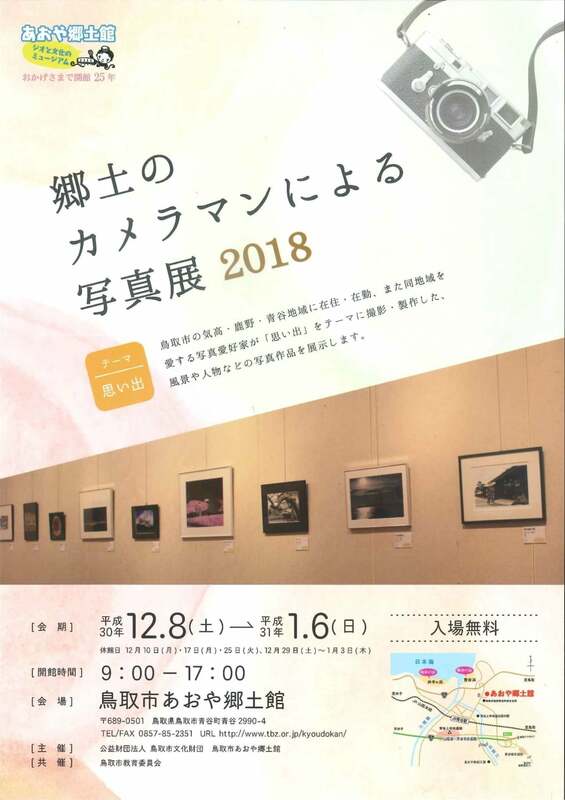 It recruits photograph exhibitors very much on holding Tottori-shi aoya native district hall exhibition, photo exhibition 2018 by the photographer of the native district in 2018! The one that loves working resident in the Tottori-shi west area (Ketakacho, shikanocho, Aoya-cho), oyo dojiiki even as for whom. Professional flax, the age do not matter! At this exhibition, I introduce the photograph which assumes a family, parent and child, the child who featured the theme of a photograph of the daily life of the people whom *taro pursues realism other than the photograph which I copied Tottori-shi west area (summer night or Ketakachosakenotsu of Aotanicho, Tottori-shi) into and arrested and the original scenery, "free love" and "innocent existence" a subject with a panel from the photograph which gentani*taro photographed in about 40 from 1950. You are extremely natural, and look at the world of *taro where you projected a plain figure on. From Sunday, April 29, 2018 11:00 a.m. If "I overlook it ikera ... I do not do it ～!" 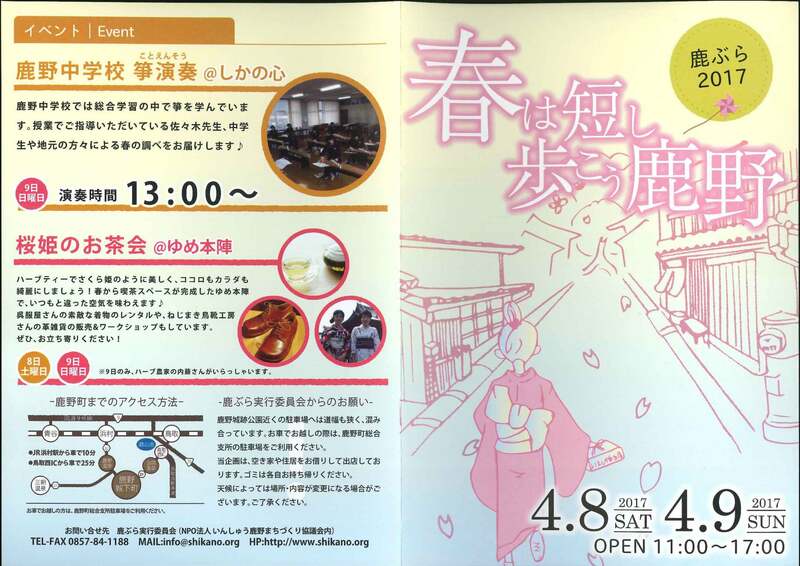 Sunday, April 29, 2018 from 9:00 a.m. to 3:00 p.m.
A season of the Kano Sakura Festival came over this year. 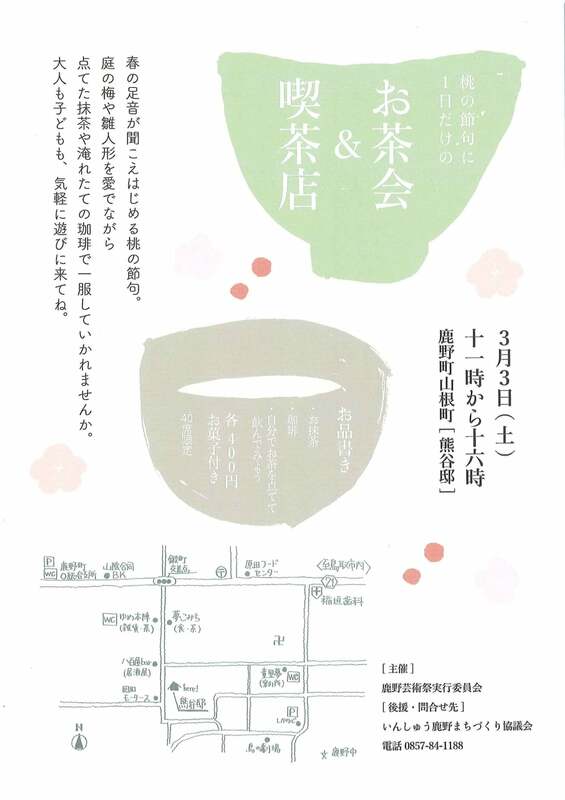 I heap up spring with a cherry tree of Kano in a light up to light up the cherry blossoms at night, a light of bombori, mortar art, a stand village. 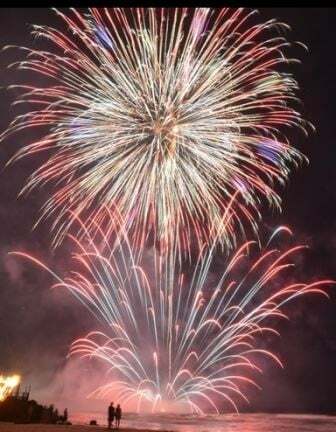 The Kano Festival is held on Sunday for from Saturday, April 14 to 15th, too, and, in the case of the eve of a festival on 14th, approximately 1,000 fireworks rise this year, too. I will tell you about the flowering situation of the cherry tree at any time on our homepage. The Girl's Festival when spring footsteps begin to sound like. Is it not had a short rest with Matcha and the freshly brewed coffee which I made while enjoying a plum and the hina doll of the garden? Both an adult and the child come to play casually. The insyu Kano town planning camp had you gather in the approach utilized the area and the active in various places local various places in each places of the whole country and held it as the place that learned the local way and approach together. I speak to one guests who came so far and want to do it this time in the meeting such as the class reunion. A town planning camp begins; and ten years. I look back on each this local and think about coming ten years together. 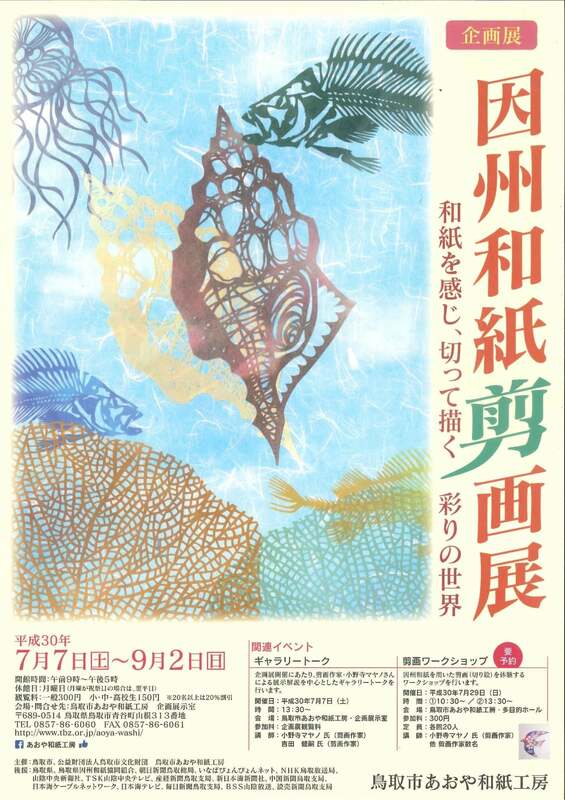 I display the Spanish print which Tottori-shi aoya native district hall possesses at this exhibition. A Spanish print is the print work which a student of Beaux-Arts of Spain and a professor ever produced using Inaba Japanese paper. These displayed it in three times this museum of 2008 in 2002, 2004. You see a selected work from all over approximately 280 points of one possessing this time in this museum. 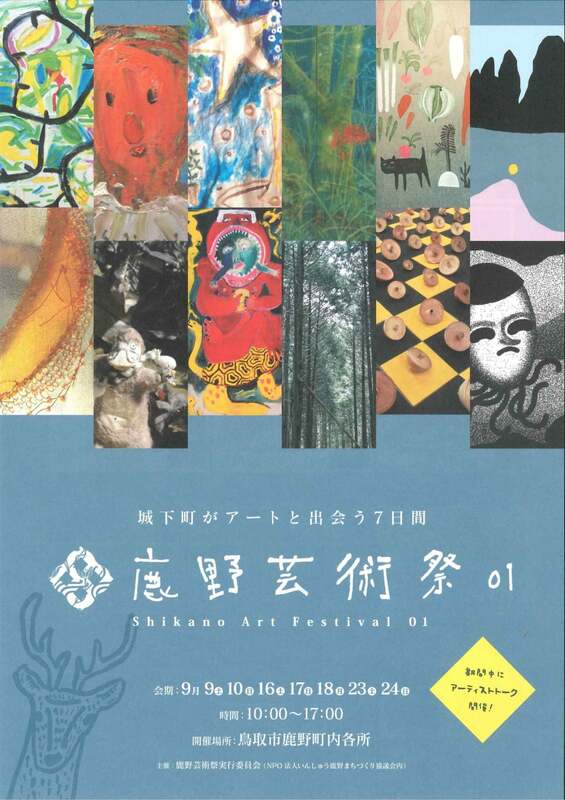 It is the interchange art exhibition by children of a nursery school, an elementary school, a junior high school, the high school in Ketaka, Kano, three Aoya. I put sand and a shell of the Aoya Coast and harden it with resin, and an original strap makes a magnet. 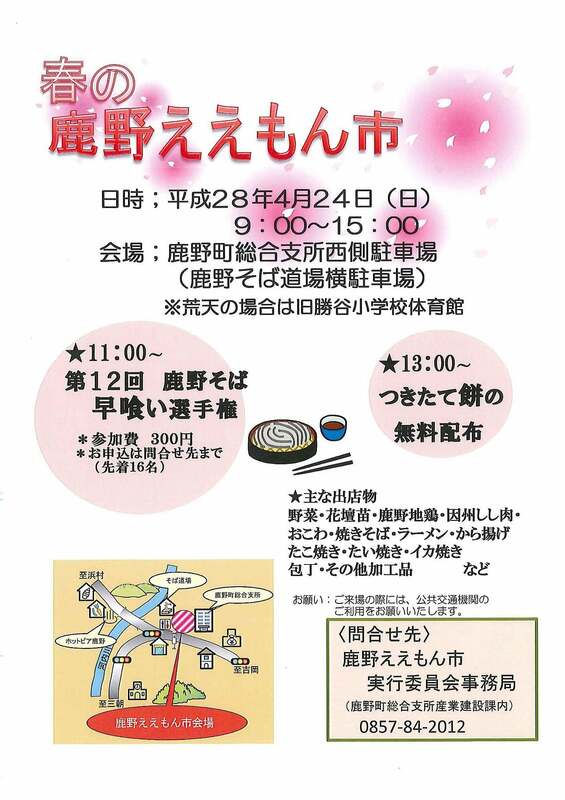 (Kano) make a Toshikoshi soba reservation. 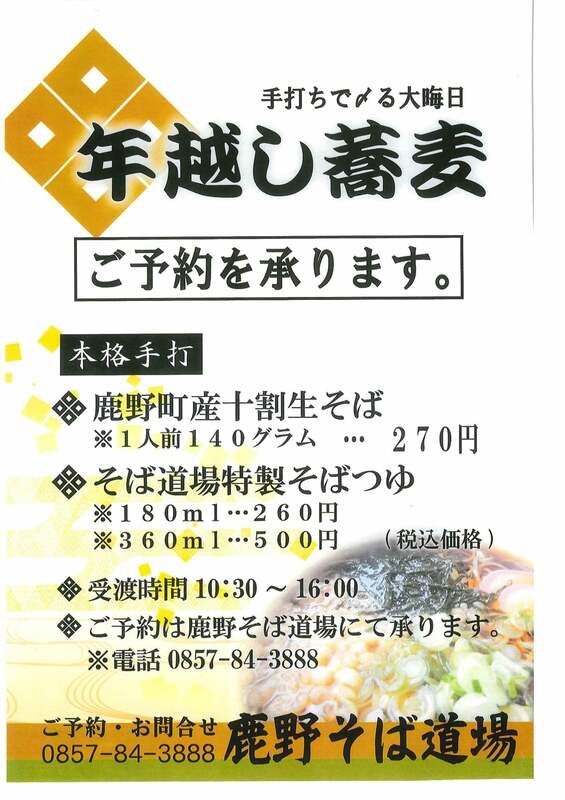 I make a reservation of the Toshikoshi soba on the last day of the year to close it by closing a bargain. It is performed in the work display gaaoya Japanese paper studio of the light to make with Inaba Japanese paper of peace. 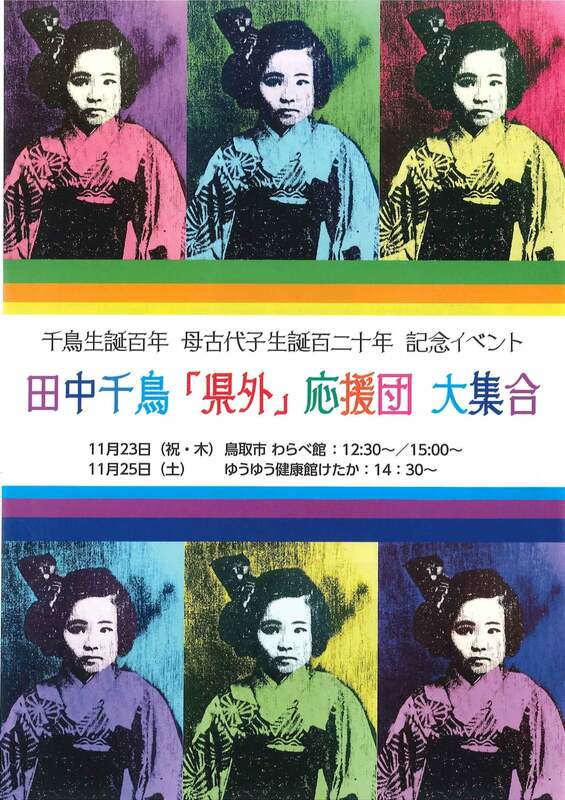 A photograph lover of Ketaka, Kano, Aoya area residence of the Tottori-shi, the working displays the photograph works such as shooting, scenery or the person who produced it under the theme of "a color". Visit to colored leaves & dislocation & gibier (I make Inaba and do it meat)! I taste autumn of Kano with the five senses! A Shikano ourai kouryukan "child village dream"
Girl who lived in a life of the only 7 years old and a half in Ketakachohamamura in the Taisho era approximately 100 years ago, Chidori Tanaka. She writes more than 80 poetry and a child knits "plover posthumous works" afterwards in the mother ancient times and leaves it, and thereafter a fan opens in the whole country. 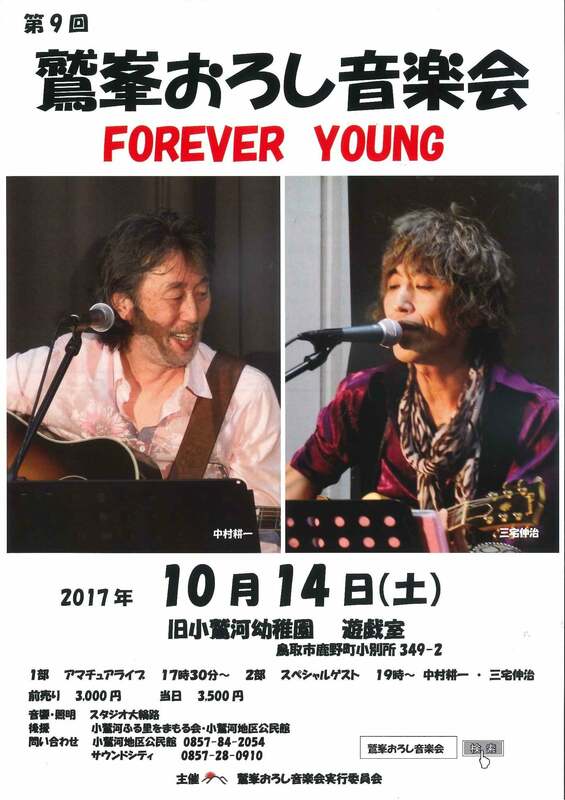 It is at the year of the turning point of child birth 120 years in the mother ancient times for Chidori Tanaka birth 100 years in 2017, and the memory events such as a talk ocarina performance, the cinematograph are opened. 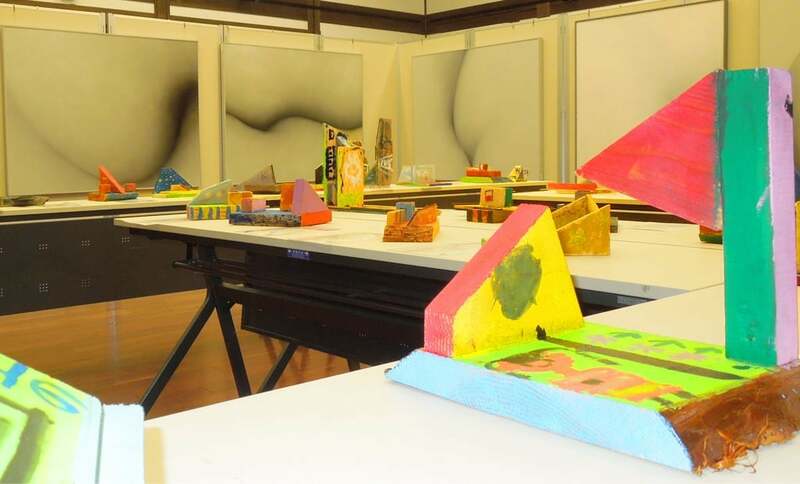 The ninth Aoya High School class exhibition is held. 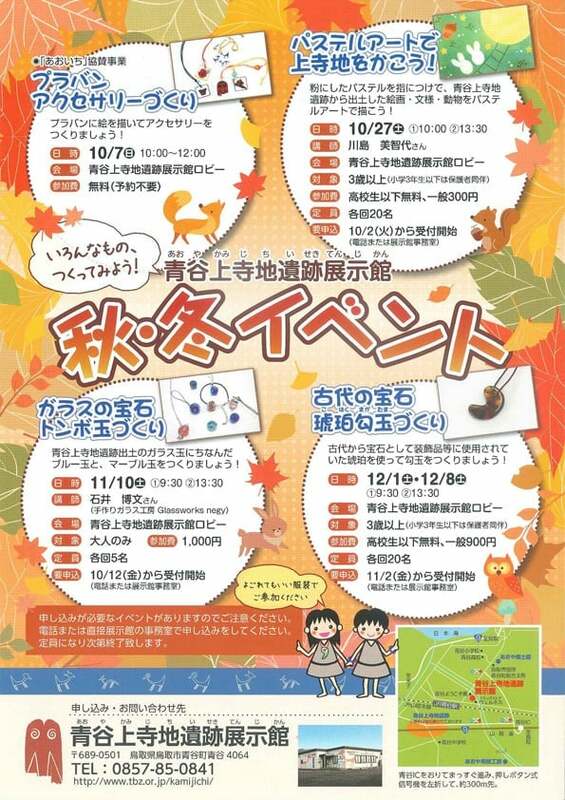 As you display it in aoya native district hall, during from Saturday, November 11 to Sunday, December 3, carry a foot by all means! ※It is no charge for admission. ※Monday, November 13, 20 Monday, 24 Friday, 27 Monday is closed days. I win and look after Kano, and the garden Kano second wins and sees it, and a school festival of the garden combination is held! The 14th Tottori folk song Festival is held. 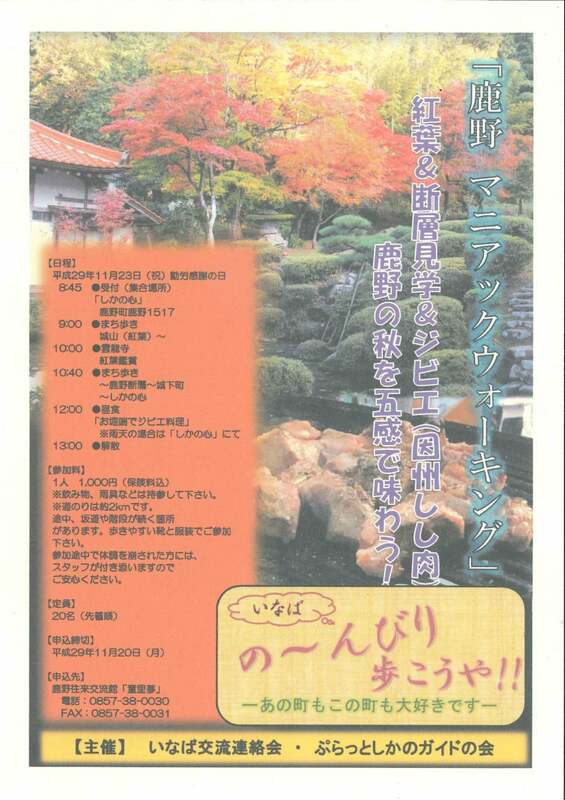 The advance ticket is sold even to hot spring building hot peer Kano (a number includes a limit). I display the work of the ceramist that it is active in Aoya-cho from Terachi remains exhumation earthenware vessel now in straw-rope patterned pottery, Aoya of the Inaba district. As each event is an application before important business, please be careful. The application becomes the direct receptionist in a telephone or the pavilion. 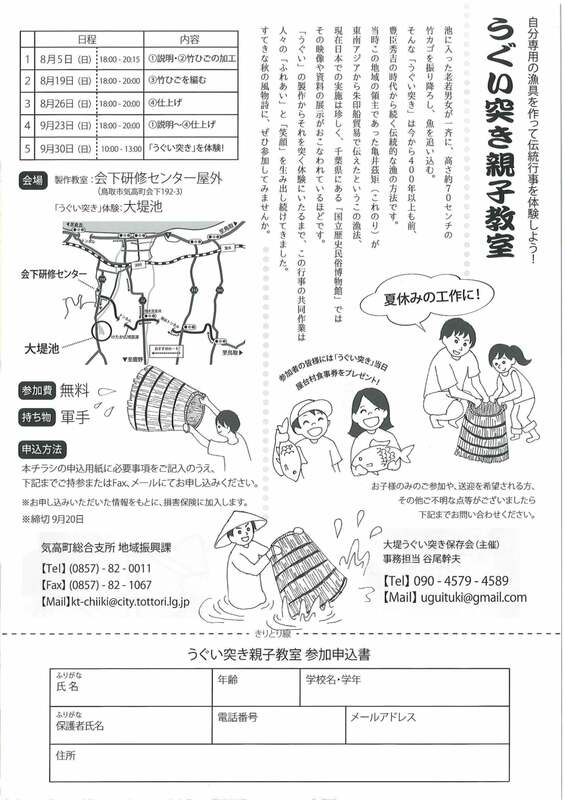 Please participate in the clothes which may become dirty. Kano art festival 01 holding! A session: Saturday, September 9. 10th Sunday. 16th Saturday. 17th Sunday. Opening time from 9:00 a.m. to 5:00 p.m. The date and time: From Saturday, September 23, 2017 7:00 p.m. The details are searched by "Juubo lowering concert" in a search site! Under a ticket reservation, application acceptance! It is traffic regulation until from 6:30 p.m. to 7:30 p.m.
What is TAKE LIVE "work ear?" It is an event to enjoy liquor and a dish while listening to the story of "the next table" in a certain old folk house. Let's interchange through a drama workshop! 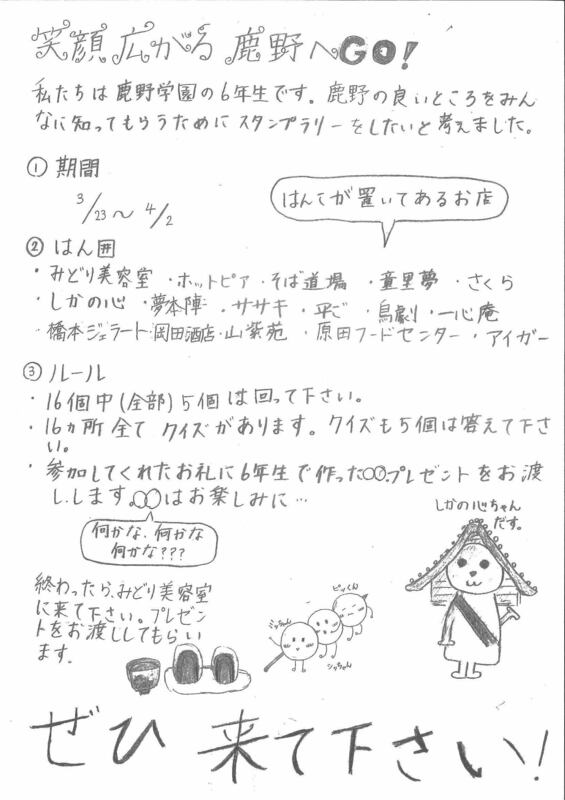 A participation condition: A high school student of Tottori. You cannot be interested in a drama! 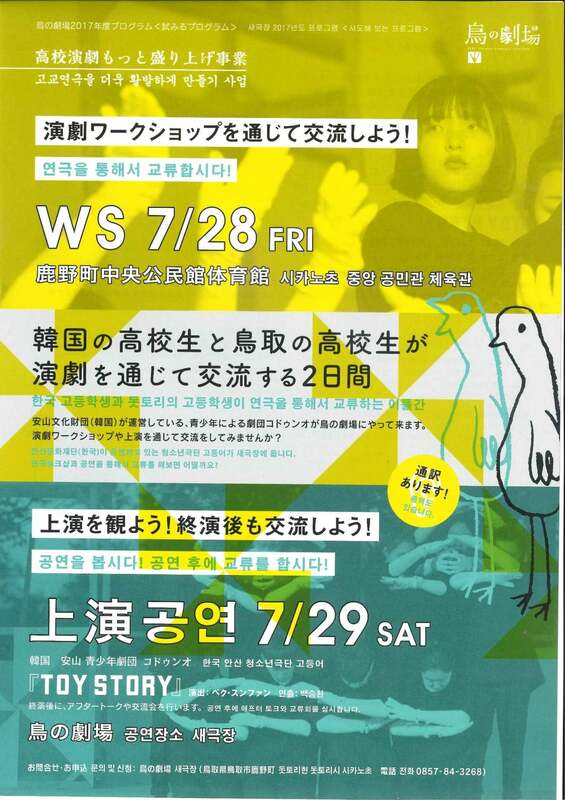 Please connect with the theater of the bird by Friday, July 21. Let's watch presentation! Let's interchange after the curtain! The 31st Kano oldness and musical Tottori performance "pale night of Kano"
※The screening in "Tottori composite art school festival, I take it art"
Tottori-shi aoya native district hall "starlit sky exhibition"
I pay attention to the starlit sky to usually look up at casually and it is the starlit sky that old people looked at and introduces the things of the constellation. 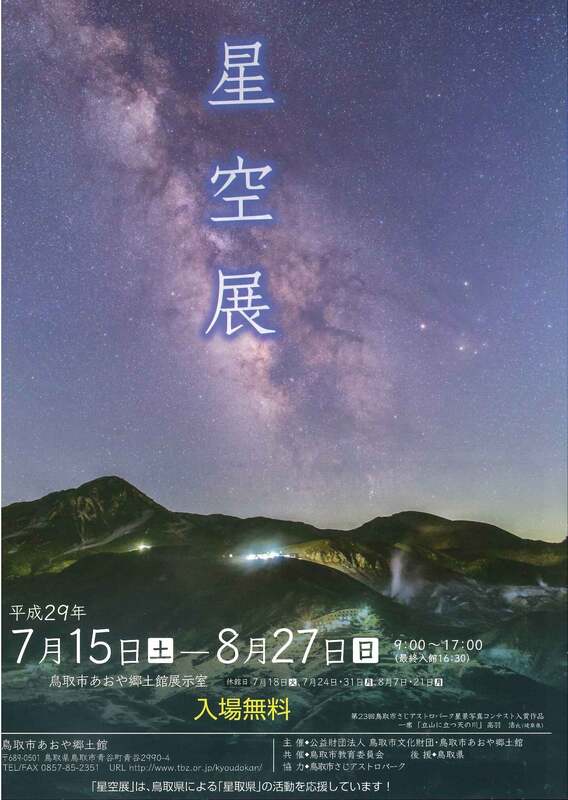 In addition, do you not touch the world of the starlit sky through a star view photograph of the beautiful starlit sky and goods of the starlit sky, various documents concerning the starlit sky including the introduction of the book about the star? ※Please participate in the clothes which may become dirty. We go around 3 halls (native district hall, pavilion, Japanese paper studio) in Aoya, and we challenge a quiz, and let's collect stamps. A lottery closes only in the first 200 people in each facility when I collect the stamps of all the 3 building (there is no blank). Let's get a premium visiting Aoya! A living and way of working that "I choose"
Make the tenth castle town; that; lotus walk is held aimlessly! "I make the tenth castle town, and lotus walk is held aimlessly". Do you not walk while enjoying the lotus in Kano castle town attracting the kinds of lotuses of the world? ※I close it as soon as it becomes the capacity. Please refer to the executive committee for the details. 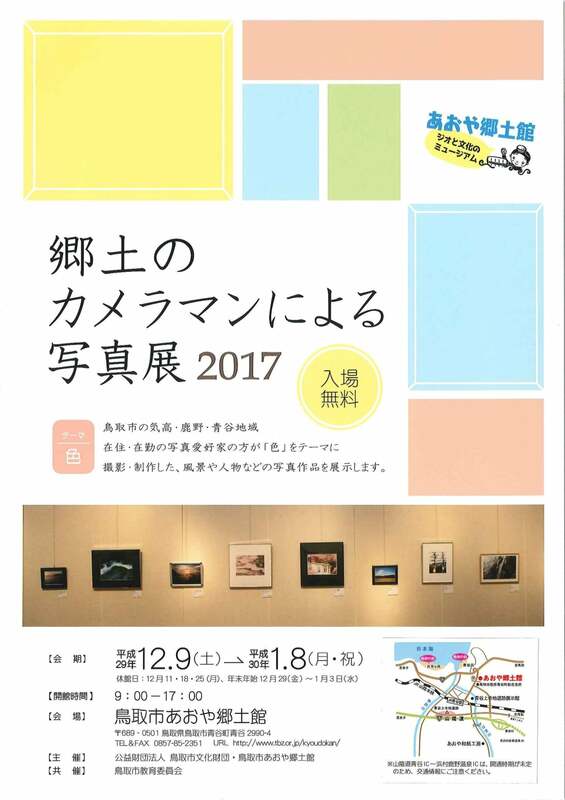 I raise photographs to exhibit at "photo exhibition 2017 by the photographer of the native district". In the case of an address, a full name, a group, you attach the work total number to a reference with a representative by a telephone, fax, and apply. At the application stage, I do not mind the work name in undecided. 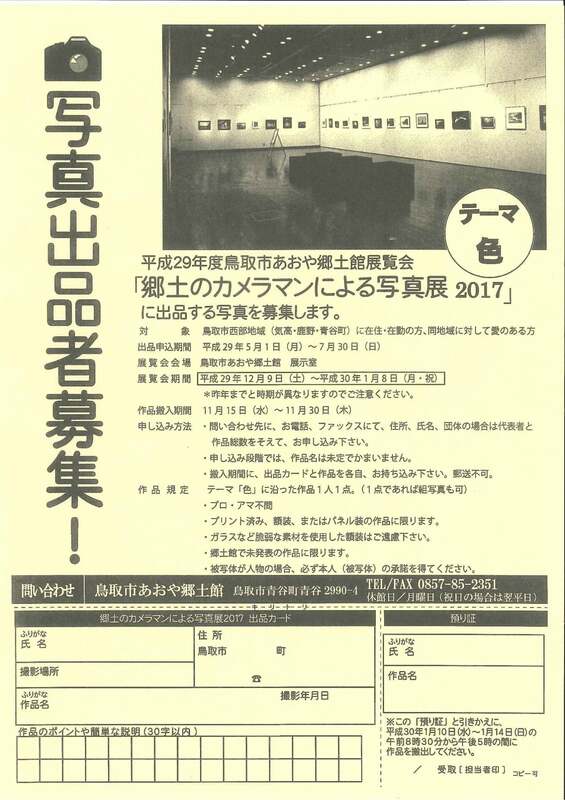 During an import period, please bring in an exhibition card and a work respectively. It is impossible of mail. I frame professional amateur no object / print finished or am limited to a work of panel so. Please refrain from the picture mounting using the weak material including the / glass. It is limited to an unpublished work in / native district hall. In the case of a person, / subject, please get the consent of the person (subject) by all means. "Short do it in spring, and deer bura 2017 holds ho asking Kano" on Sunday on Saturday, April 8, 2017, 9th. Various events including a school koto performance out of Kano and the tea party of the cherry tree princess are carried out. A venue: The castle town Kano whole area has a lot, and please see HP of the inquiry. The reservation of the ticket by a telephone, Web, an email. Please pay the rate at the time of a visit. 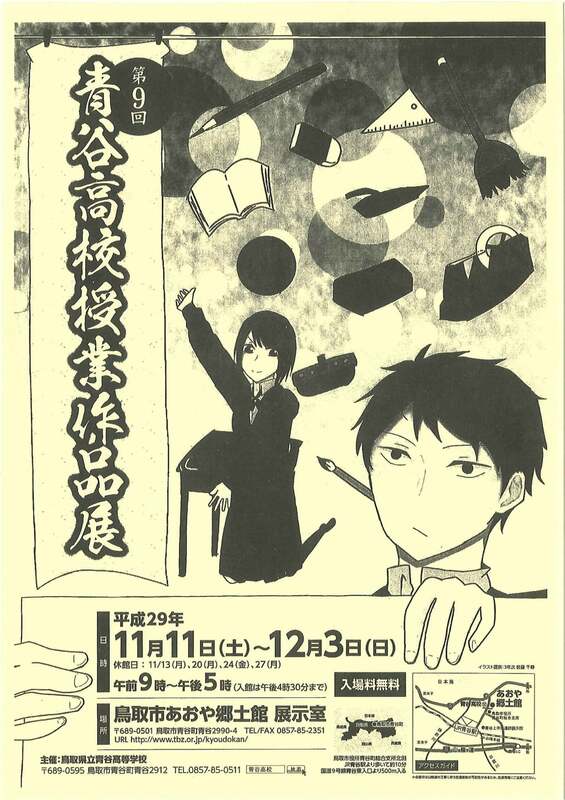 Drama lecture ① Tolstoy reads "power of the darkness"
Articles for sale of Kano gather! Vegetables and a flower bed seedling, special products produced in an area assemble in full force! There is the behavior of the freshly made rice cake! 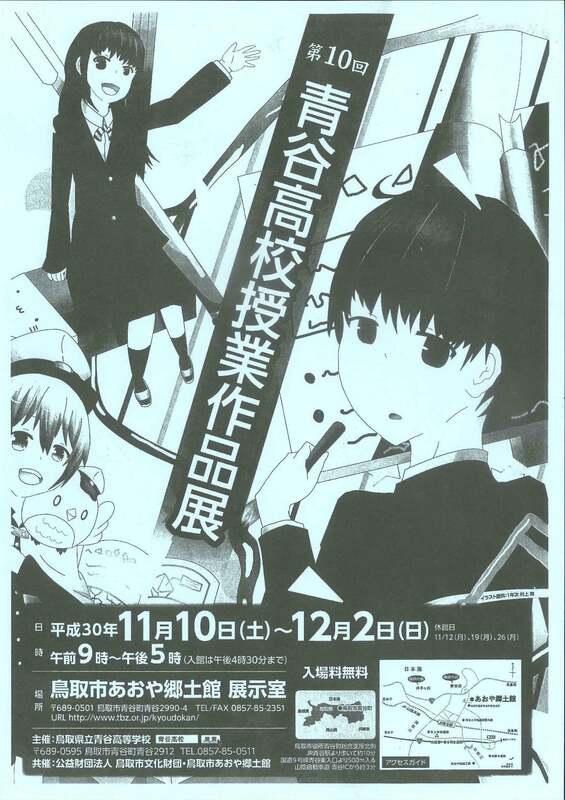 The first Kano Wanko-soba championship holding! 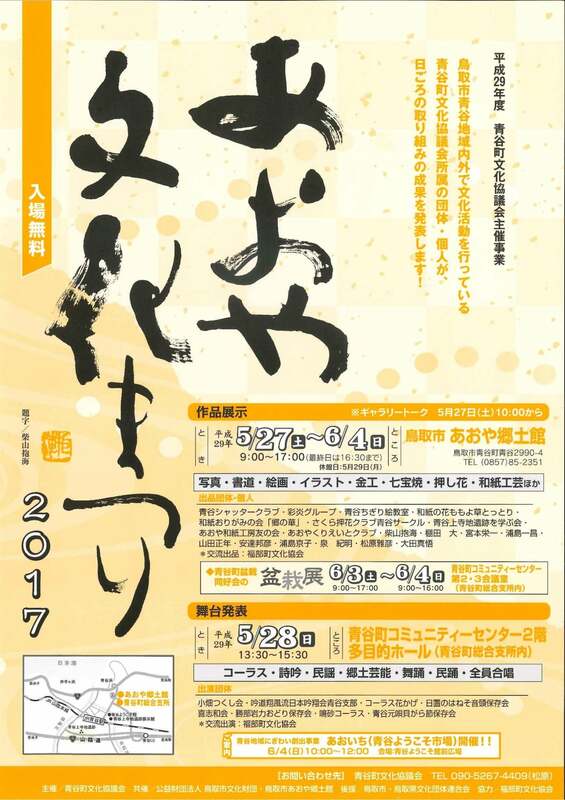 "The day when a festival revives to the 30th Kano oldness and musical Tottori performance Kano" is opened on Sunday, February 5, 2017. Based on a historical fact of the Kano Festival revival, a town is the masterpiece which is comical, and reproduced the energy of the Kano townsman in the Edo era when I burnt to wake you up. Please use public transport if possible. A light to make with the thirteenth "Inaba Japanese paper light exhibition" Inaba Japanese paper in Tottori-shi aoya Japanese paper studio plan exhibition room from Saturday, January 14, 2017 of peace. But, it is held. 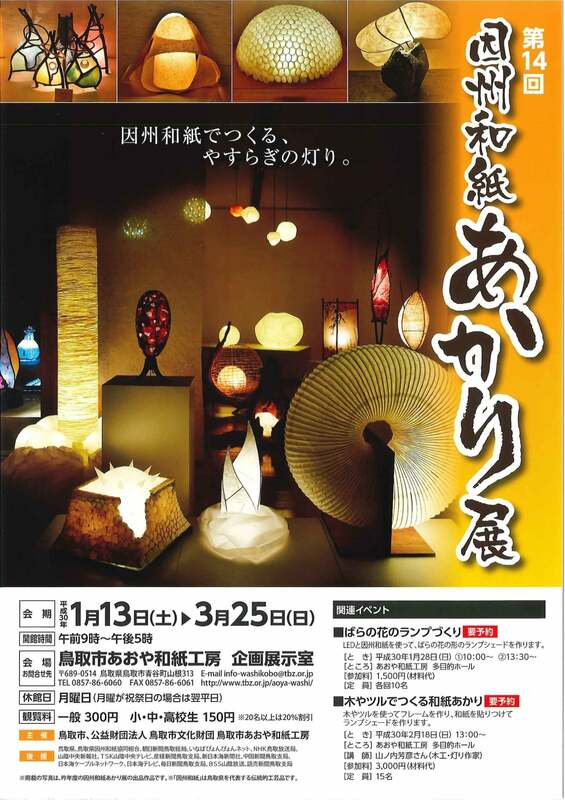 Lighting exhibition such as a light work, the art object using the Inaba Japanese paper made specially in Tottori is held. 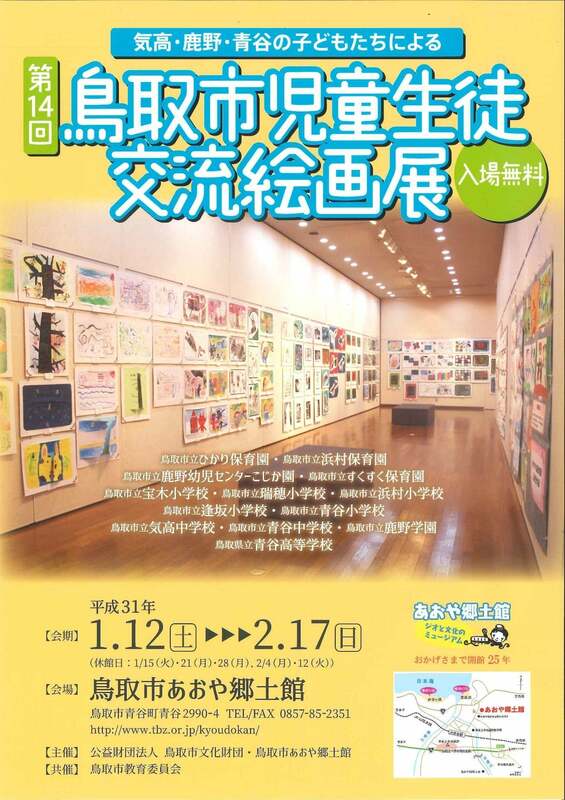 "The Tottori-shi child student interchange art exhibition" by children of the twelfth Ketaka, Kano, Aoya is held. 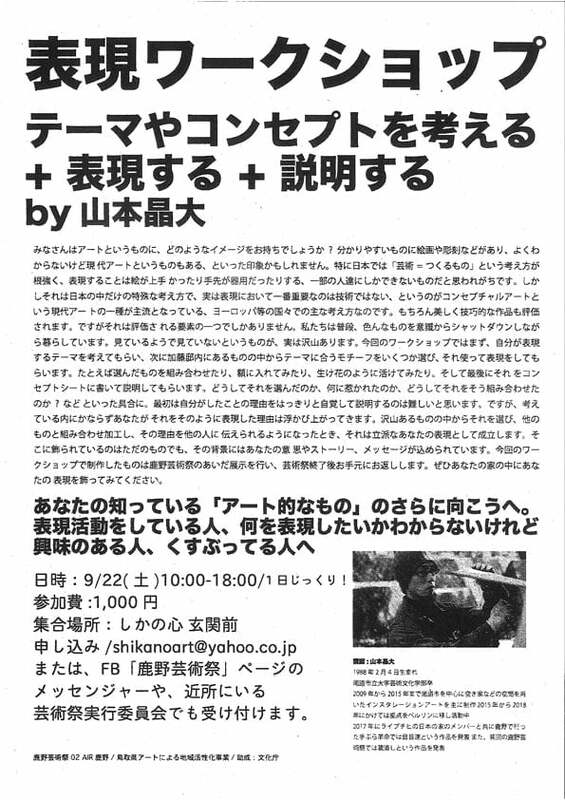 I hold "colored leaves and Irish evening Mareka & Junji concert". It is held as a cloud dragon temple garden public support plan. Please thoroughly enjoy the Irishman music that made full use of various musical instruments. 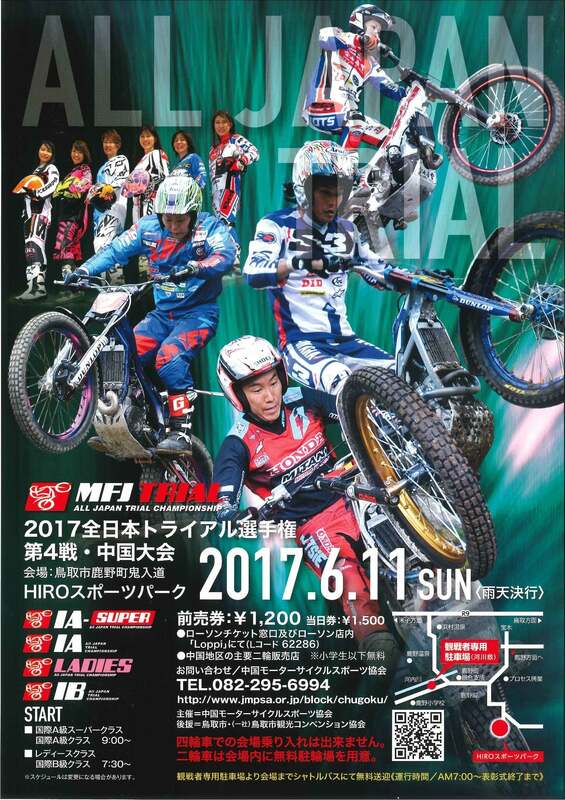 The gathering event holding of the 2016 Tottori west inaba foot pass! 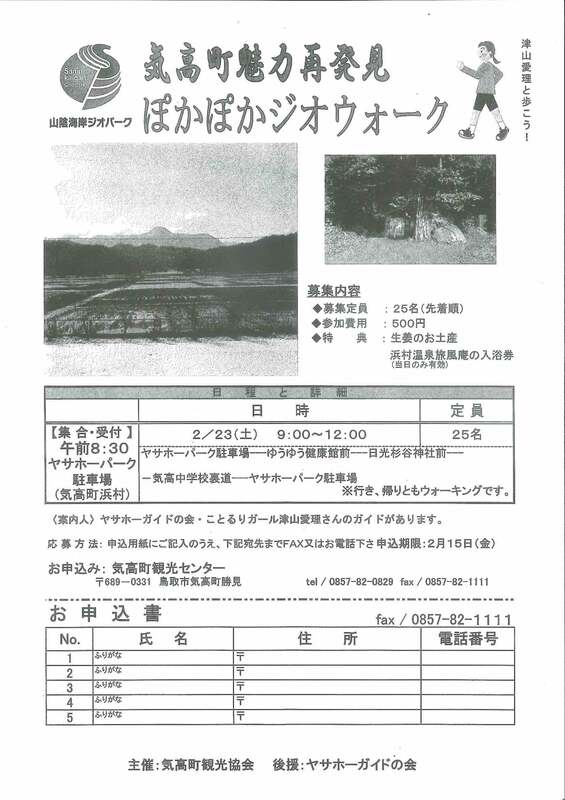 "A foot pass" is to walk while enjoying "plain scenery old in the forest and countryside, the area". 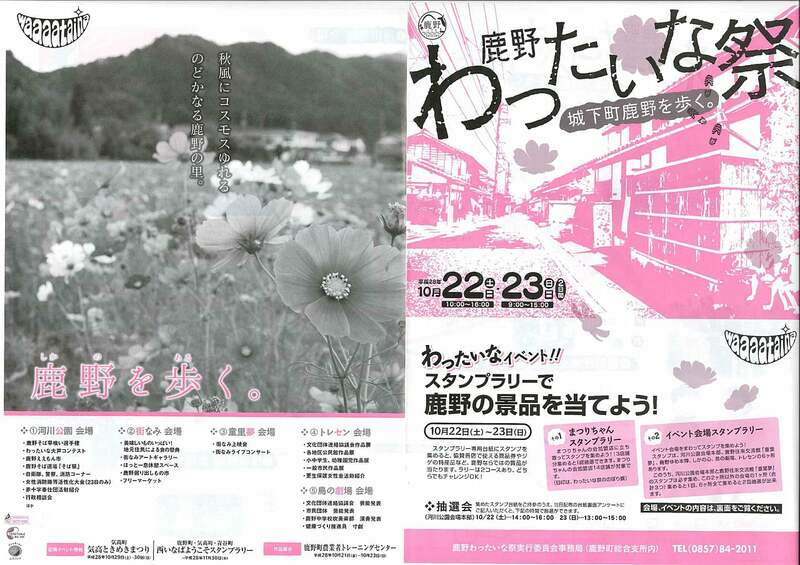 Please discover charm of "west inaba". A venue: A communal lodge "mountain aster"
On Thursday, November 3, 2016 Culture Day "Kano enthusiastic bus tour"
"Colored leaves enjoyment & Zen meditation experience. A heart is calm, and visiting Shinto shrine Buddhist temples of the autumn is held. Corner different visiting the Buddhist temple and Shinto shrines which can go only by car as well as an everyday castle town guide courseI go the enthusiastic course reading the history of Kano from a degree. I listen to a story of the chief priest in Shinto shrine worship while I indulge in autumn taste, a temple and can experience the Zen meditation. 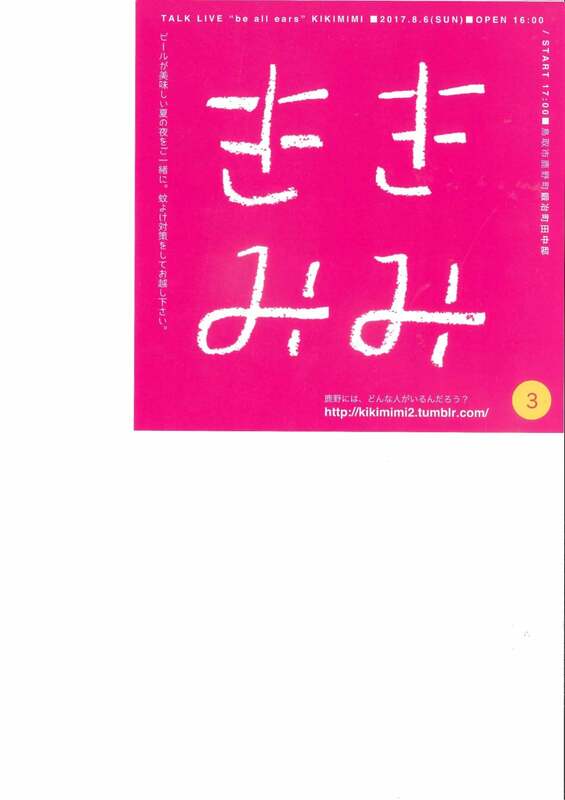 ※It is short distance, but there is the point where a slope and stairs lead to. The uneasy person is not expected. As the staff attends you, don't worry. Clothes　：I would like clothes and the shoes comfortable to walk in. 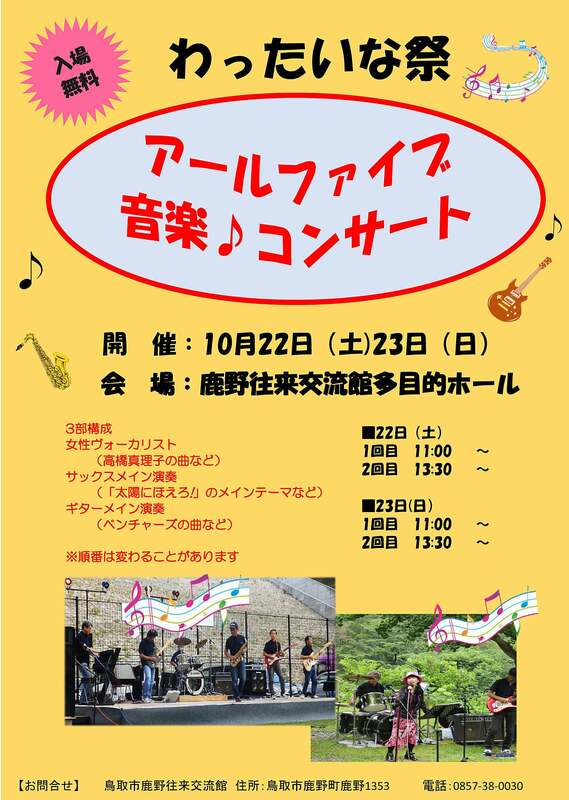 Saturday, October 22, 23rd Sunday "Kano wattaina festival"
I hold "are five music ♪ concert". 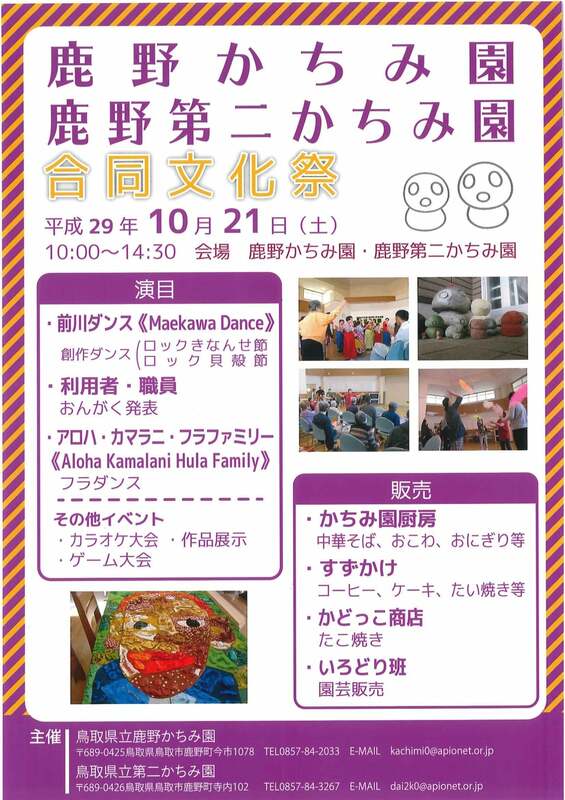 I hold "Kano wattaina festival" on Sunday on Saturday, October 22, 23rd. "It is said Juubo lowering concert ... in the eighth 2016 and, on Saturday, October 22, 2016, holds ... to both ji gaarutoiine and me" in an old small eagle river kindergarten playing and dancing room. 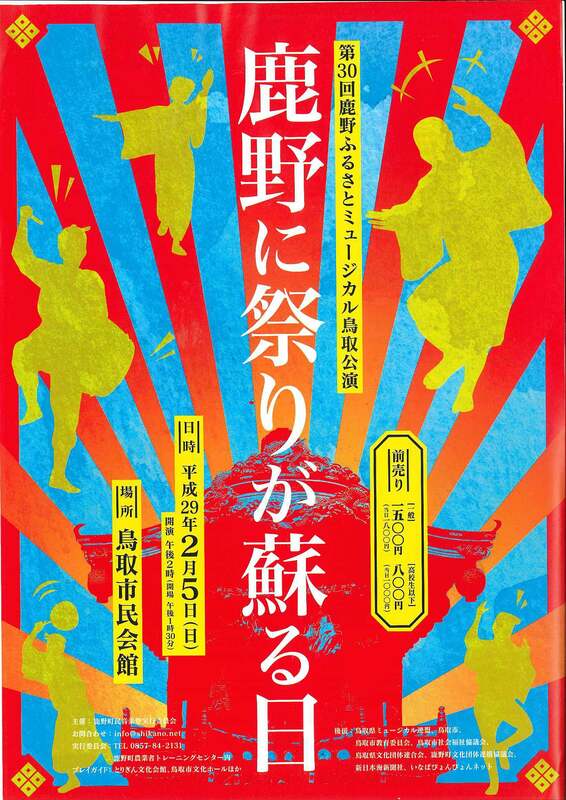 "Osaka ugui stab Festival" is held on Sunday, October 2. 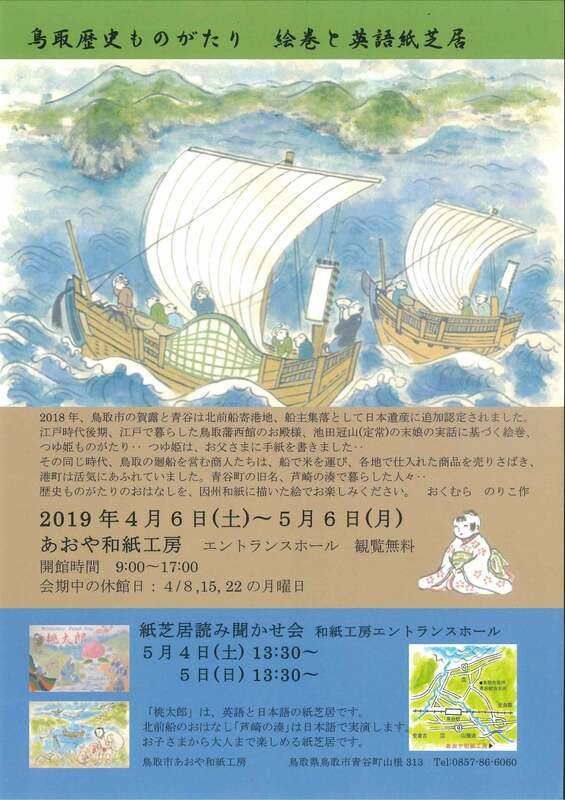 It is a traditional event to last 400 years from the trading ship authorized by the shogunate trade of the Kamei 玆 quadrature. ※Come in the top with work gloves, the clothes which may become dirty. 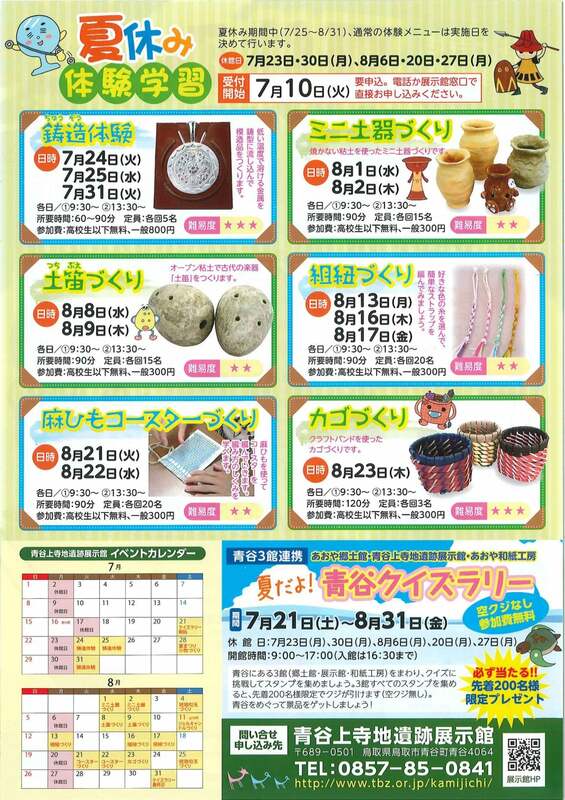 ※I rent fishing implements "ugui" free. ※I postpone it in case of rain on Saturday on 8th. "I show it only on the weekend of the town" and am held ga this year. 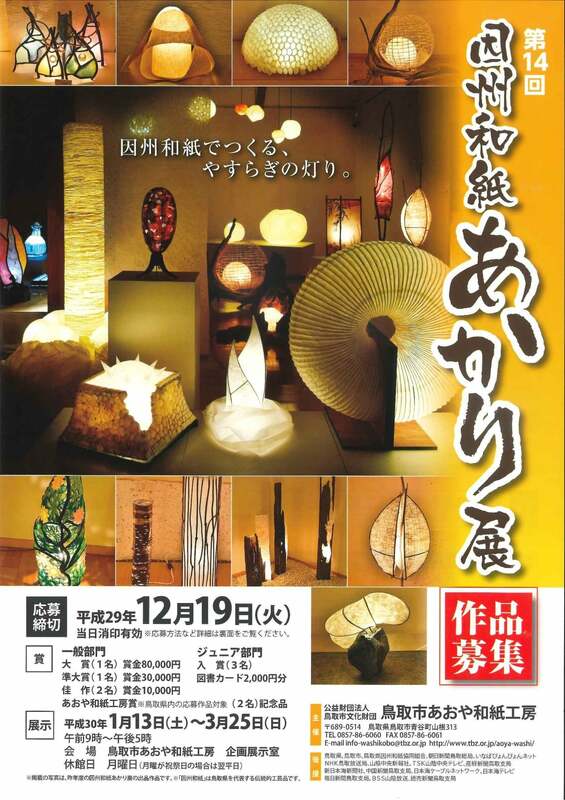 During "the 23rd BeSeTo drama festival Tottori" period, a shop only for here appears to castle town Kano. 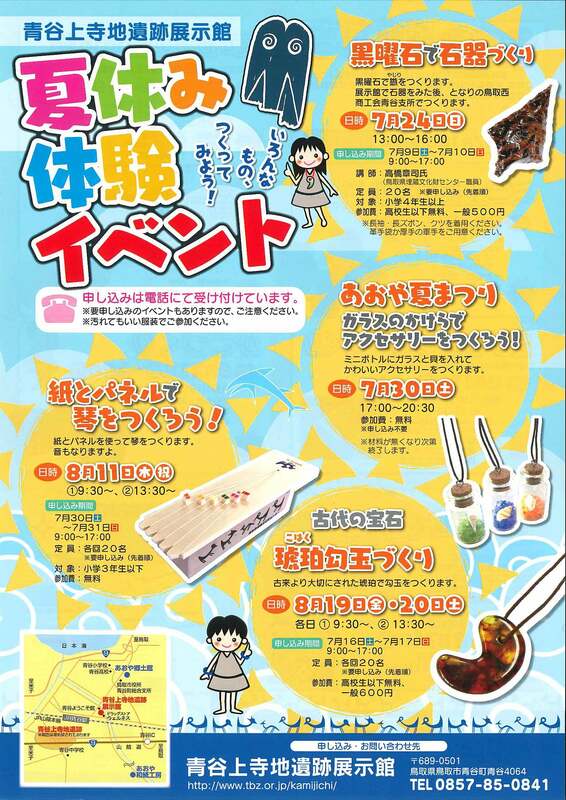 Various shops and events including a general shop, the cafe performance become varied. 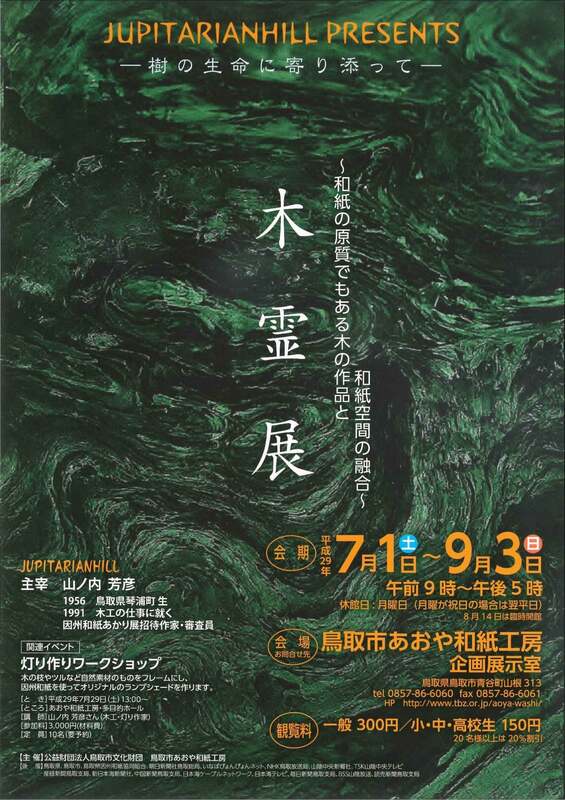 "Water, the ground also holds transformation" "Hironobu Yoshinaga plan exhibition generation of this Japanese paper light". Rich nature including the beautiful sea and sandy beach is left in Tottori. I hold a concert against a backdrop of the beach of the white rumble sand of the Aoyachoide ka beach. Please enjoy music while feeling a sound and the wind of the sea changing from summer to autumn. As I perform an activity of "the beach clean", I would like cooperation. 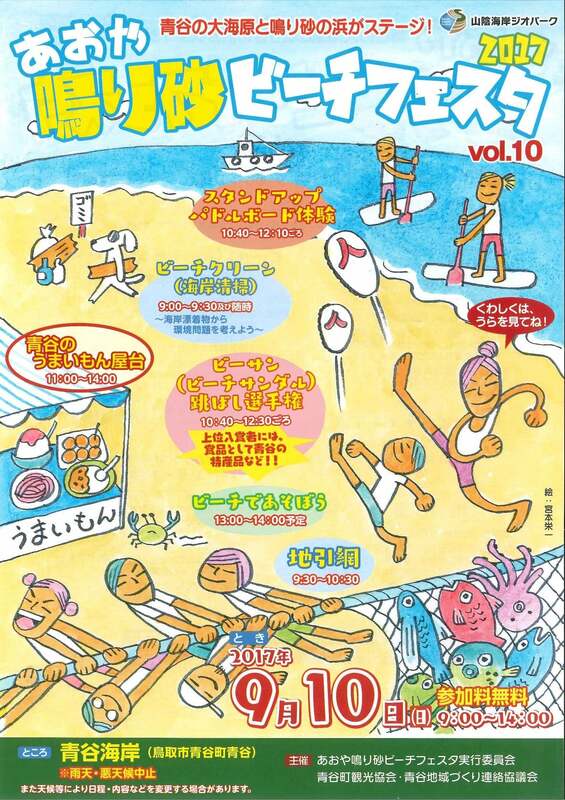 I hold "aoya rumble sand Festa vol9" in Aoya Coast on Sunday, September 11. As for the details, please see a flyer. 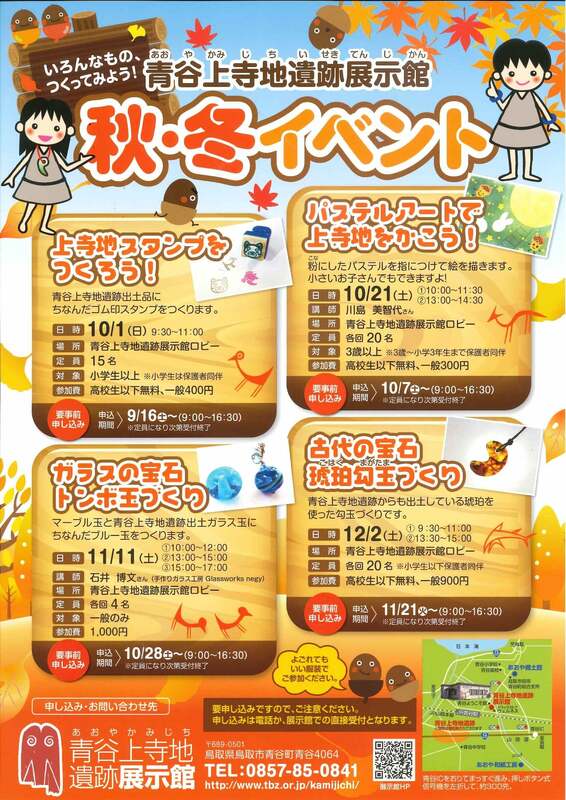 In Aoya Terachi remains pavilion "autumn, in winter event information"
"Let's make an original comma-shaped bead!" ・I make a comma-shaped bead made of stone, and a favorite color can be dyed. "The making of glass beads"
・I make a marble ball and a blue ball in connection with upper Terachi remains exhumation glass bead. Two products make a strap per person. 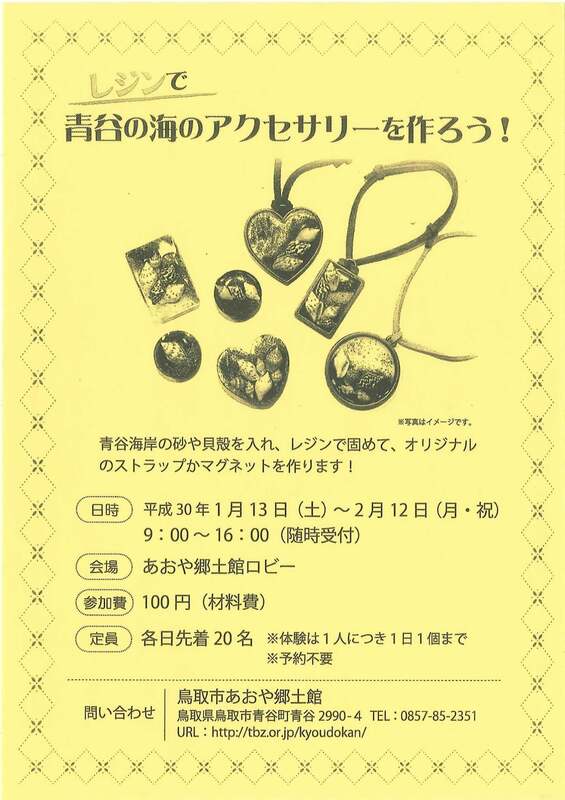 "The making of ancient jewel amber comma-shaped bead"
It is made with a ball. ※ Each experience includes the thing needing an application beforehand. 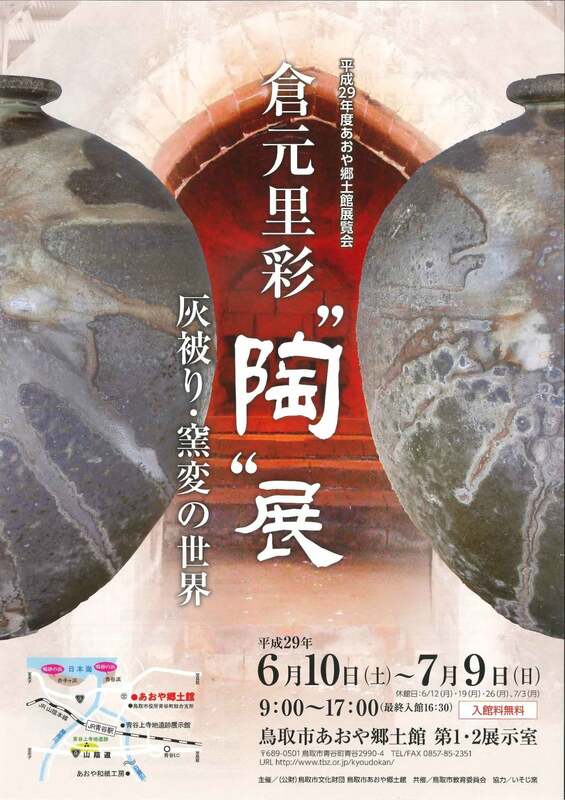 "Ball - small world - of the lobby exhibition glass"
Dozens of points of glass beads are excavated from Terachi remains in Aoya. Panels introduce the history and the charm of the glass bead. "First step ～ to be connected to easy school - art of the photograph"
I found "the comfortable school of the photograph" only for three days this summer. In the castle town which I can feel history and nature, I take a photograph and perform fictionization in an illustration, music, a design together with a theme. Do you not step forward to the first step to lead to "art?" 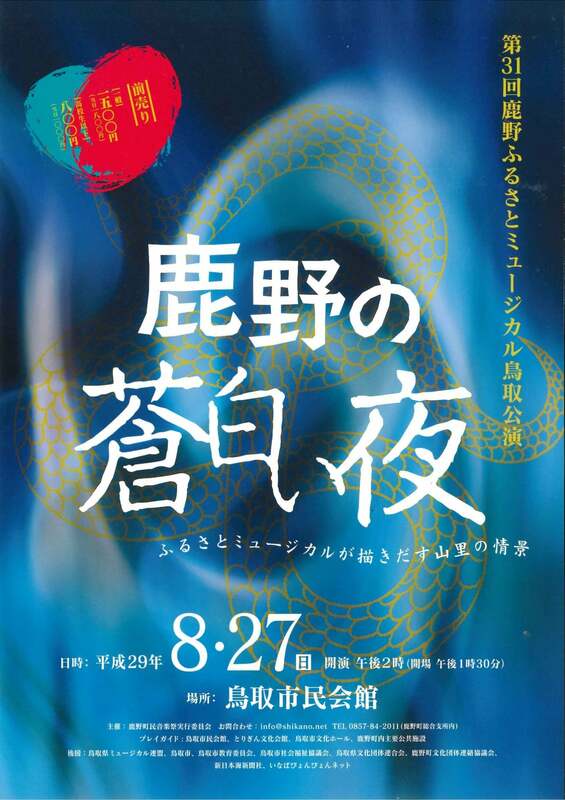 The last "insyu Kano Bon festival dance" is held in the 20th year on Saturday, August 13. "I make castle town, and lotus walk is held aimlessly" this year. 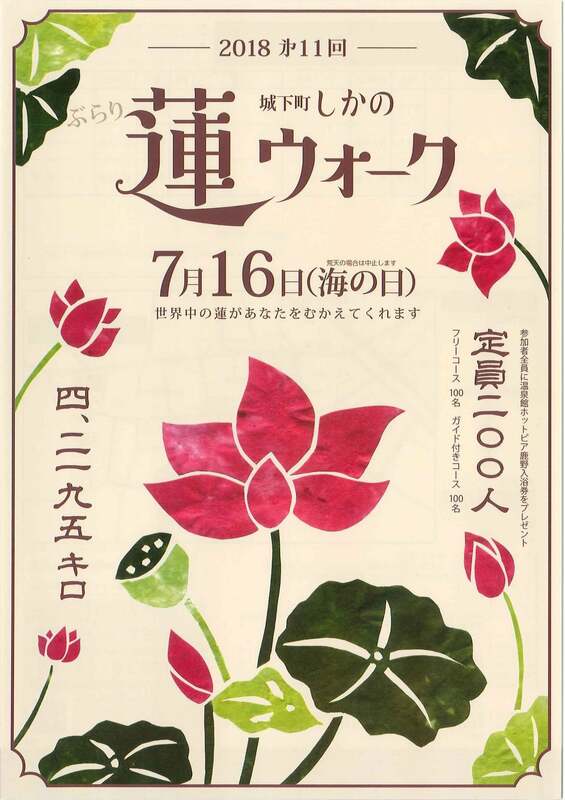 Please enjoy "a lotus" of the zeni shikanocho. 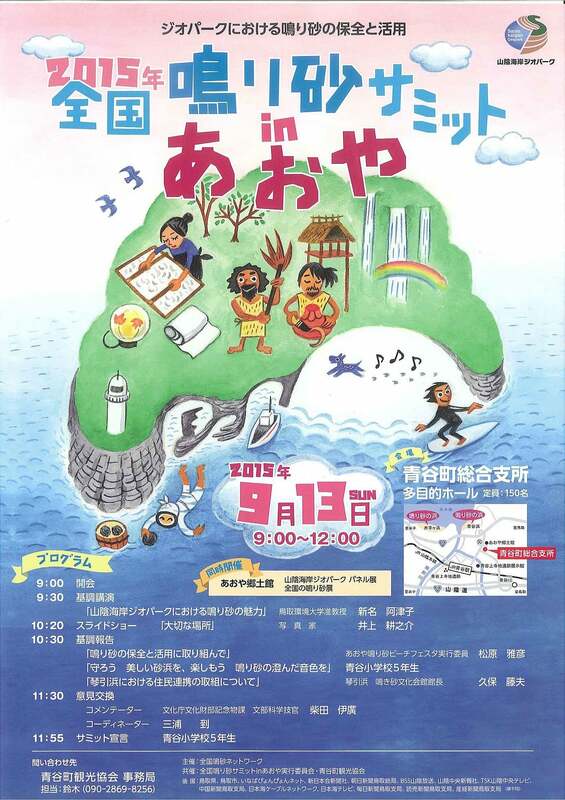 Stamp rally is held around summer Aoya. 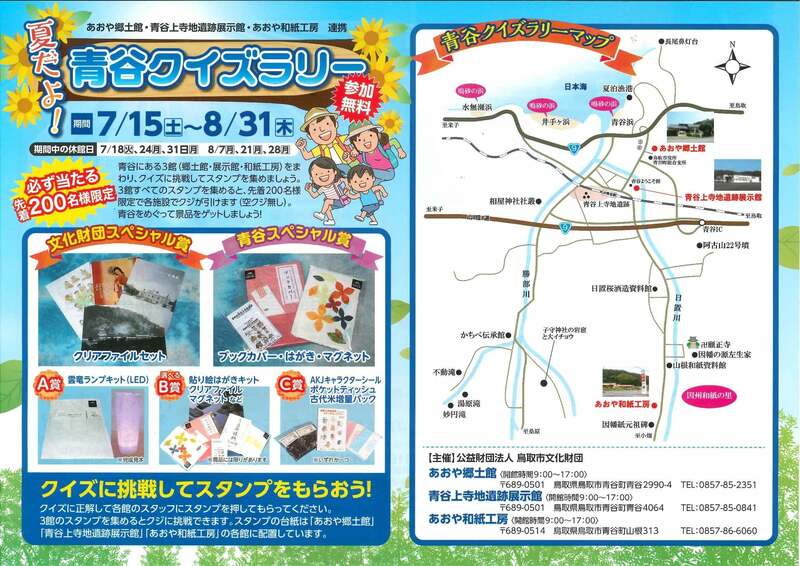 We go around 3 halls (Japanese paper studio, pavilion, native district hall) in Aoya, and let's collect stamps. I can pull a lottery in each facility when I gather all the 3 building only in the first 200 people (there is no blank). What kind of product hits; in fun? 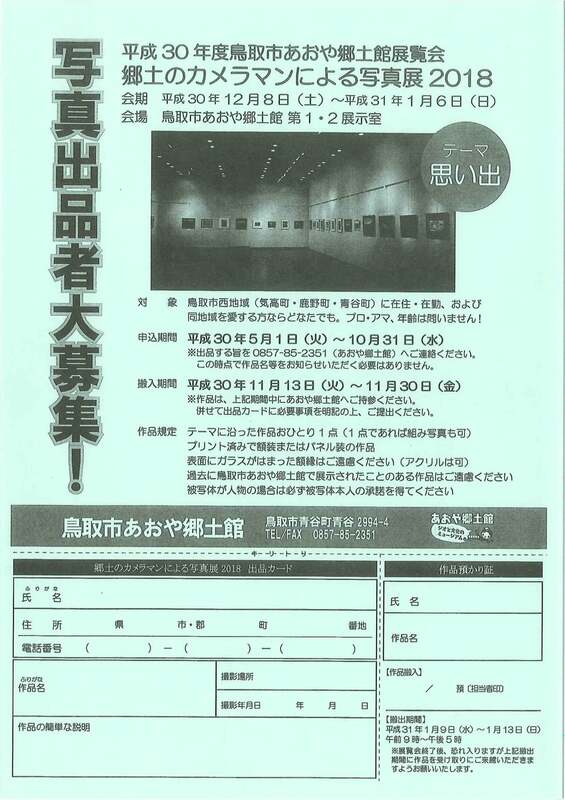 Please refer for exhibition, event, facilities information in each facility. 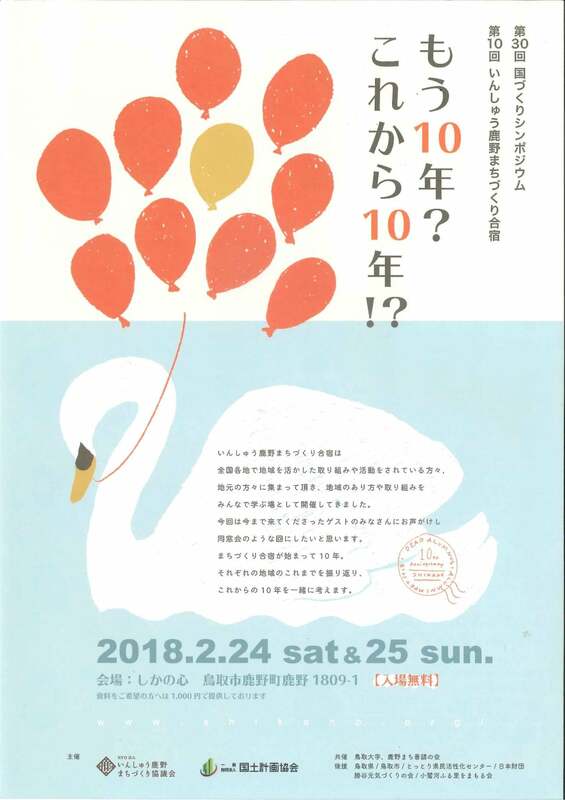 The plan exhibition "family X Inaba Japanese paper of the small bird" is held. 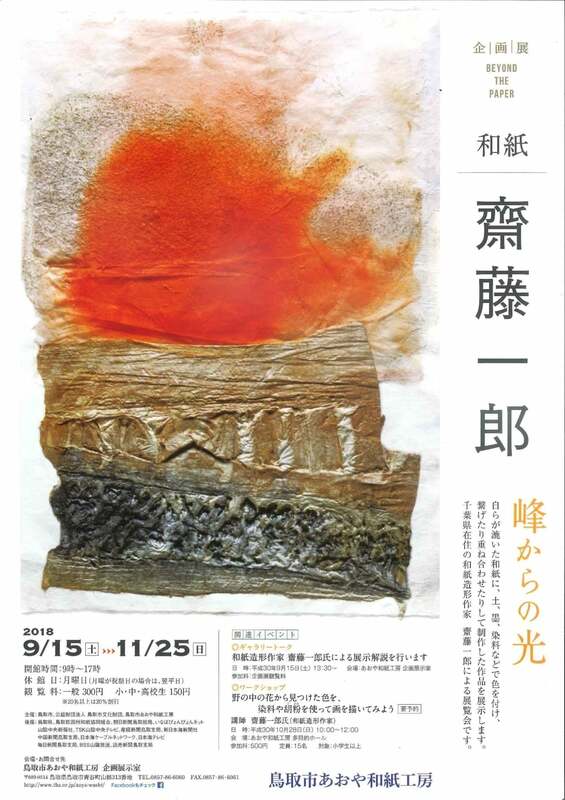 It is collaboration of the Inaba Japanese paper. 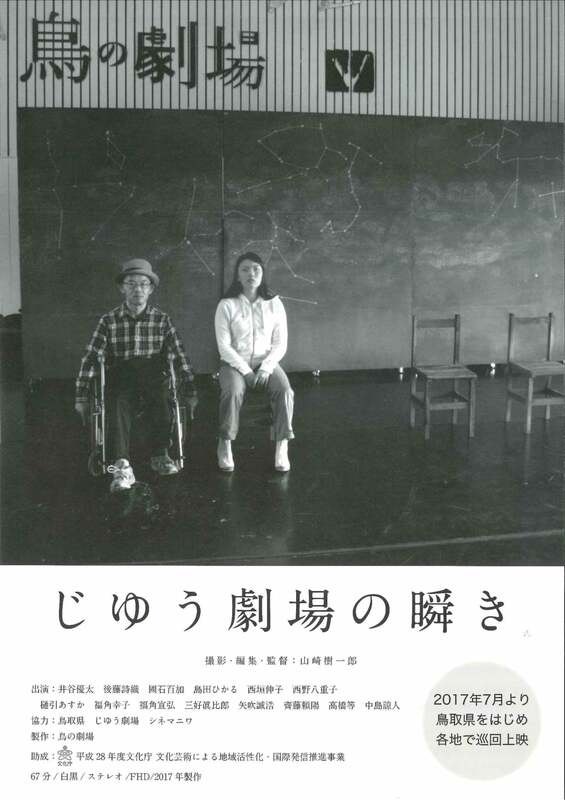 I photograph a family photograph on the stage of aoya Japanese paper studio, and I am printed by Inaba Japanese paper. I challenge shooting with a high-performance digital camera! I print it on Inaba Japanese paper. 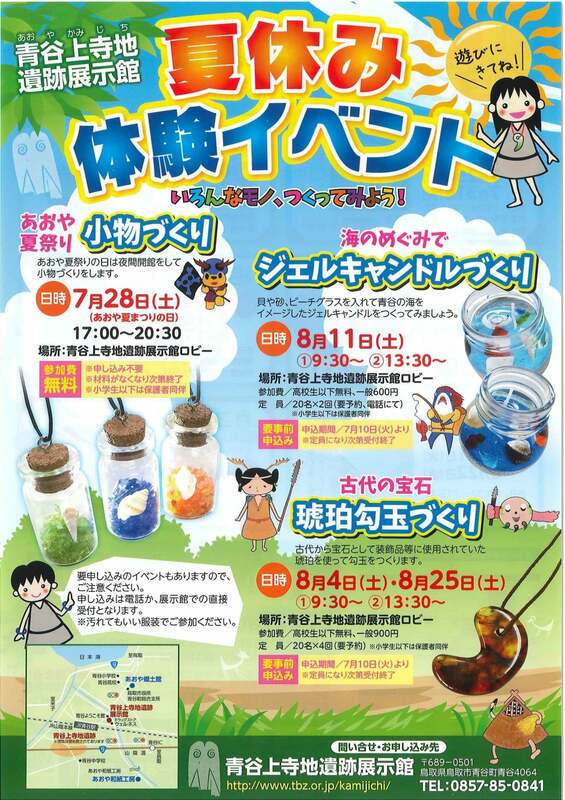 Terachi remains pavilion "summer vacation experience event" is held in Aoya. Each experience includes the thing needing an application beforehand. 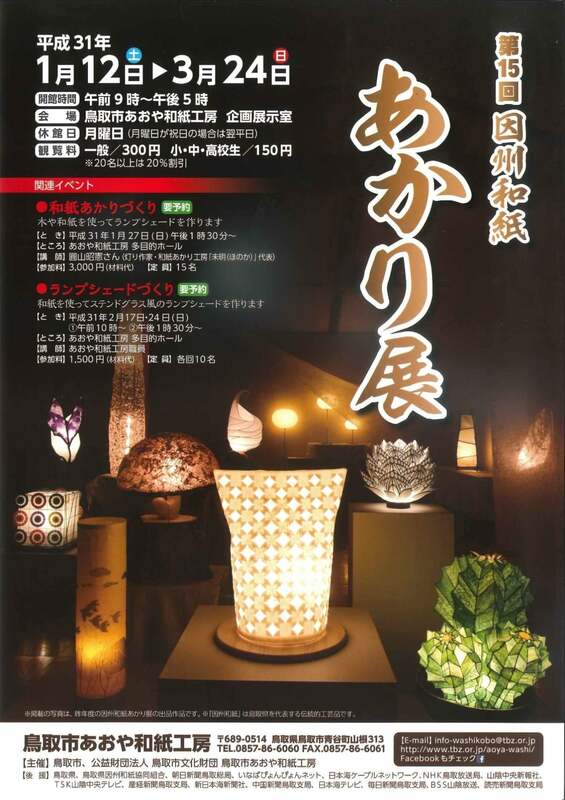 "A Kano dream Honjin woodwork exhibition" is held. Please spend slow time being wrapped. 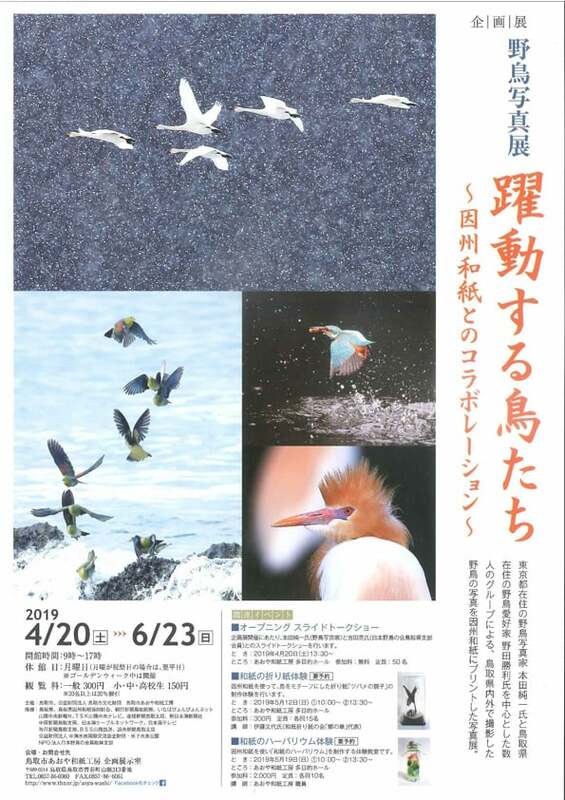 It is held "San-in Coast Geopark photograph contest". 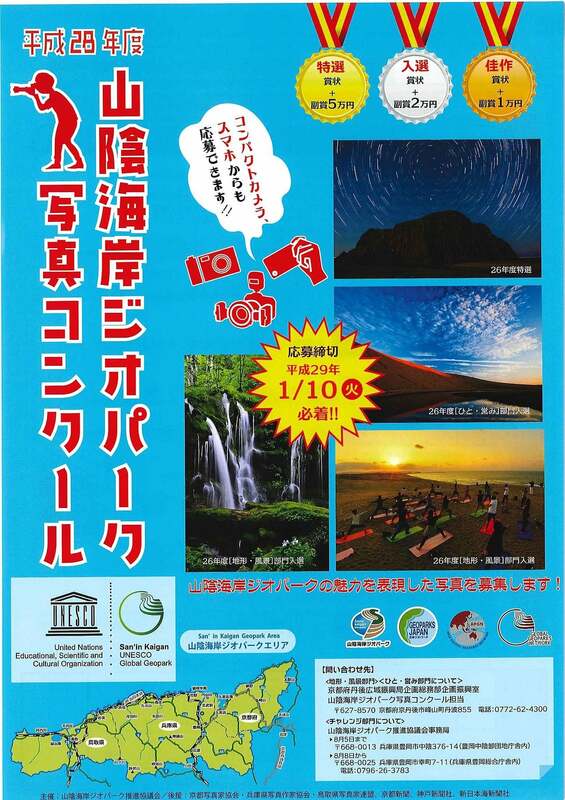 I raise the photographs which expressed the charm of the San-in Coast Geopark. I can apply from a compact camera, a smartphone! 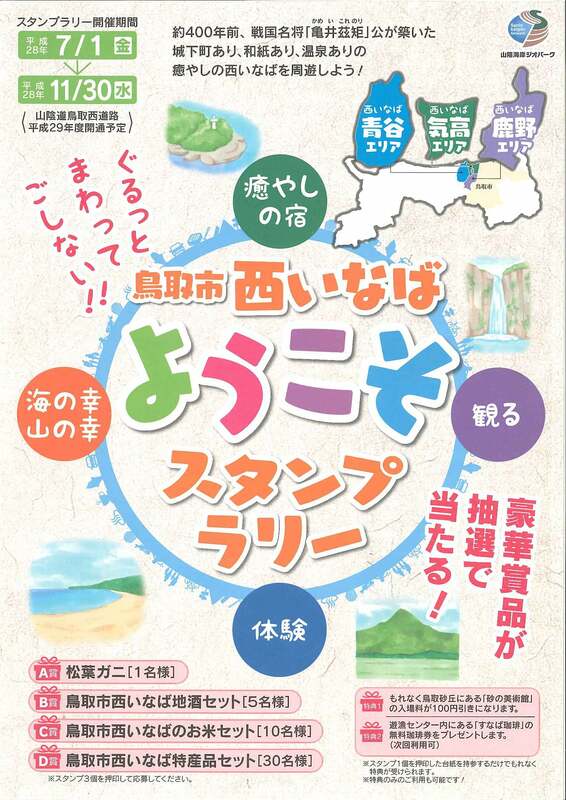 I hold "Tottori-shi west inabayokoso studio plastic Lee"! Let's make a round trip of west inabao of the * palm! A luxurious prize hits by lot! Please participate! ※When I reach the capacity, I may close it. 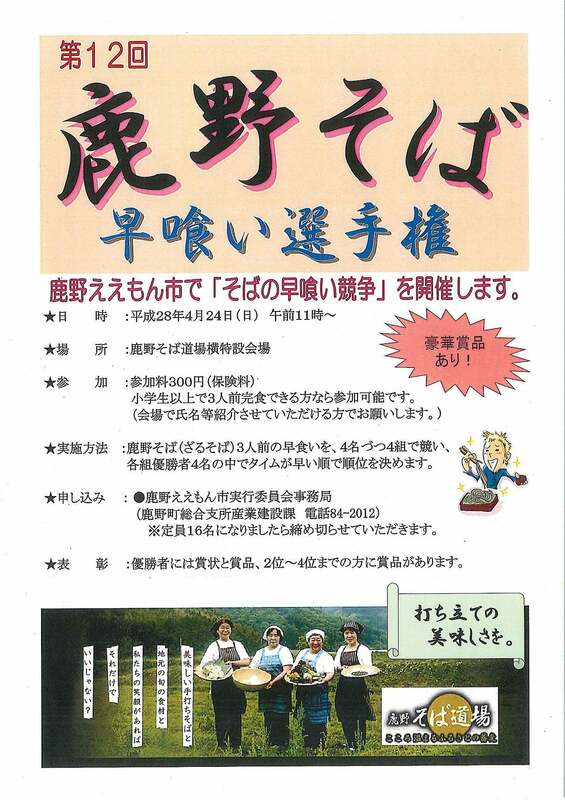 A group, an individual of the Aoya-cho culture meeting position performing cultural activities inside and outside the Aoya, Tottori-shi area announces the result of the everyday approach! 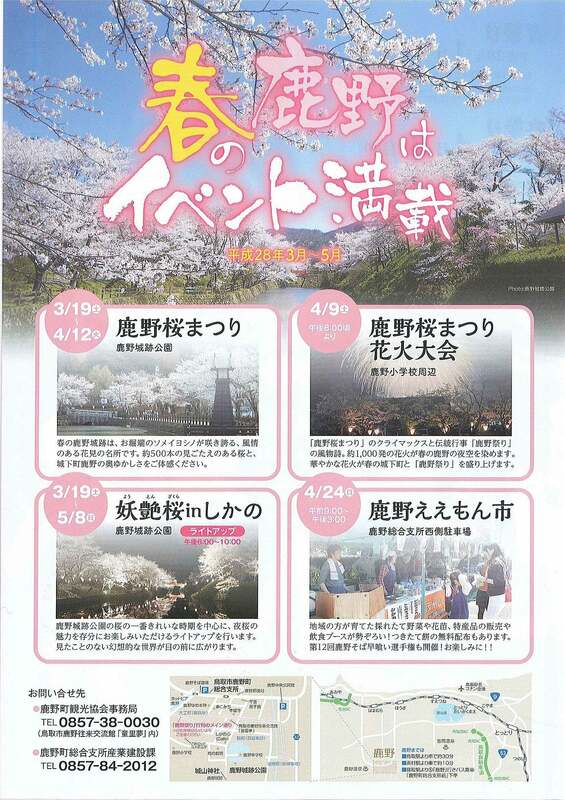 I hold "spring Kano eemon city". Please ask for the use. 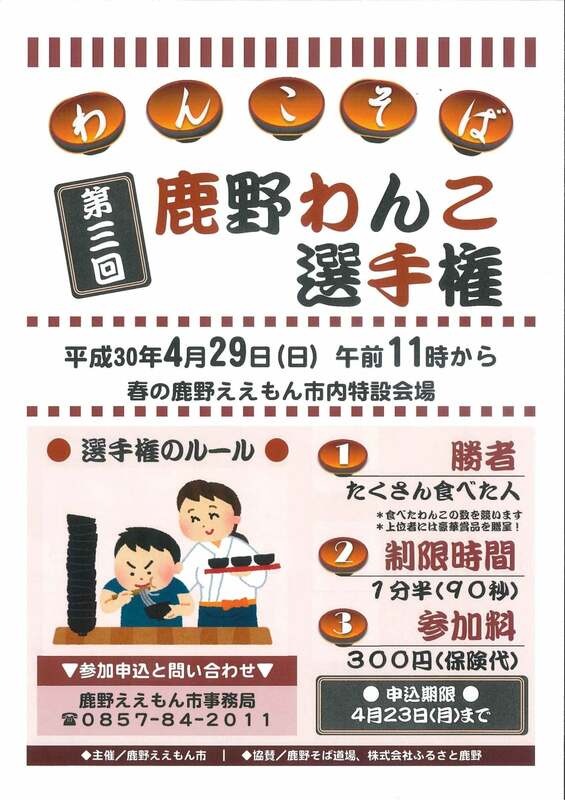 I hold "the early bite competition of the side" in Kano eemon city. If three portions are the one that they can eat up, I can participate in more than primary schoolchild. I decide order by the order that time is early. ※I close it if it becomes 16 capacity. The champion has a prize toward to certificate of merit and prize, second place - fourth place. 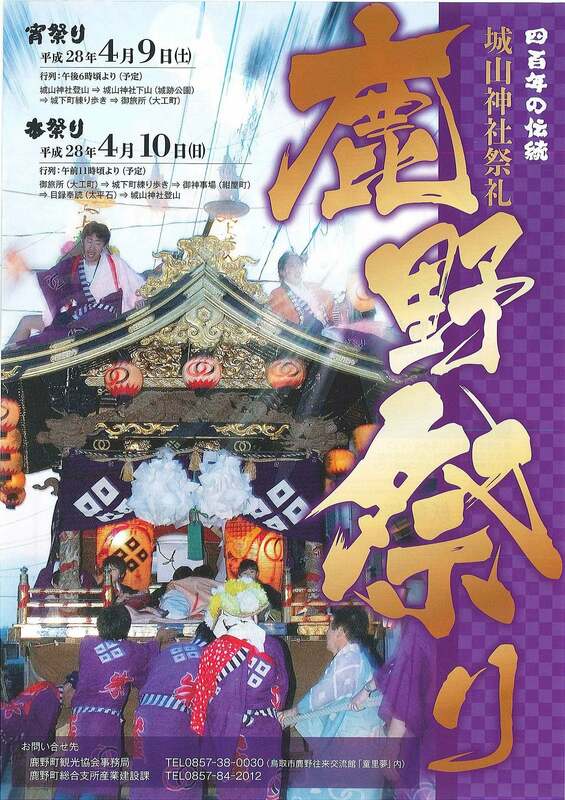 The tradition of 400 years, Shiroyama Shrine festival "Kano Festival" are held on Saturday, April 9, 2016, Sunday, April 10. Masterpiece seat screening party of the fifth deer is held on Saturday, March 5, 2016. 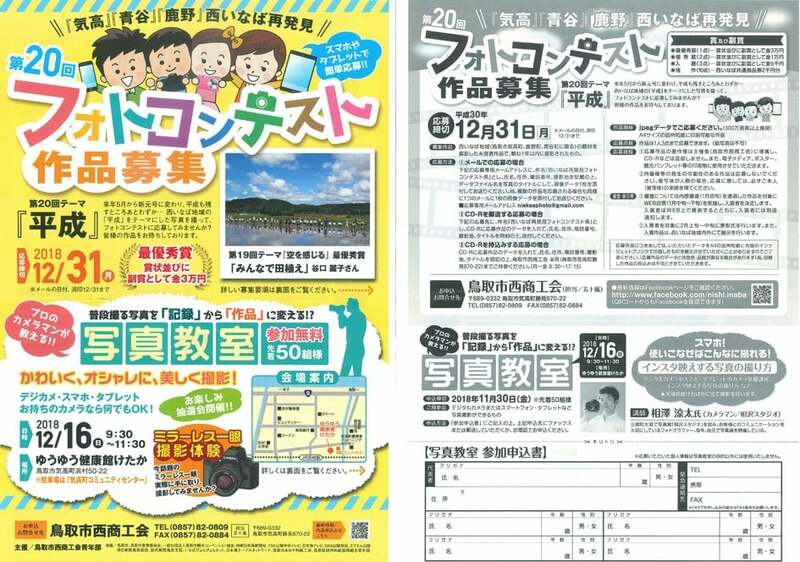 A Tottori-shi Shikano ourai kouryukan "child village dream"
※I cannot appear for work, but will inform you in reply in the daytime if you can leave an answering machine. 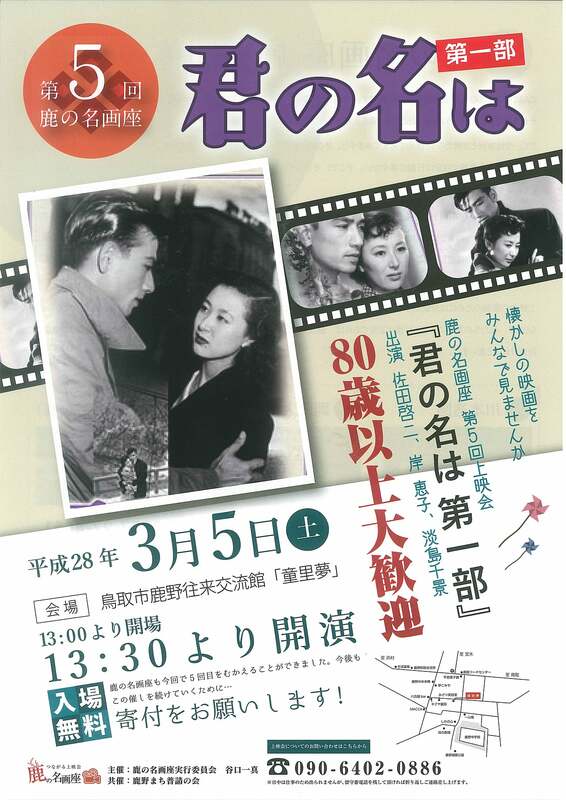 "I swell, and a "pleasure" exhibition" is held on Tuesday for from Wednesday, March 2, 2016 to 8th. Cafe & gallery "that I do it heart"
From Saturday, April 9 about 8:00 p.m. Approximately 1,000 fireworks dye a night sky of spring Kano. 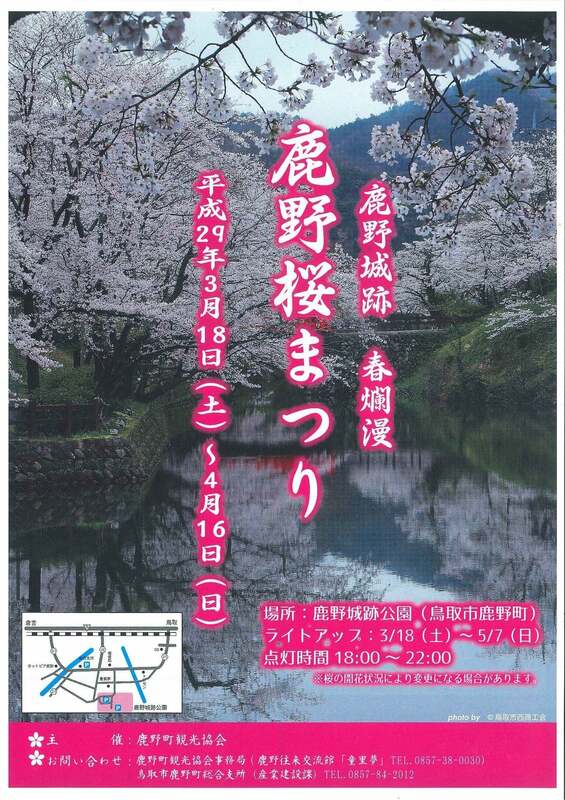 Sunday, April 24 from 9:00 a.m. to 3:00 p.m.
"The 29th Kano oldness and Princess musical Tottori performance Sakura story" are opened on Sunday, February 28, 2016. Please see a story of the love that is sad, and is beautiful to reach Kano. 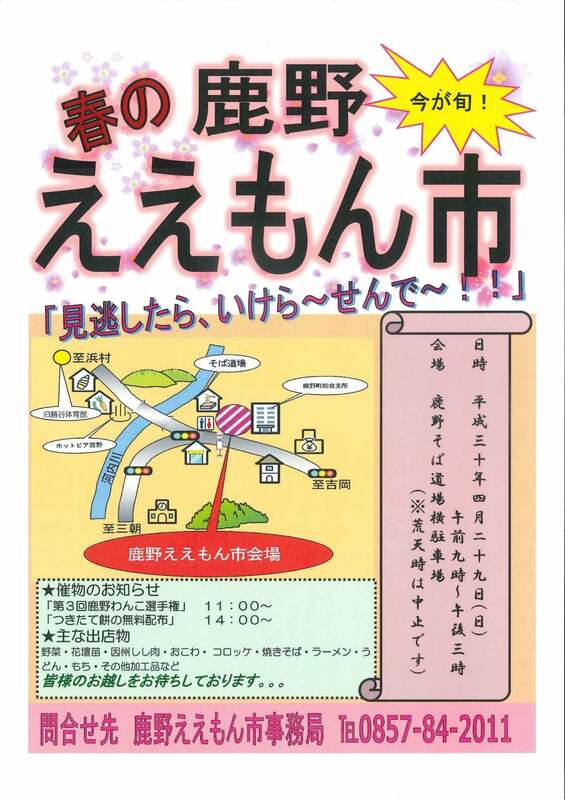 "The eighth insyu Kano town planning camp" is held on Sunday on Saturday, February 20, 21st. I have you gather in the active various places utilized the area and the local various places in each places of the whole country and am a place learning the local way and approach together. 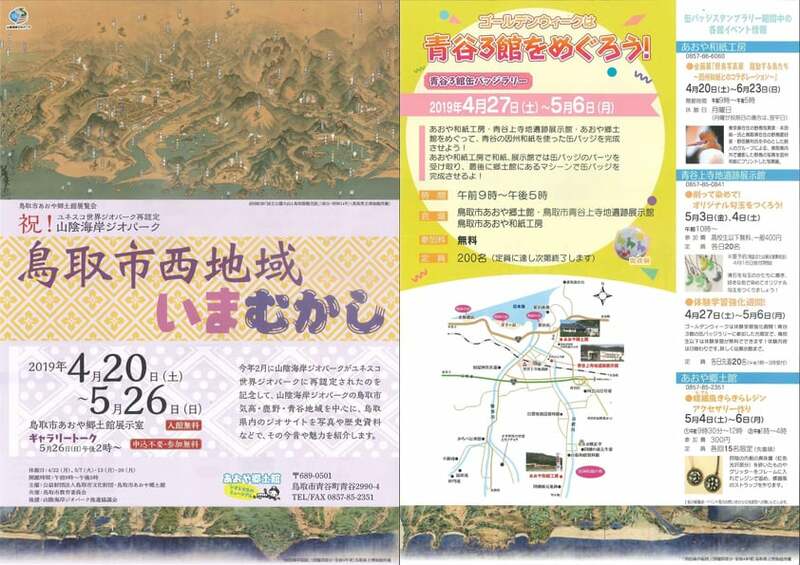 A venue: A Tottori-shi Shikano ourai kouryukan "child village dream"
"I spend word rou with the earth of Tottori"
ho asks for a town of Kano and "is the same level as the town full of history flavors resisting a disaster"
A light to make with Inaba Japanese paper of peace. 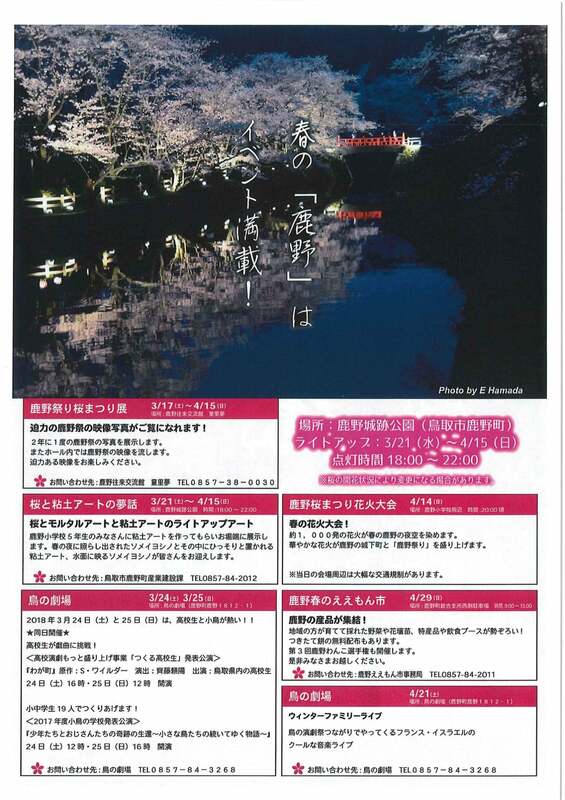 A national open call for participants exhibition of the Japanese paper light work. 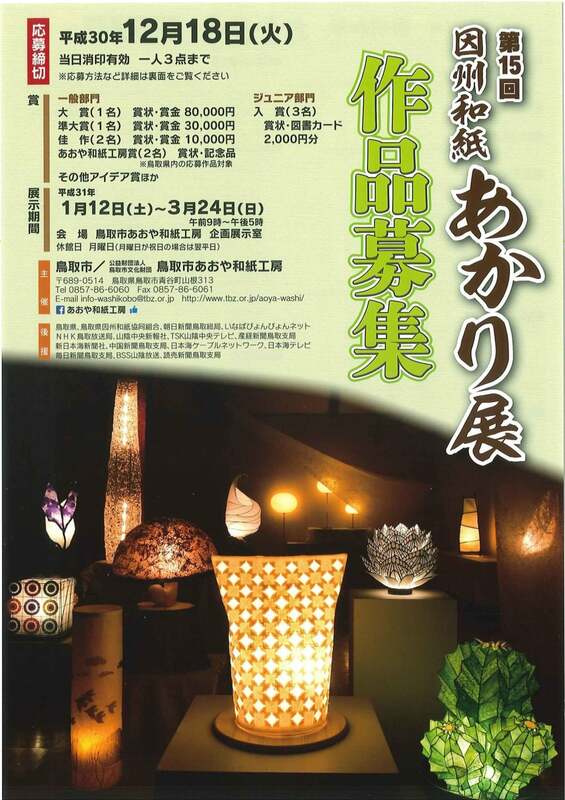 Lighting exhibition such as a light work, the art object using the Inaba Japanese paper made specially in Tottori is held. 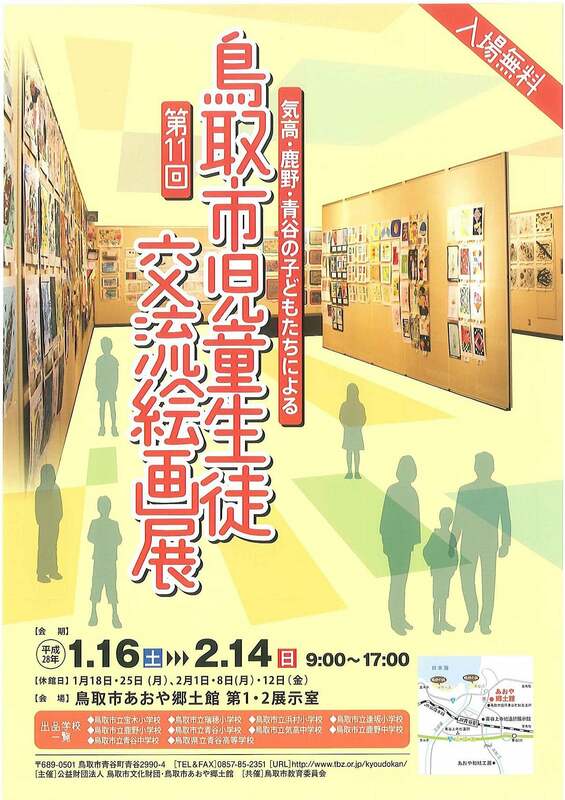 "The Tottori-shi child student interchange art exhibition" by children of the eleventh Ketaka, Kano, Aoya is held. For three days from November 21 to 23rd, the garden of the cloud dragon temple is opened to the public. You can enjoy the scenery of the beautiful Japanese garden colored by colored leaves. Time: From 10:00 a.m. to 4:00 p.m. 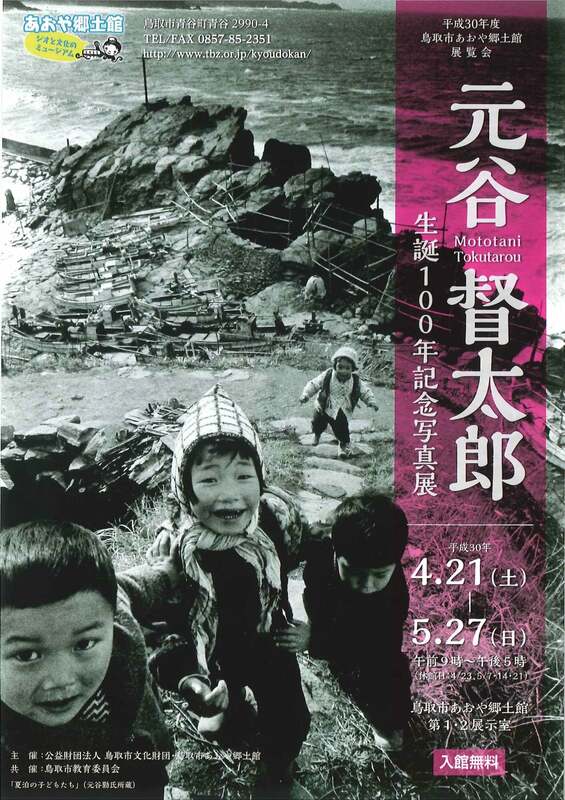 I run a photo studio in Aotanicho, Tottori-shi and am the exhibition of the photographer of parent and child who continue being active who settled in the ground. I divide a theme into two sittings and display a work. 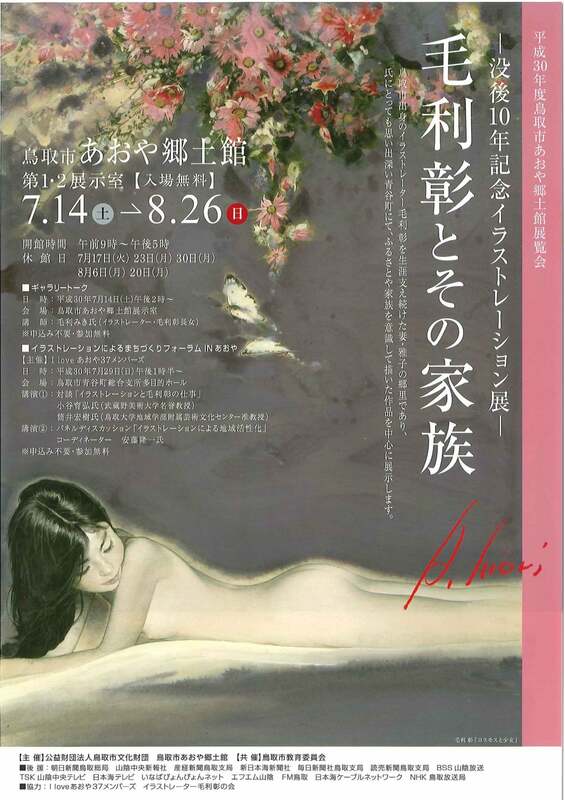 In addition, the gallery talk by Inoue is held, too. 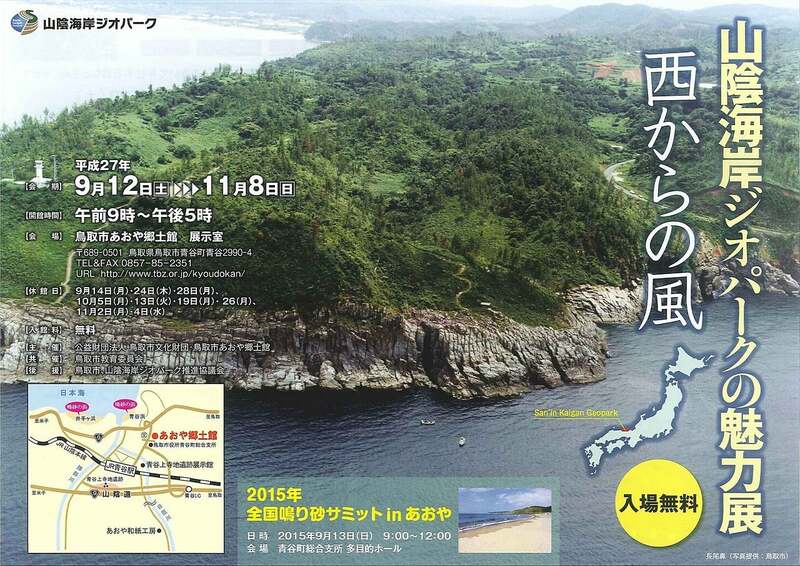 "Gathering 2015in Tottori west inaba of the national foot pass" holding! "A foot pass" This is to walk while enjoying "plain scenery old in the forest and countryside, the area". 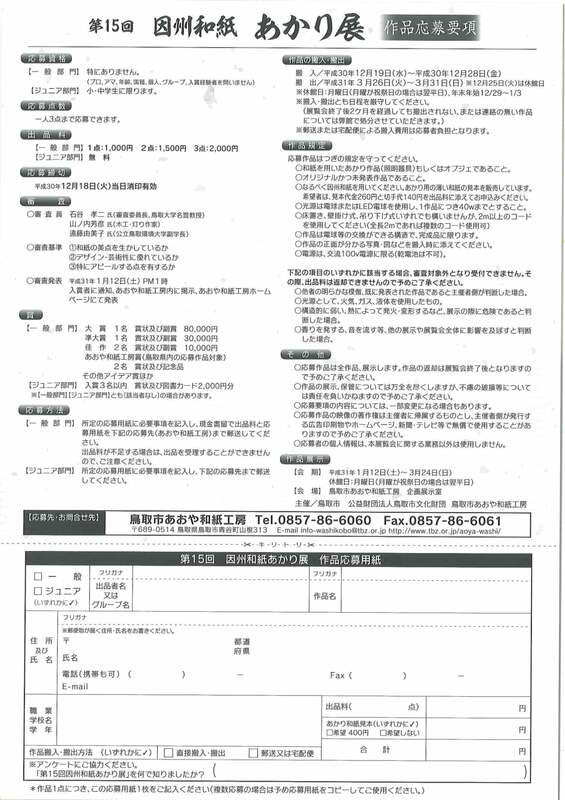 ※　The application is from the beginning of July. 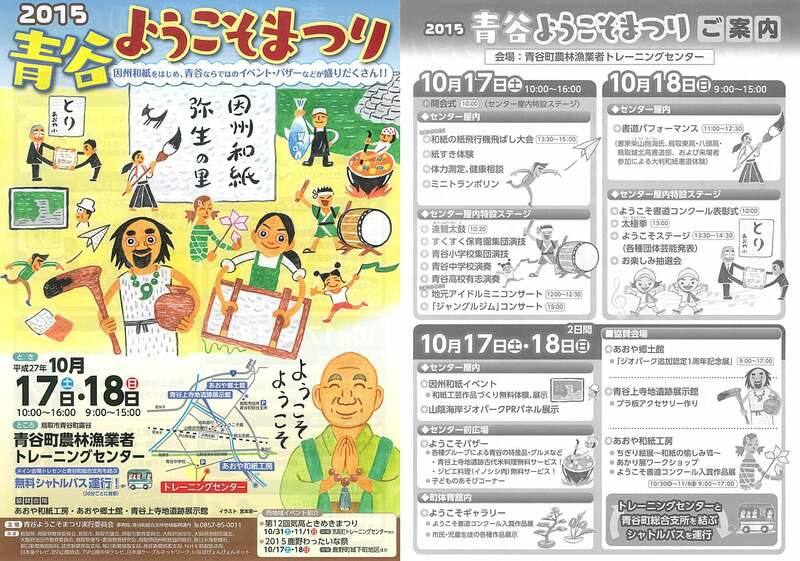 I hold "Kano wattaina festival" on Sunday on Saturday, October 17, 18th. 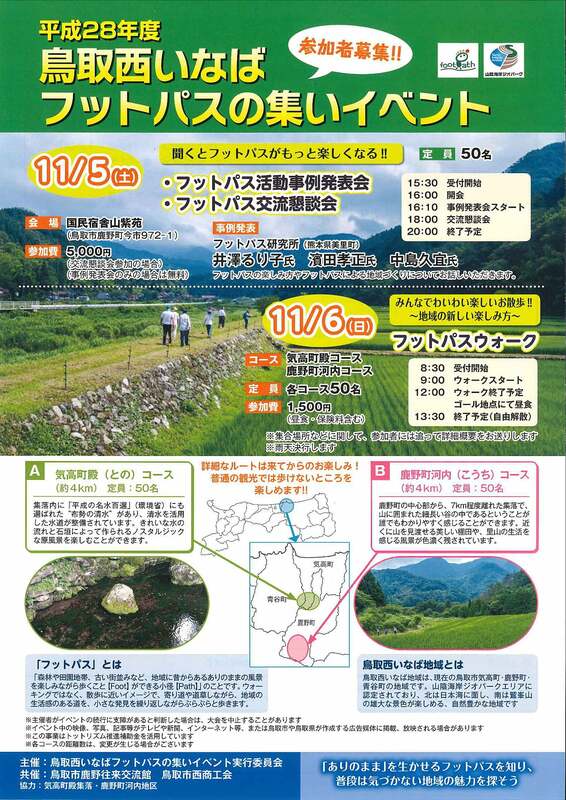 An autumn big event of Aoya "Aoya, welcome a festival" is Aoya-cho agriculture and forestry fisherman training center and is held. 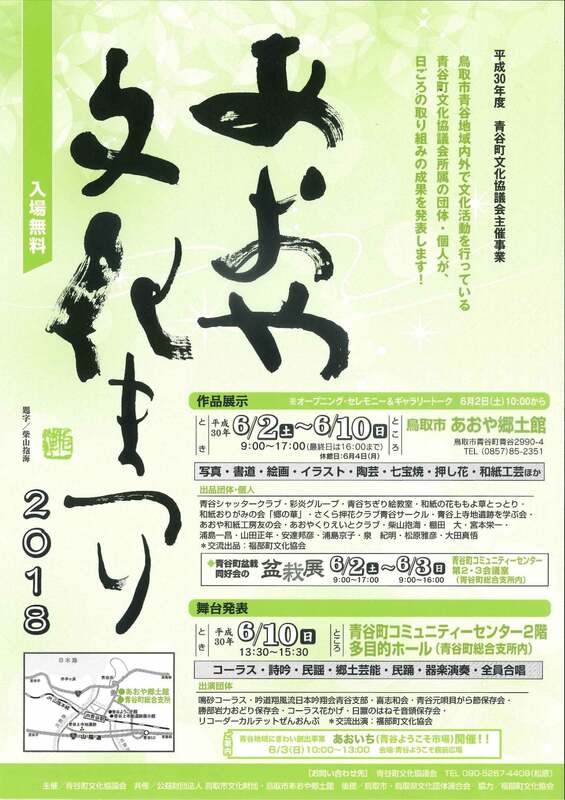 Commencing with the calligraphy contest that featured the theme of Inaba Japanese paper, I can experience papermaking and the production of the industrial art object using the Inaba Japanese paper in the display of the winning work, a high school student calligraphy performance, free of charge. 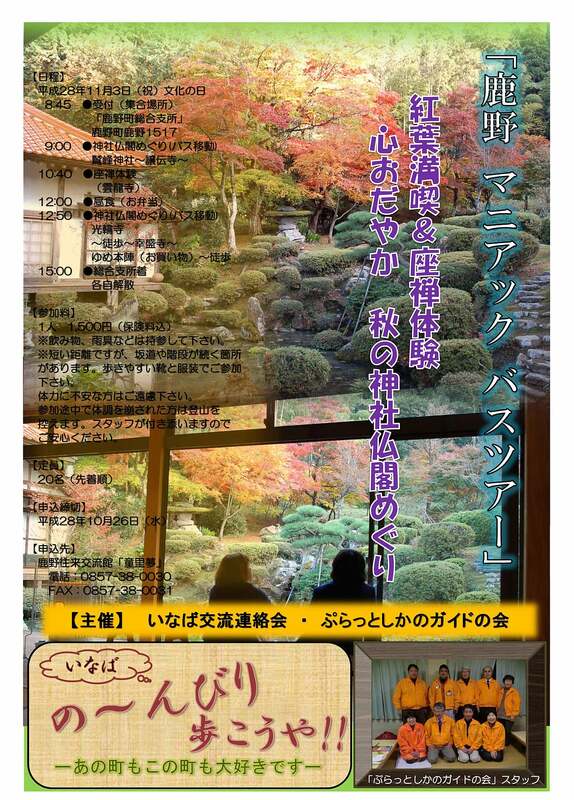 I can mention autumn taste and culture only in Aoya, and the stage events are held, too. I start "pleasing VII ... of butterfly wedge picture exhibition - Japanese paper" on Saturday, September 19 in Tottori-shi aoya Japanese paper studio. 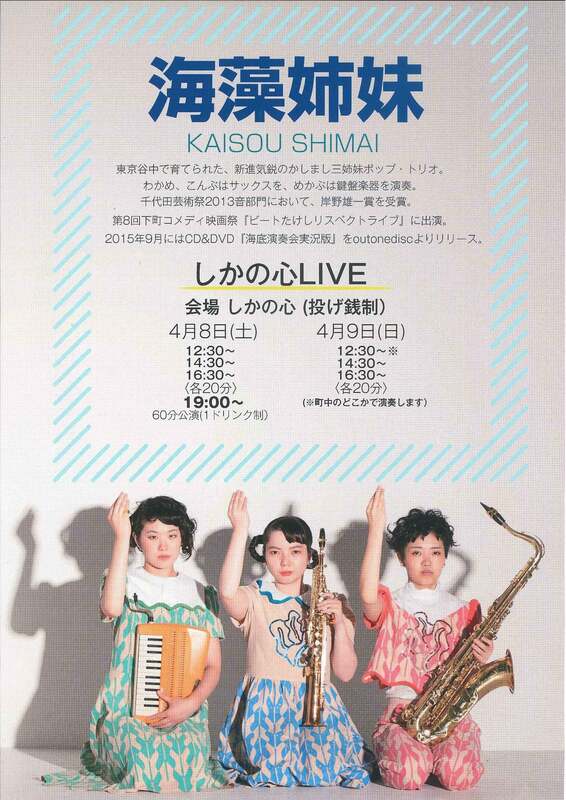 Please enjoy the picture which the Japanese paper plays. The summit for the purpose of not finishing conveying "the rumble sand" which is irreplaceable nature, cultural heritage in history. 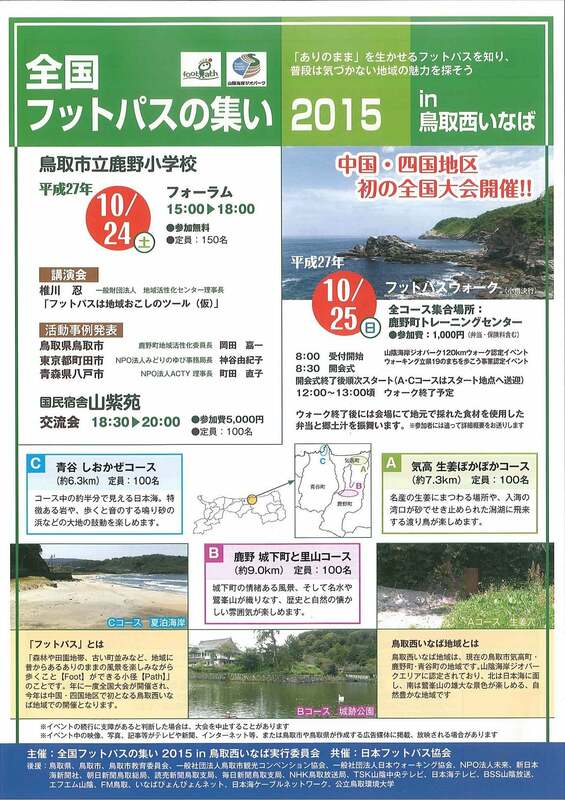 The geo-spot of the San-in Coast Geopark sounds at this time when the 20th becomes held and is held in Ide ka beach of the sand, Aotanicho, Tottori-shi with the Aoya Coast. I exchange information about the present problem and a future approach under the theme of "maintenance and inflection of the rumble sand in the Geopark". 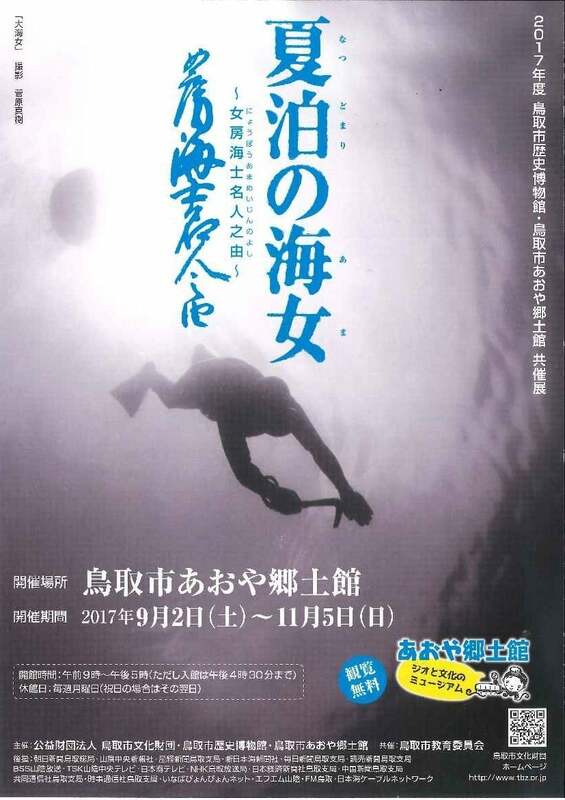 I start "a charm exhibition of the San-in Coast Geopark" on Saturday, September 12 in Tottori-shi aoya native district hall. 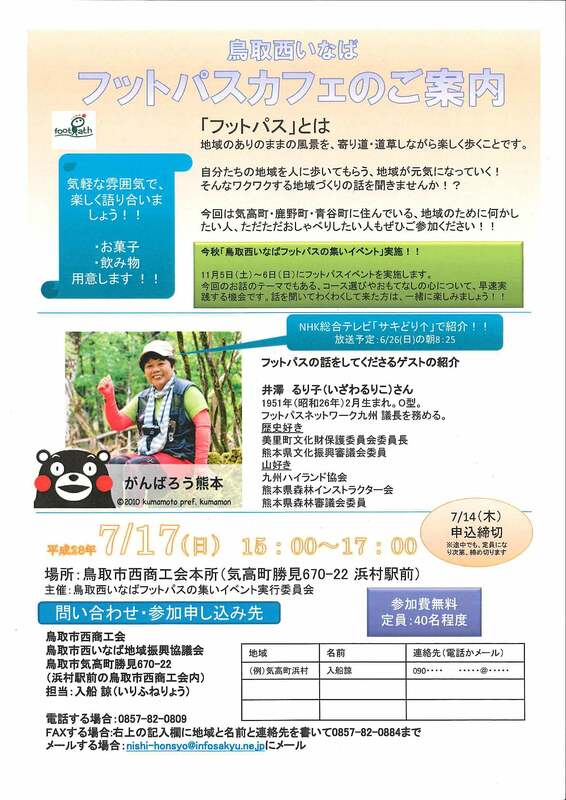 In August, 2014, San-in Coast Geopark escalated an area including the Tottori-shi west area in the world Geopark and was authorized. 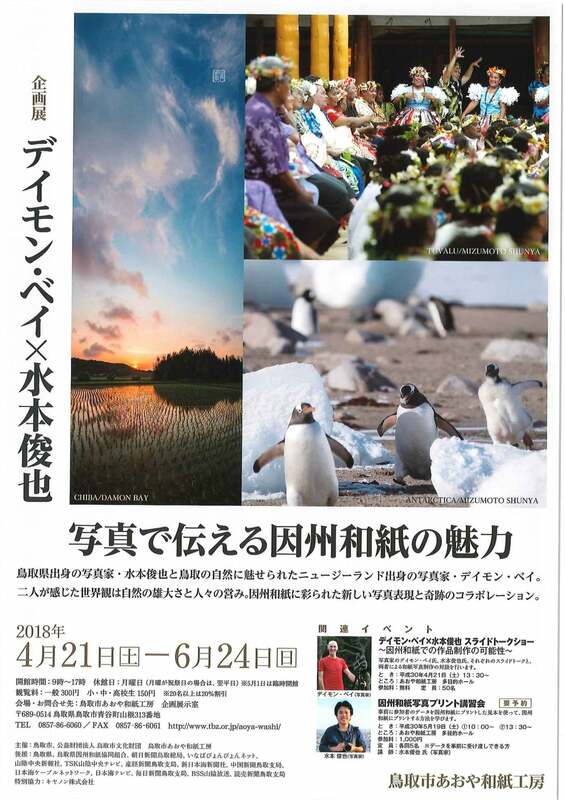 I introduce San-in Coast Geopark including the display of the prize-winning work of the photocontest in commemoration of the first anniversary from world authorization and perform display to rediscover the charm of the Tottori-shi west area including Aoya. "I wait only on the weekend and show it" and am held ga this year. During "drama festival 8 of the bird" period, a shop only for here appears to castle town Kano. 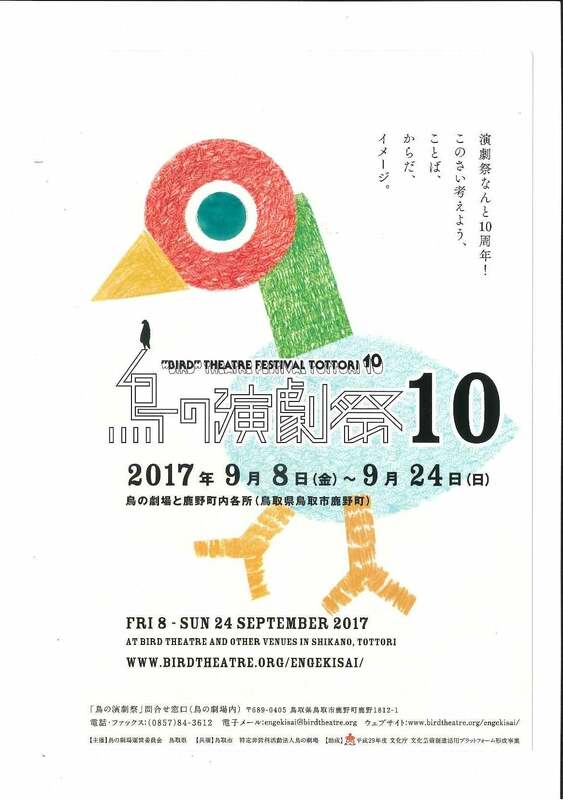 I can use "the drama festival-limited coupon of the bird". 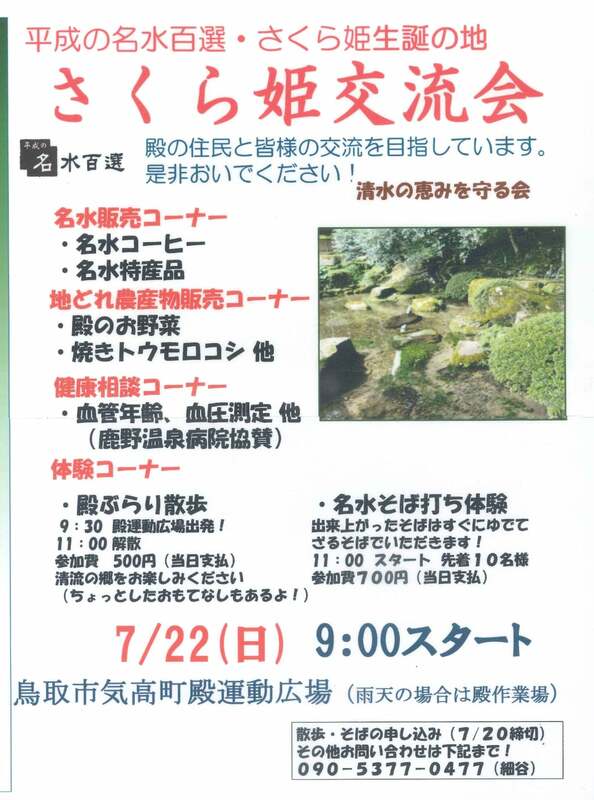 On Saturday, September 5, "a mendicant Zen priest pilgrimage" is carried out in Shikanochoshikano, Tottori-shi Castle bottom. The mendicant Zen priest who gathered from the whole country parades around Kano Castle bottom full of the emotion. 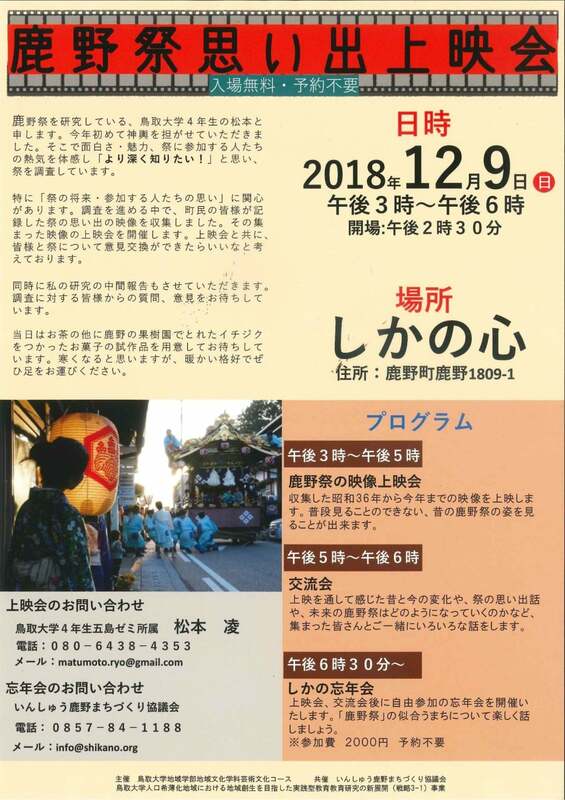 ichi*kon*, the recitation of a Chinese poem of the shakuhachi, a Kano Kamei drum are shown in a height of good luck temple, and there is the mendicant Zen priest photography society (free), too. 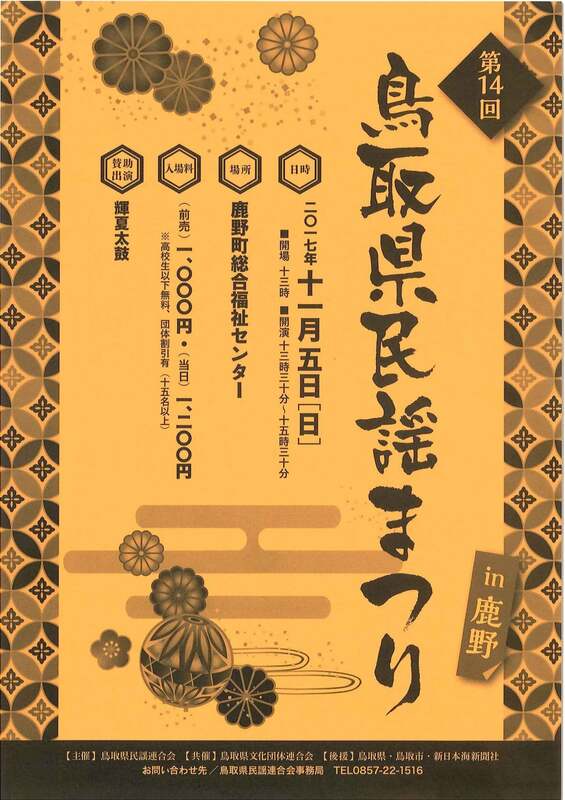 "insyu Kano Bon festival dance" is held on Thursday, August 13. 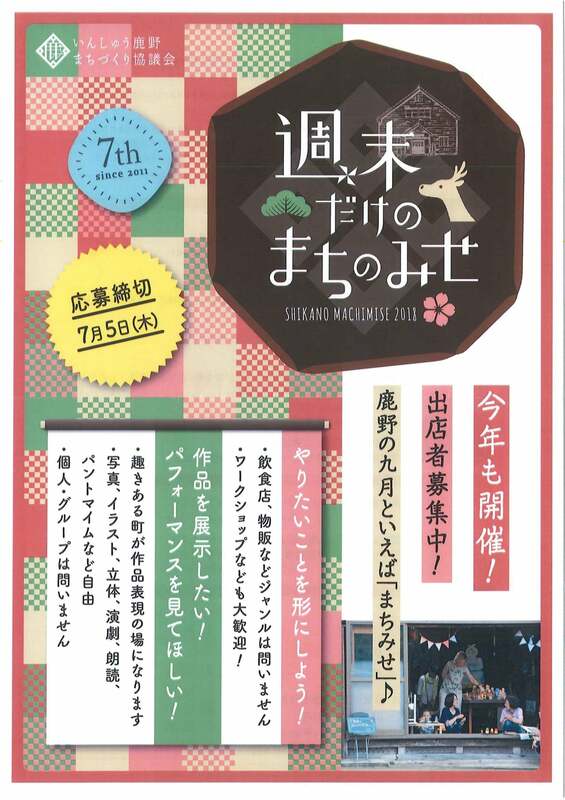 Do you not participate in annual "Bon festival dance" every year? I participate in a prior exercise, and on the day does the one that has not danced not dance together? "I make the eighth castle town, and lotus walk is held in castle town Kano aimlessly" on Sunday, July 26, 2015. 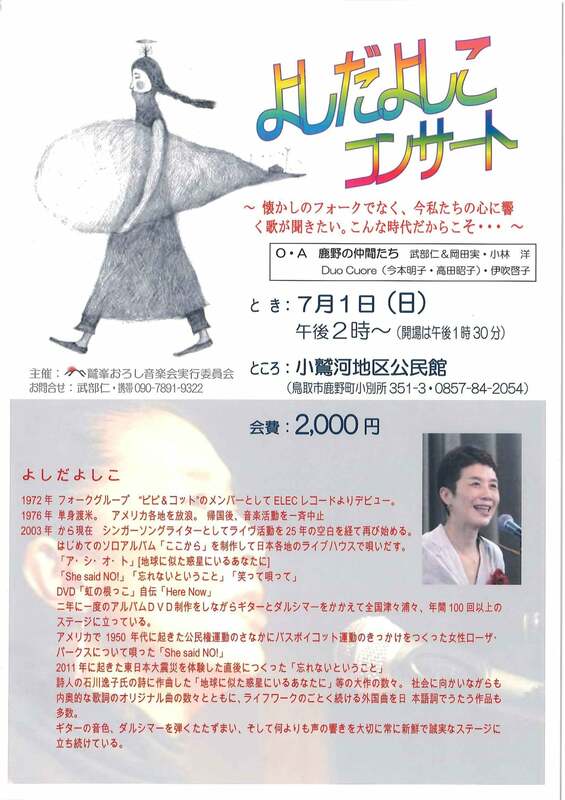 I start "prayer ... to 70 years after the war Murakami Island child doll exhibition - peace" on Saturday, July 18 in Tottori-shi aoya native district hall. 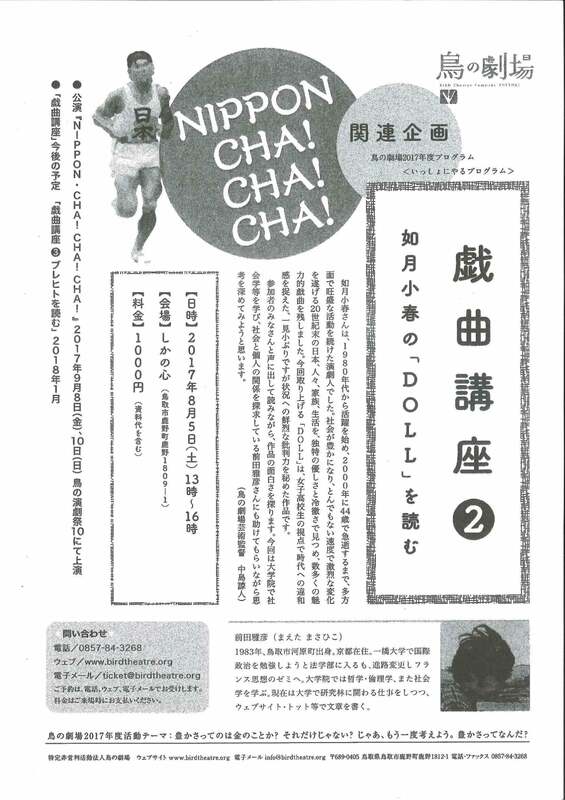 I display a doll to tell about the wartime living that a doll writer, Murakami Island child from Aotanicho, Tottori-shi produced. In a turning point of 70 years after the war, I pray for it being at an opportunity to think about misery of the war, preciousness of life, the peace. I start "... nature and living ... of people to make with Inaba Japanese paper" on Saturday, July 4 in aoya Japanese paper studio. Origami tears off the scenery of "the San-in Coast Geopark of the Tottori-shi western part" and expresses it with a picture, a flower of the Japanese paper. It is holding for "that I do it heart" in "that I make a chorus bank of a moat concert" on Sunday, June 14. 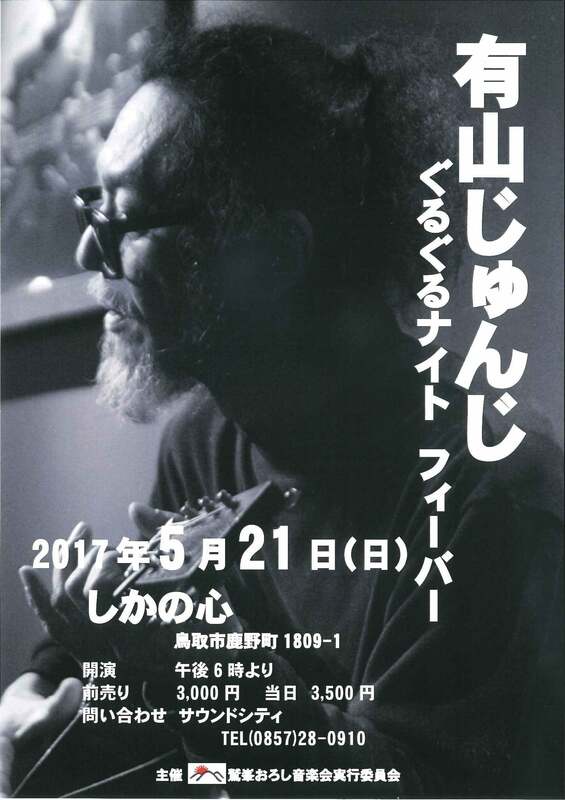 I sing the masterpieces such as "Kojo no Tsuki" or "a red sweet pea", and the guest becomes the concert that I reached, too. 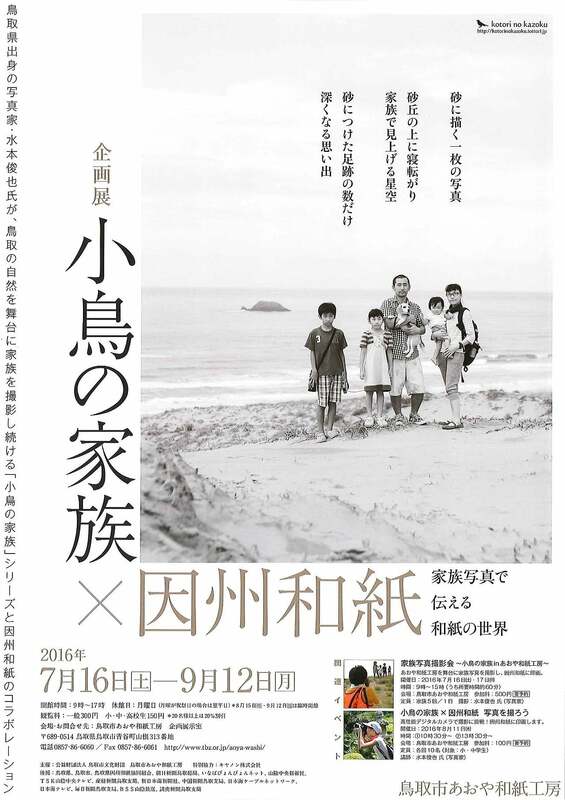 I start "photo exhibition 2015 by the photographer of the native district" on Saturday, June 13 in Tottori-shi aoya native district hall. 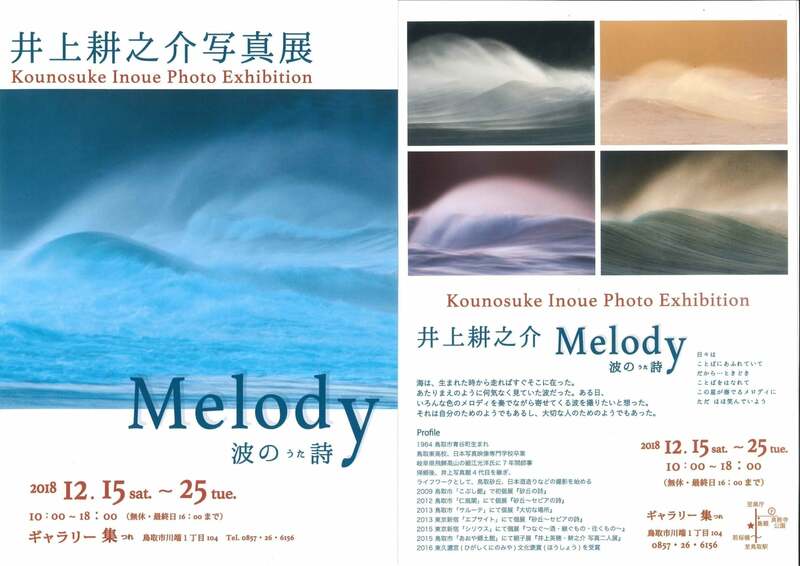 A photograph lover of Ketaka, Kano, Aoya area residence of the Tottori-shi, the working displays the photograph works such as scenery or the person in shooting, the four seasons when I produced it. 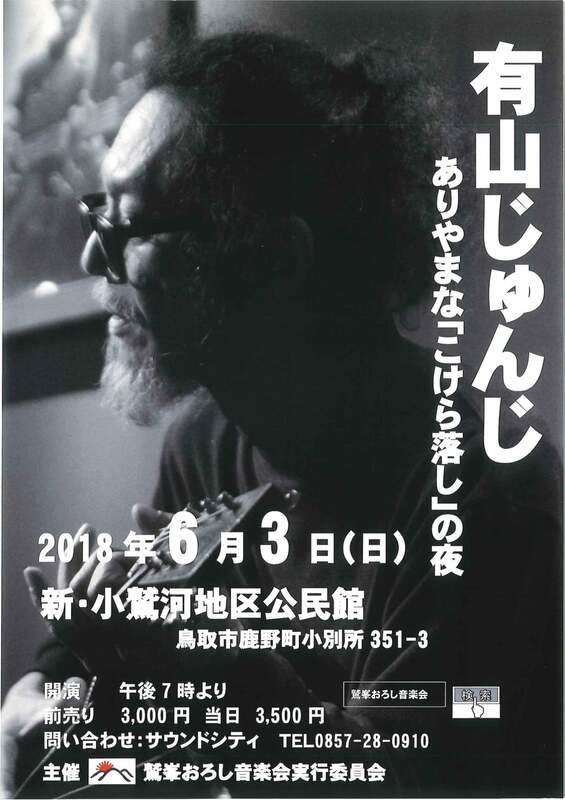 On Saturday, June 13, I hold "folk song and Irish investigation ♪ flowing through the town of MAREKA & JUNJI, I dream kneeling joint concert ♪ valley". 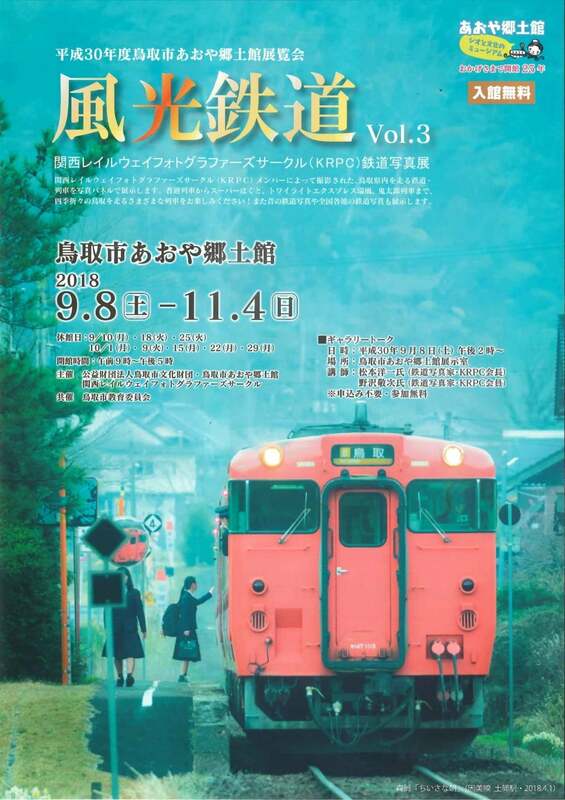 Place 355, Shikanochokobetsushiyo, Tottori-shi "old small eagle river Elementary School school grounds"
I hold movie viewing party in "a village trip style hermitage of the shell clause" on Friday, May 22, 2015. 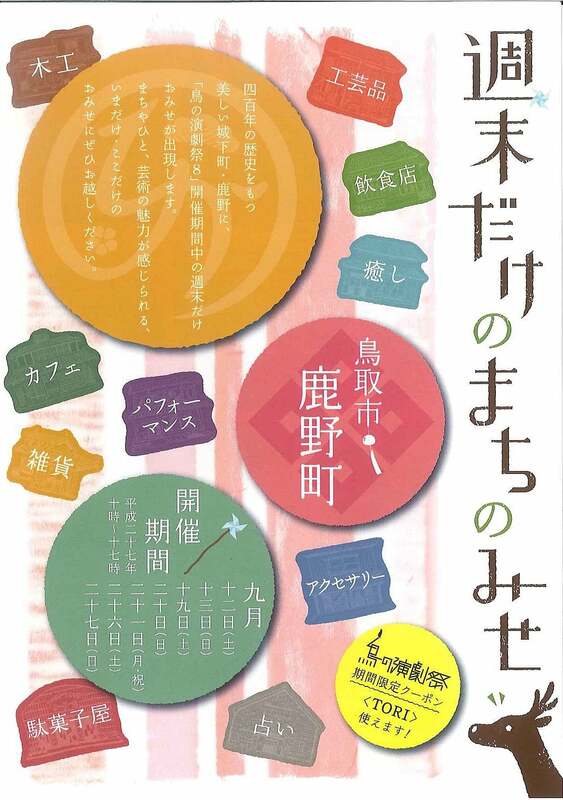 Filmized the mysterious statement which heard in Hamamura Onsen that Yakumo Koizumi ever visited on a trip, the inn where stayed at on this occasion; "ghost futon of Tottori." 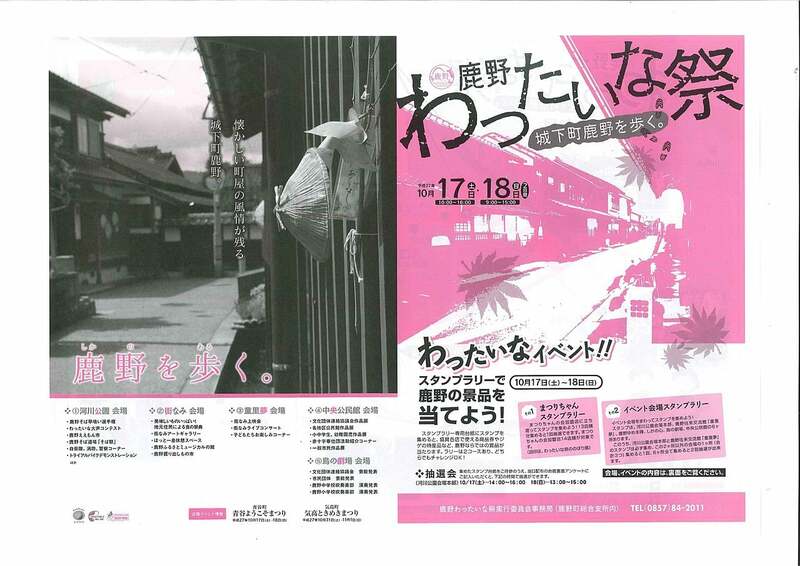 To "welcome Hamamura" where a ghost plays an active part on the stage of modern Hamamura Onsen. I show three of "the peaceful every day miraculous positive" that photographed Ketakacho in the location. Please enjoy it with a delicious meal. 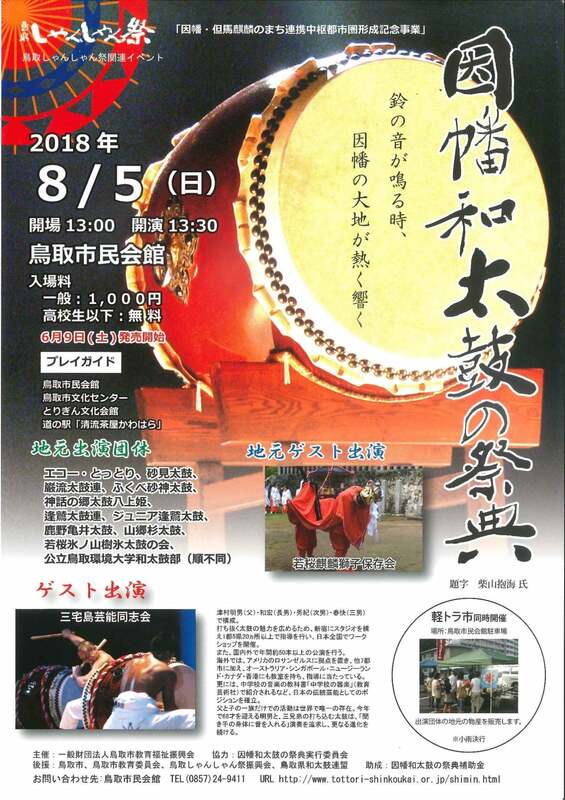 "Kano eemon city" is held. 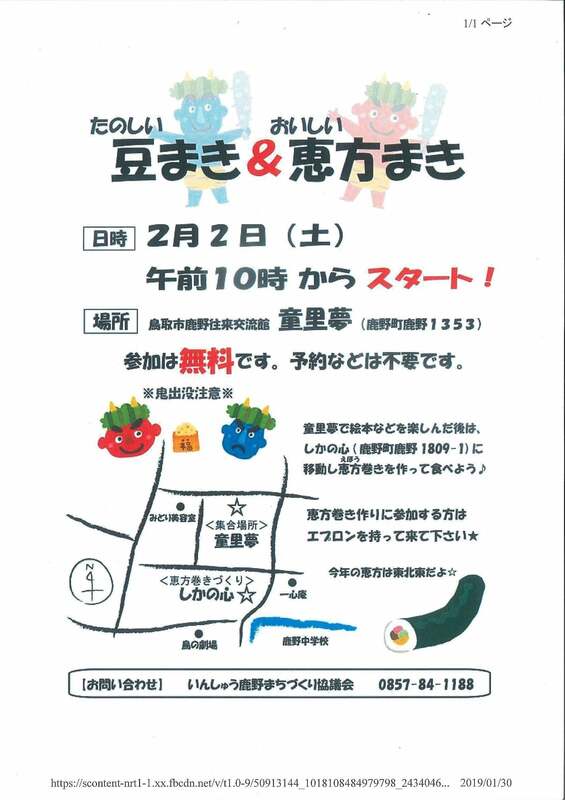 In the Kano eemon city, I start the tenth "Kano side speed eating championship" at 11:00. I perform the free distribution of the freshly made rice cake from 13:00. The inquiry to the Kano eemon city executive committee secretariat. 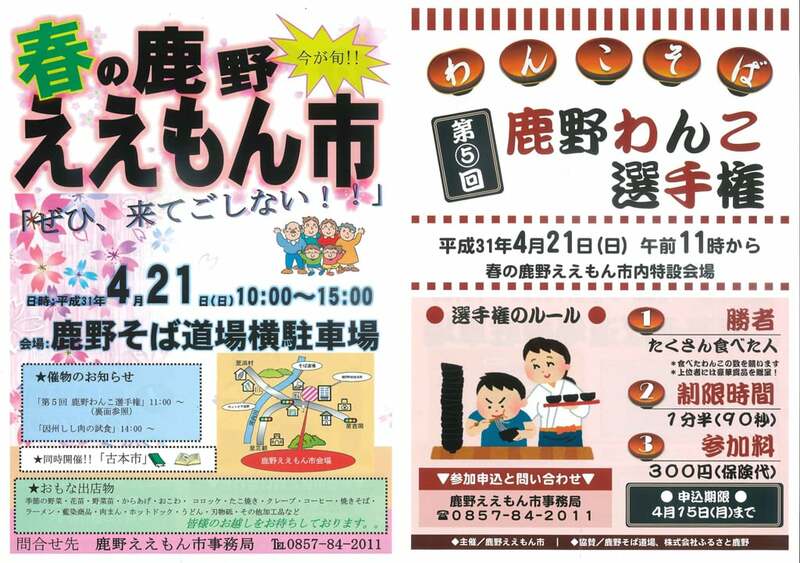 It is "the way - 2015 spring, Chugoku district ... holding for "that I do it heart" super" Choji on Saturday, April 25. 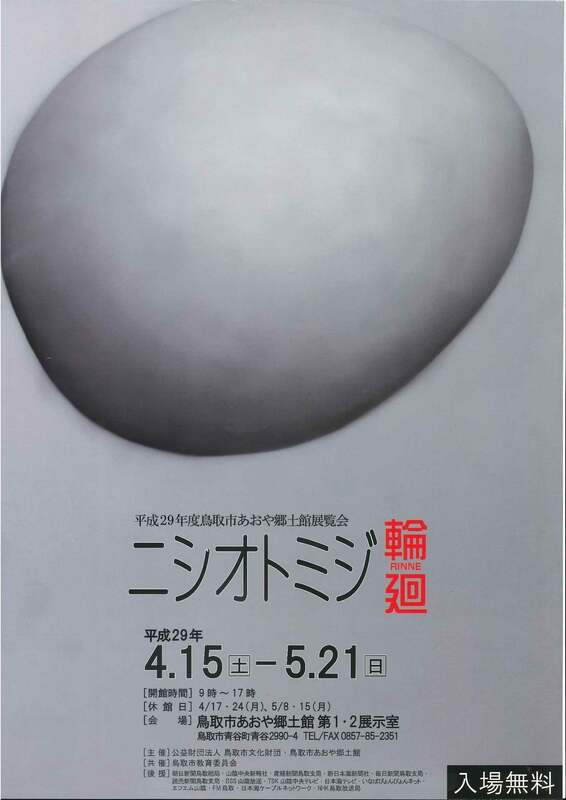 I start "a Hamada ball Otori finger image exhibition" on Saturday, April 25 in aoya Japanese paper studio. Please see the world of the beauty of Japanese only finger painter Hamada ball Otori to use a finger, a nail, the back of the hand like a writing brush, and to describe by all means. 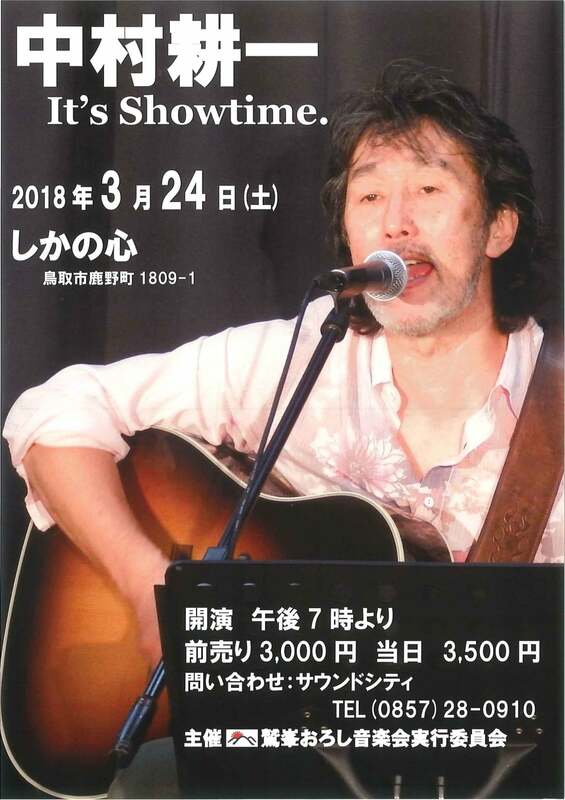 It is holding in "I sing for wind to pass in the sea" Osamu Koganei for "that I do it heart" from 19:00 on Wednesday, April 15. I create comfortable views of the world by a singing voice with husky & luster to a fellow in a classical guitar of Koganei. Furthermore, there is the food drink by the youth in the 20s and 30s and can appreciate it while tasting a meal of Kano. 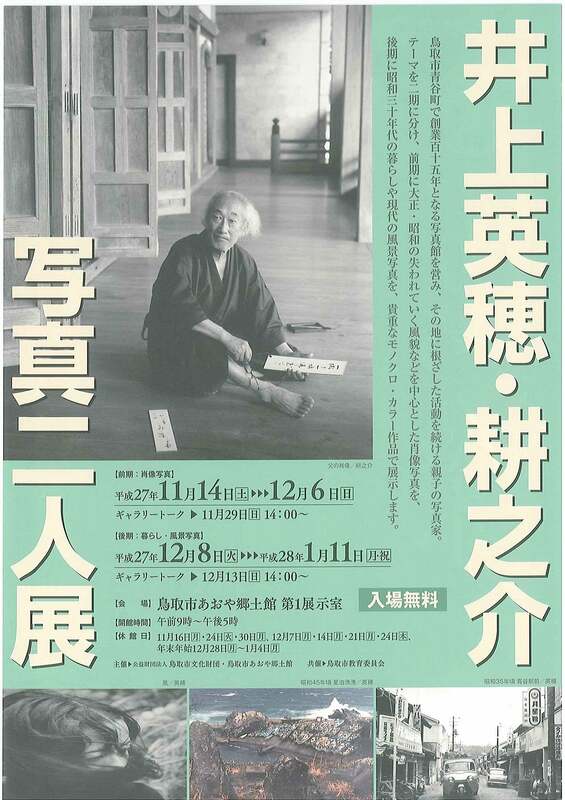 Tottori-shi aoya native district hall exhibition starts "I remember a writer of native district Yukari Tate" on Saturday, April 11 in 2015. 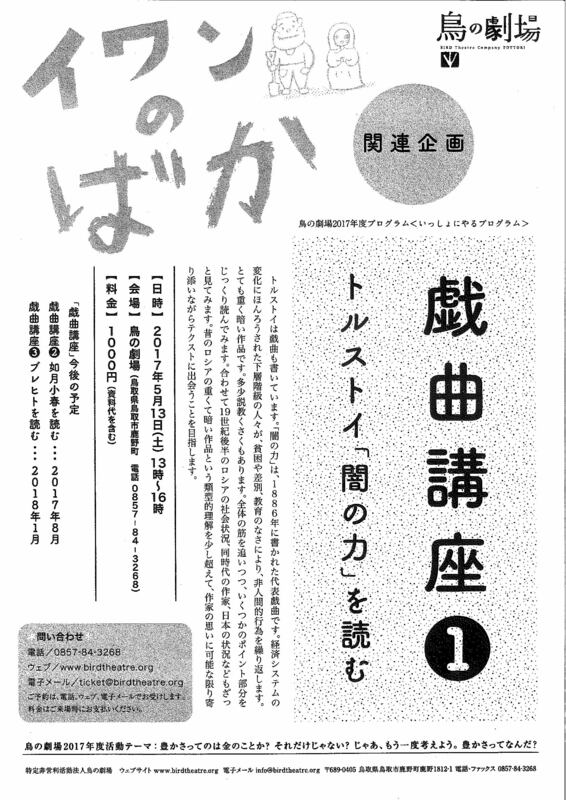 A document and the work which had you donate many connections from the various places that there is introduce the work of ten writers since the opening of (1993) from that in 1993. 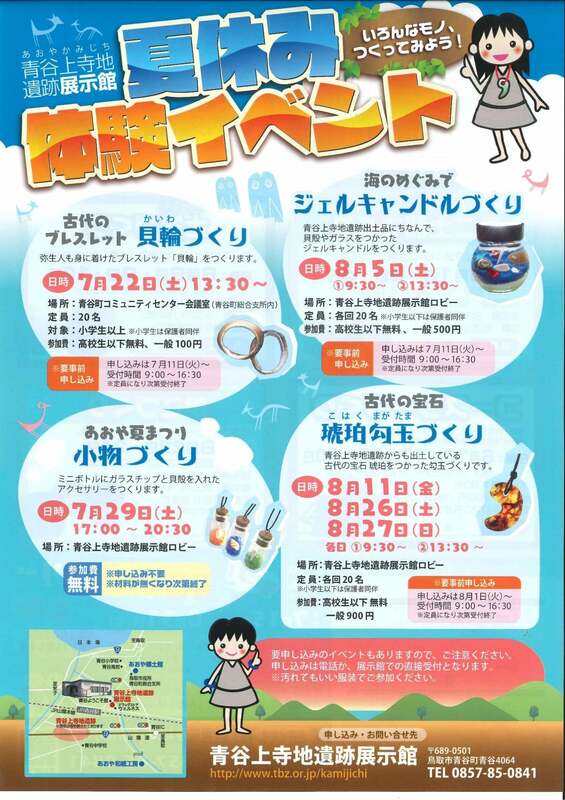 Please thoroughly enjoy a glitter of the various talent that Tottori produced.